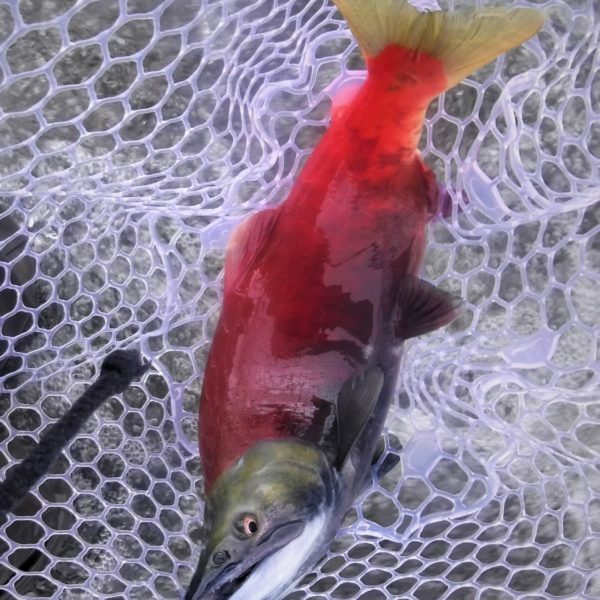 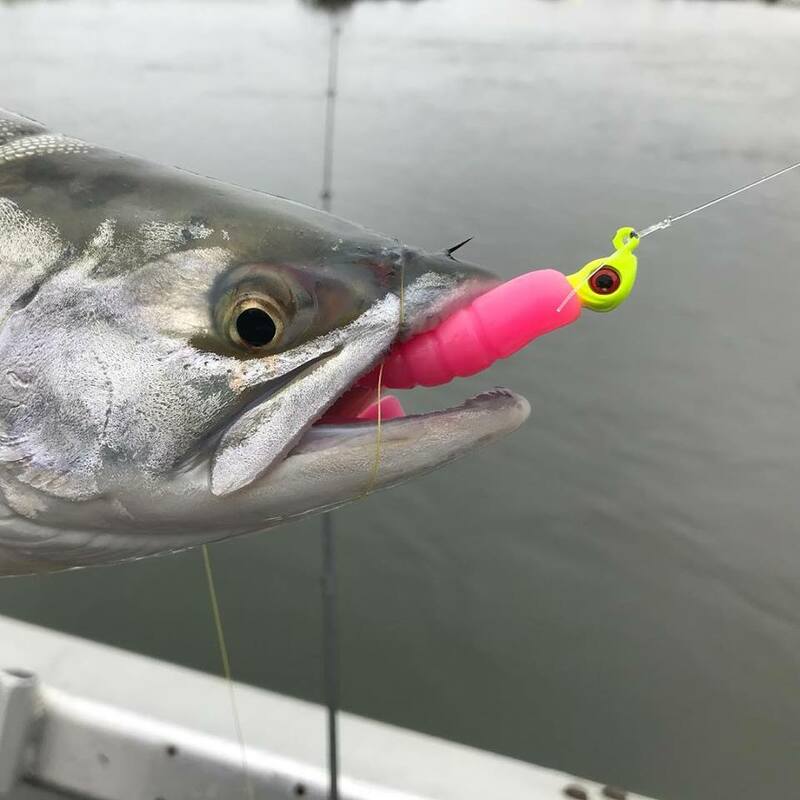 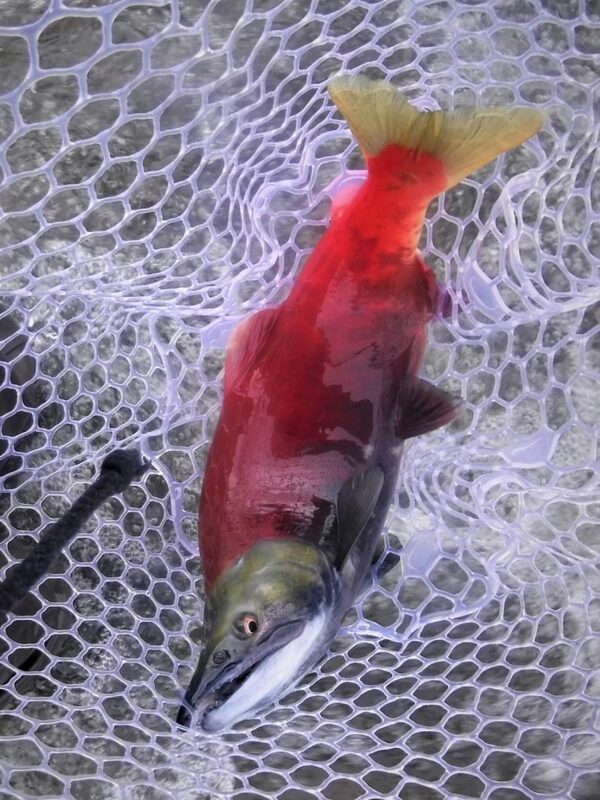 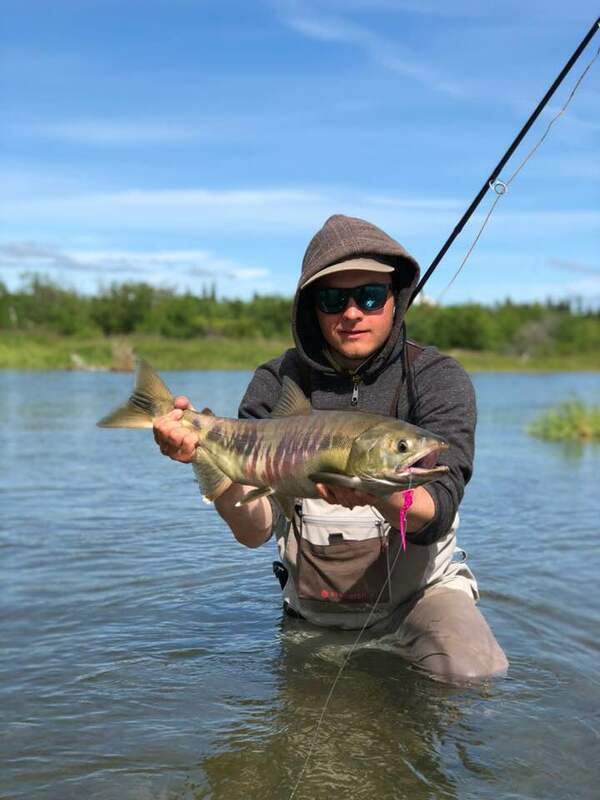 Chum Salmon caught on my HMX 5wt built just for the adventure. 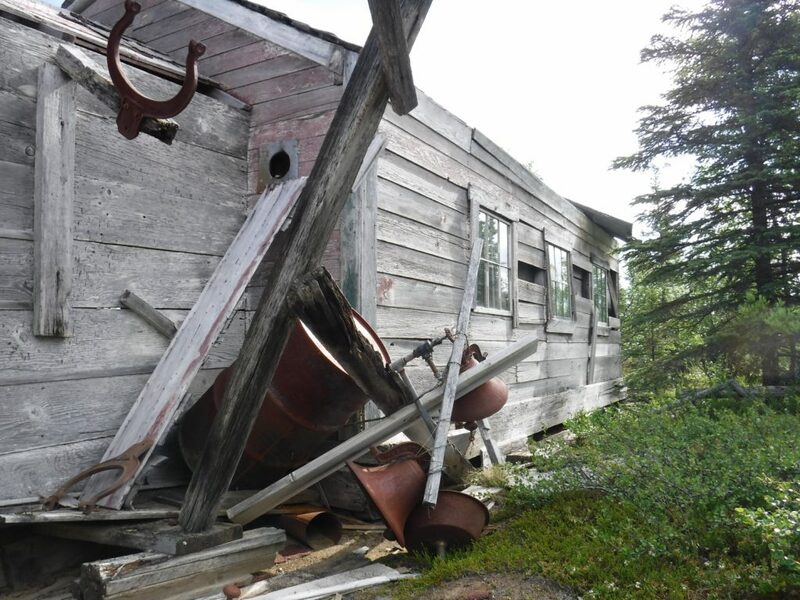 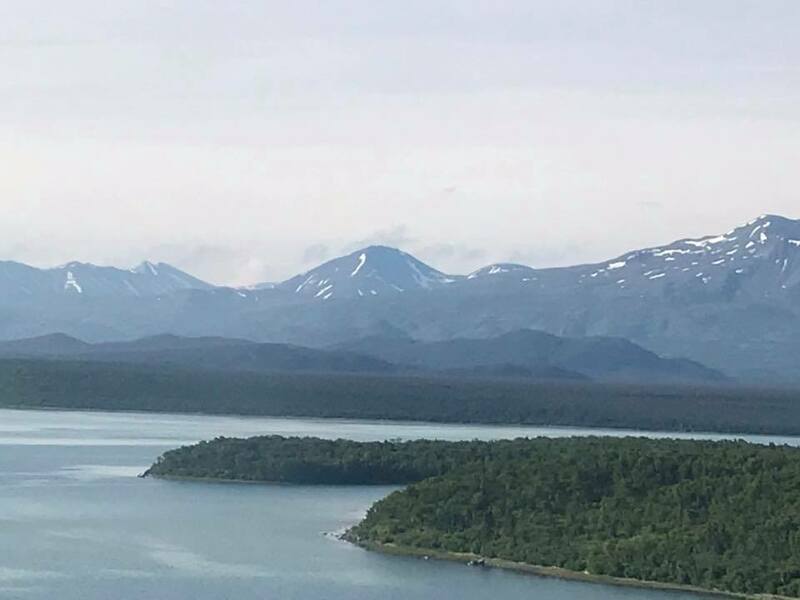 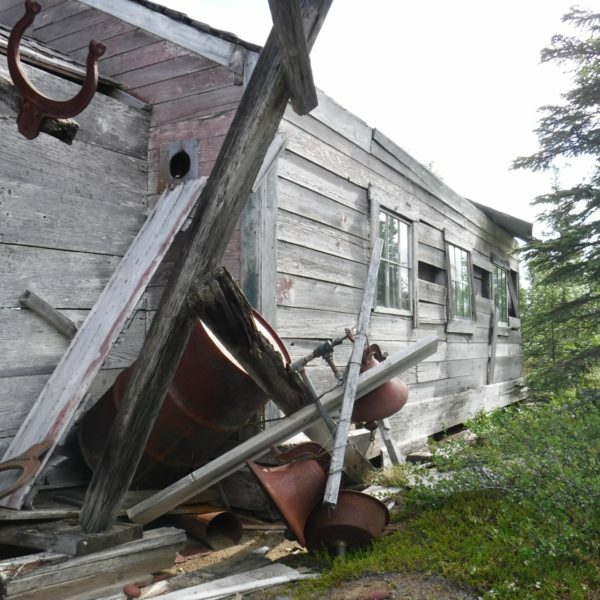 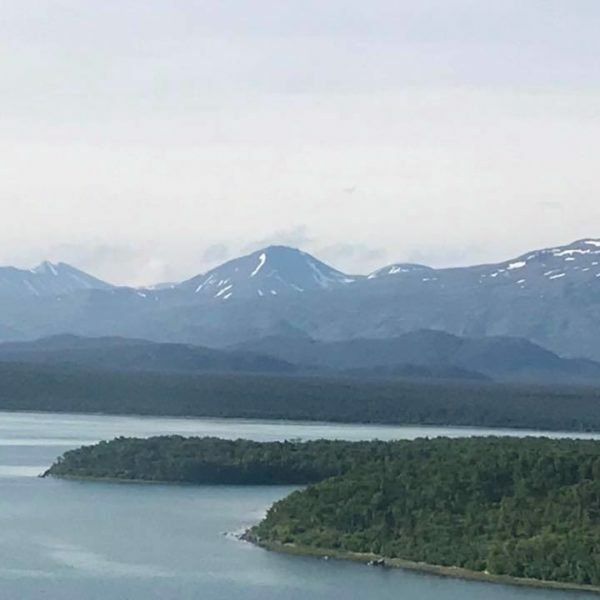 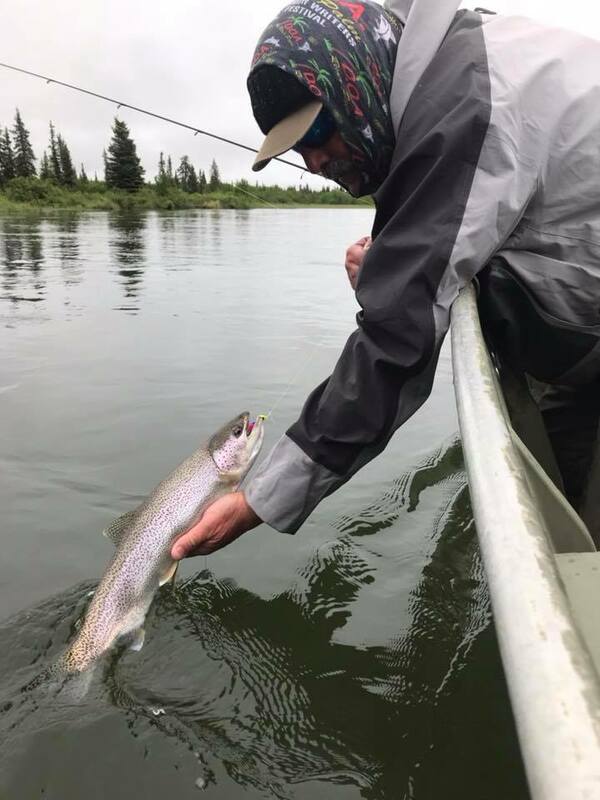 Photos from my summer of 2018 adventure to the Katmai Lodge in Alaska where I worked as a fishing guide/everything else. 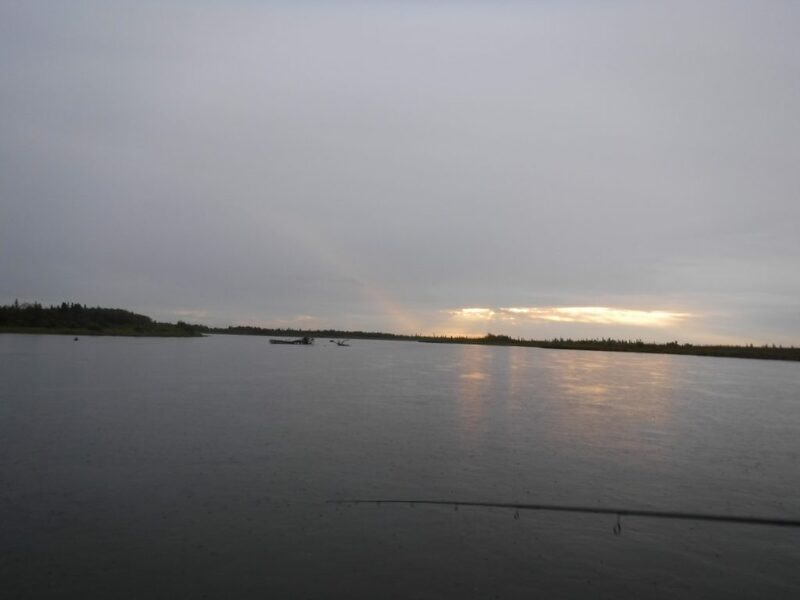 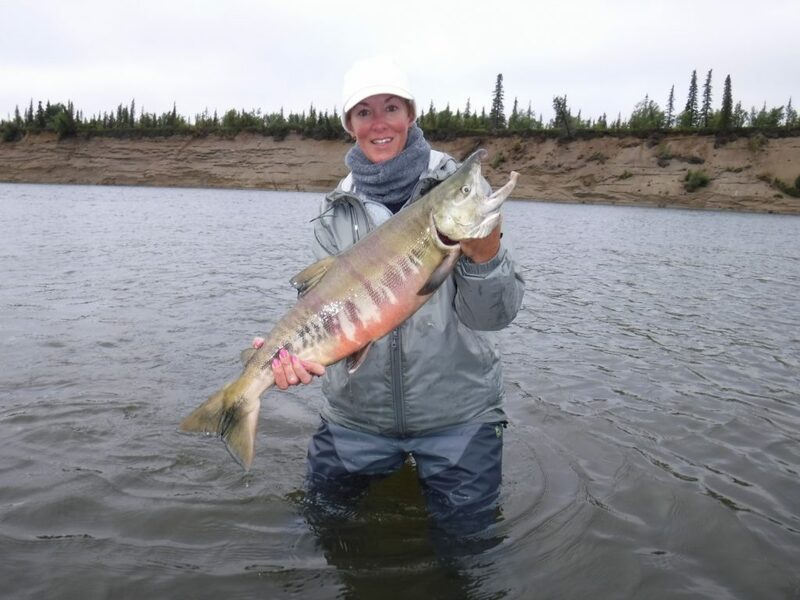 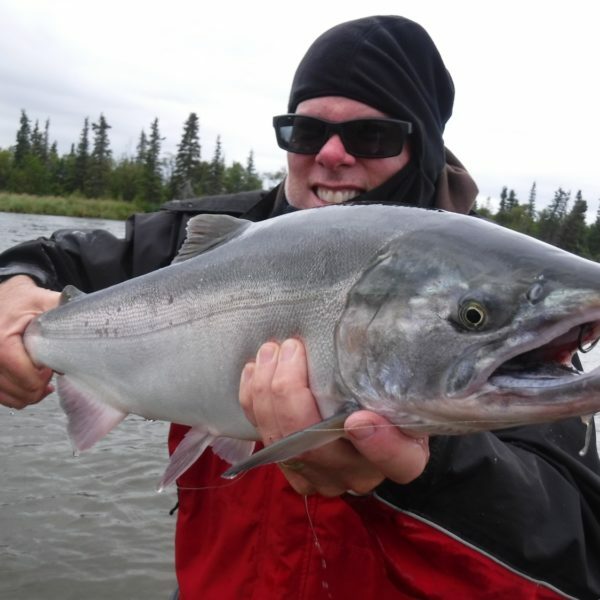 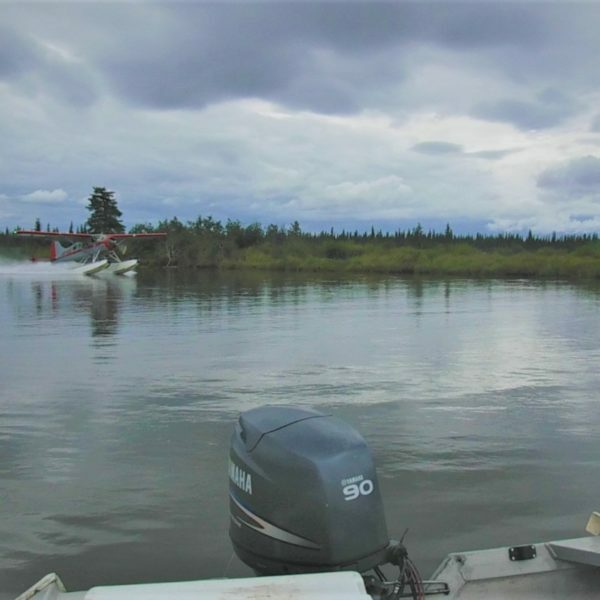 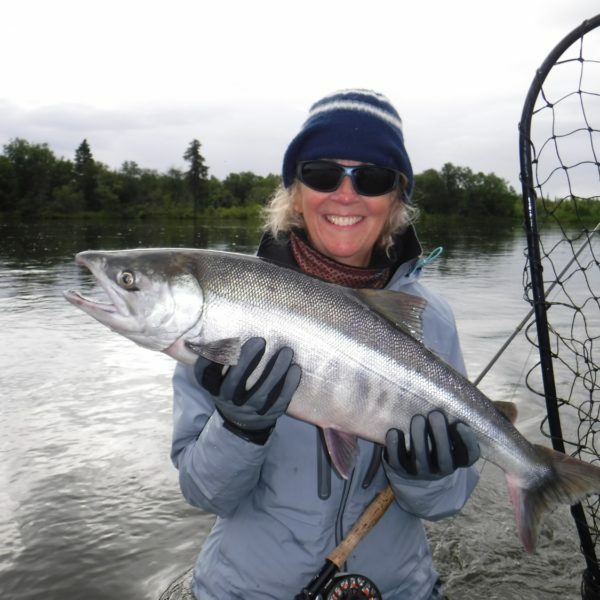 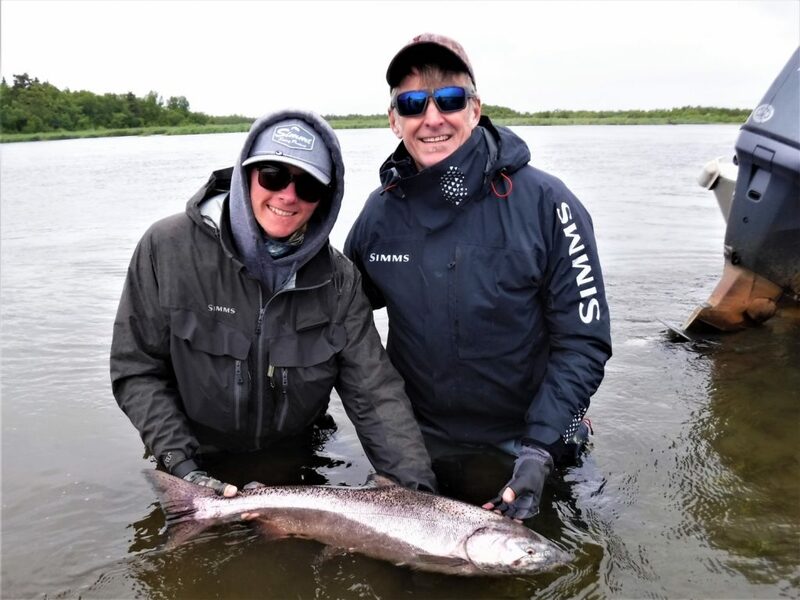 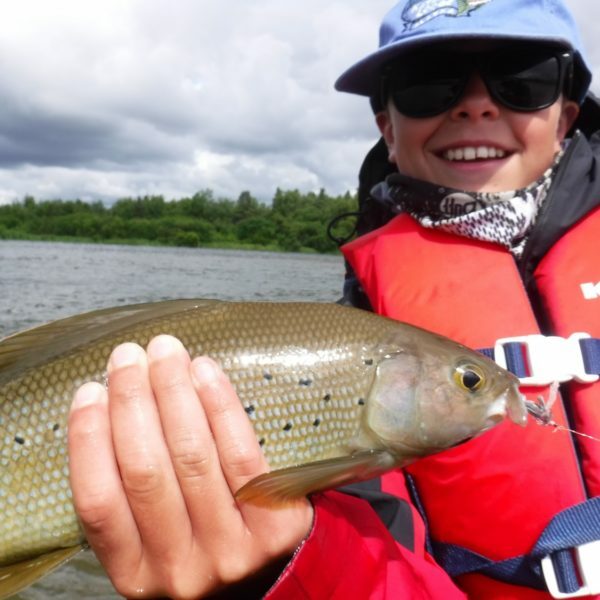 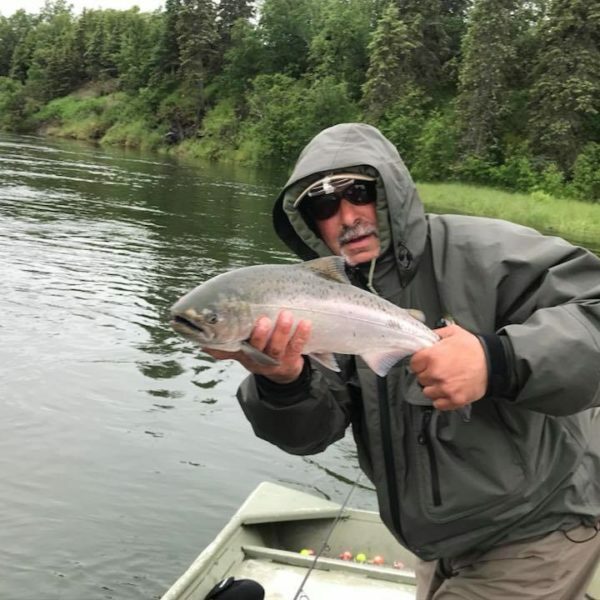 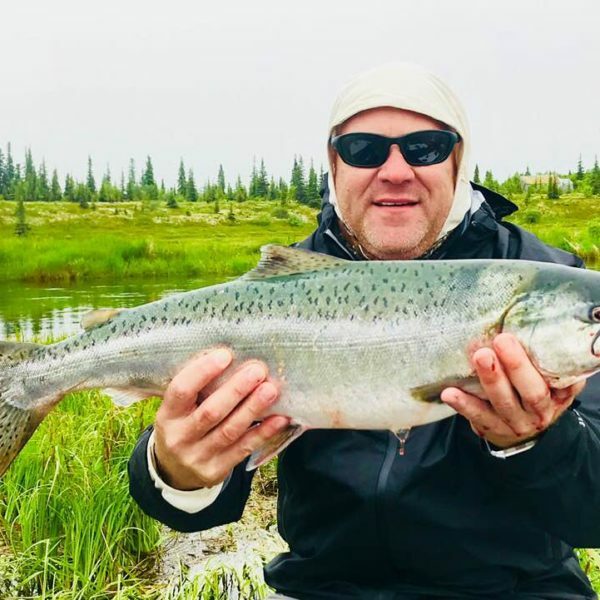 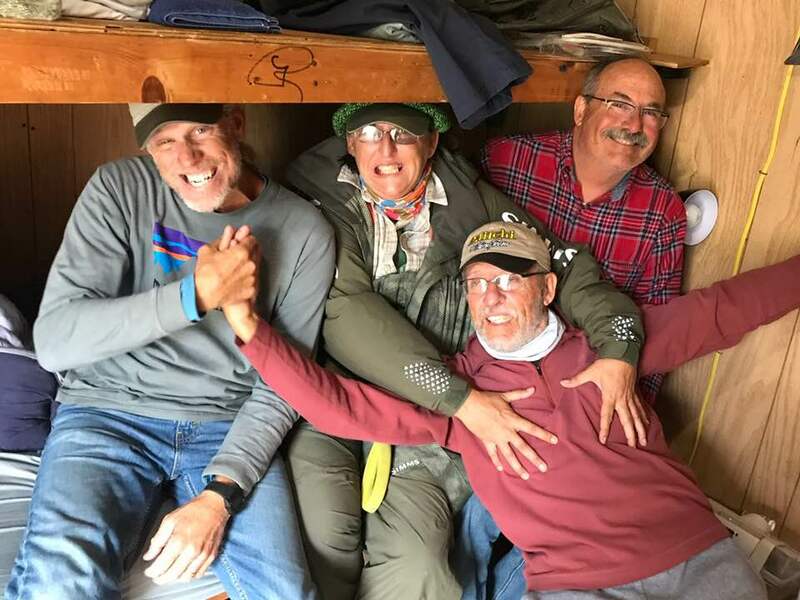 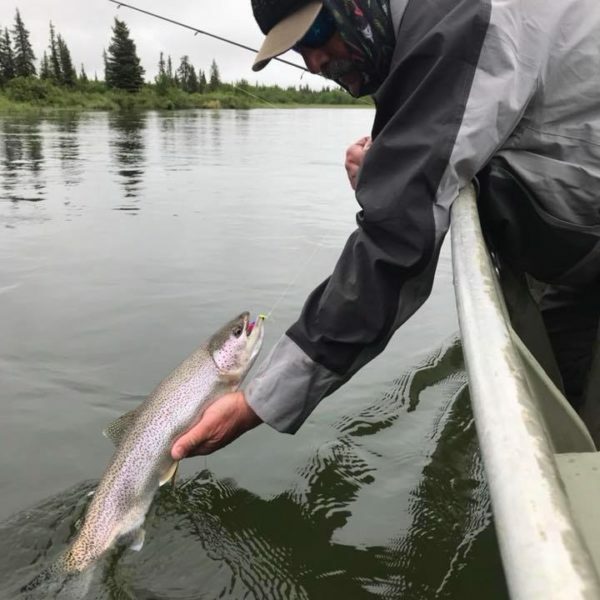 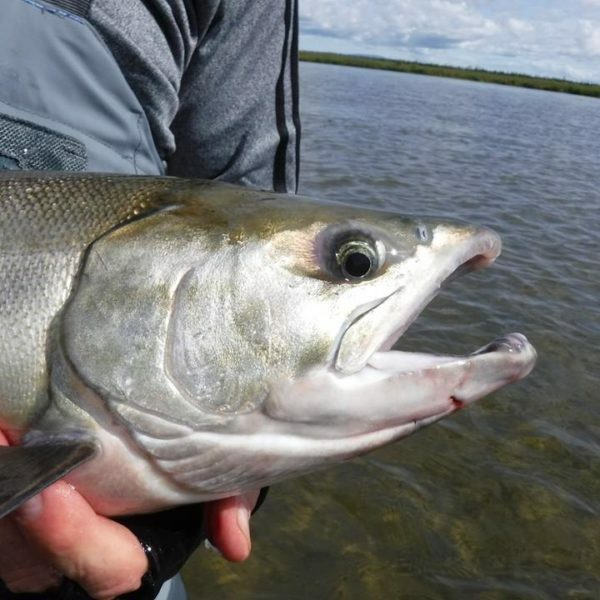 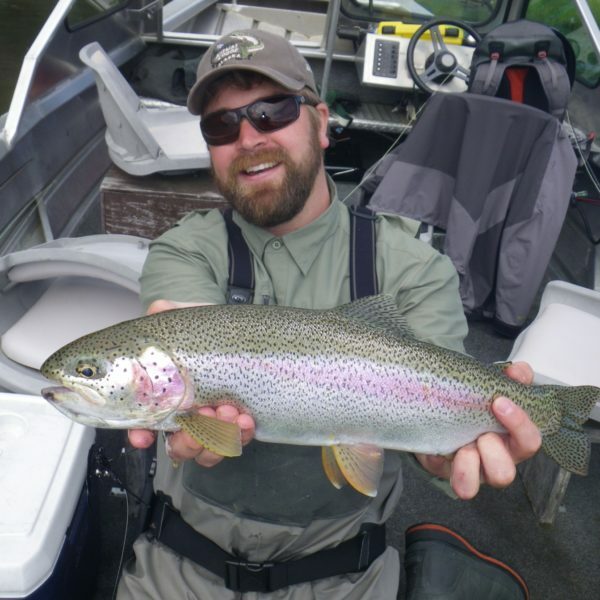 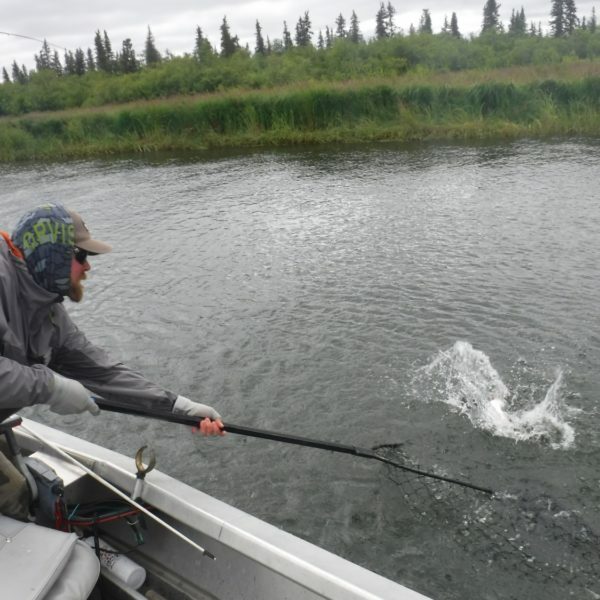 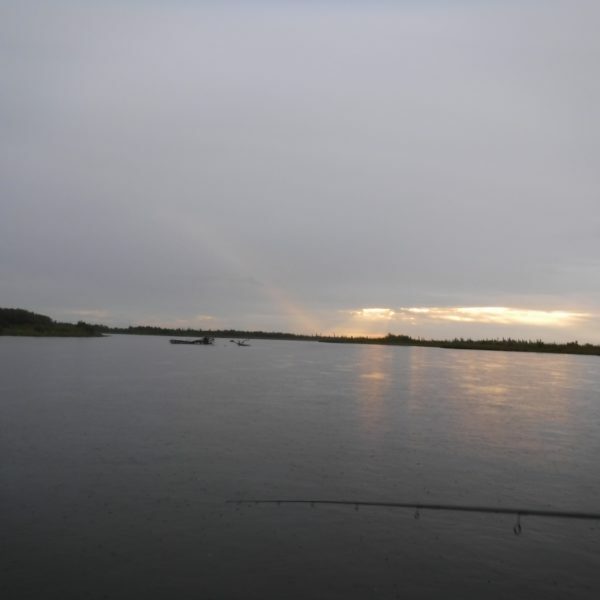 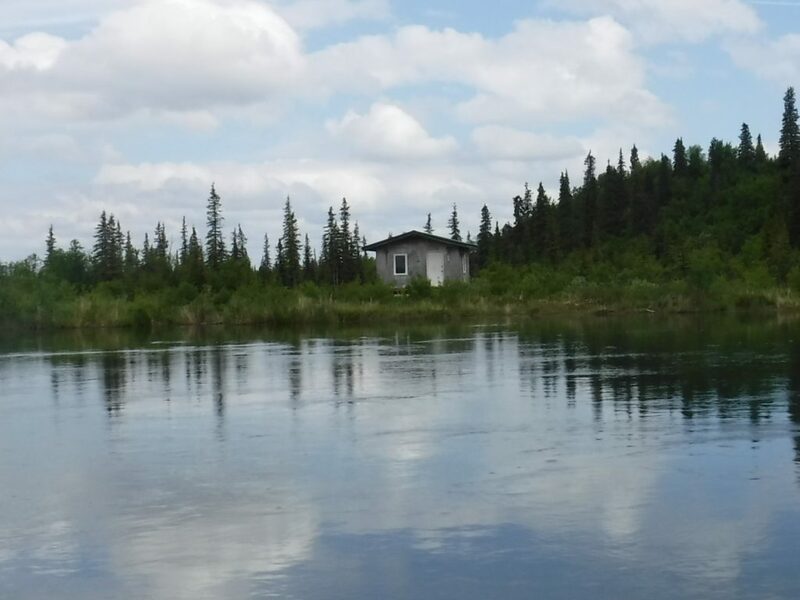 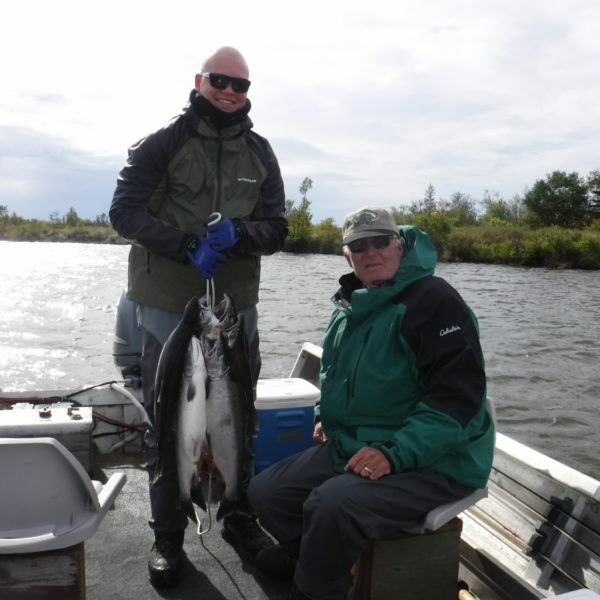 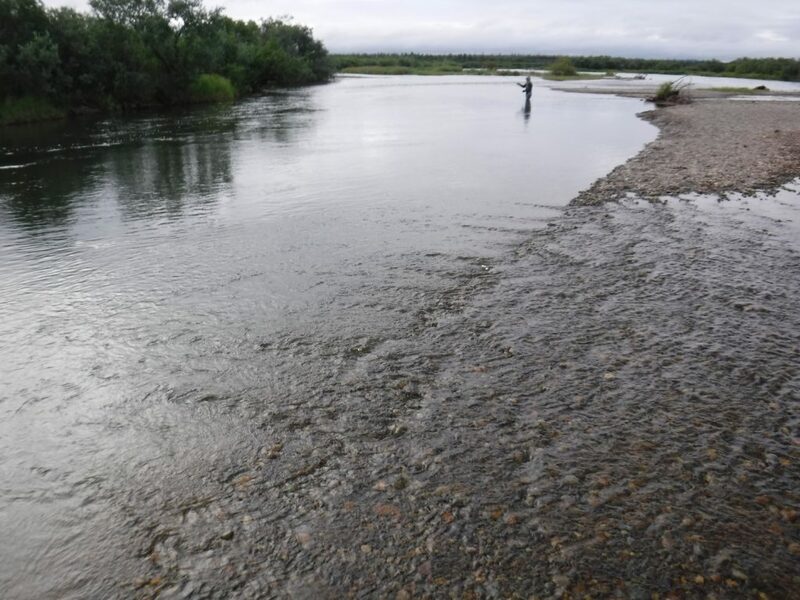 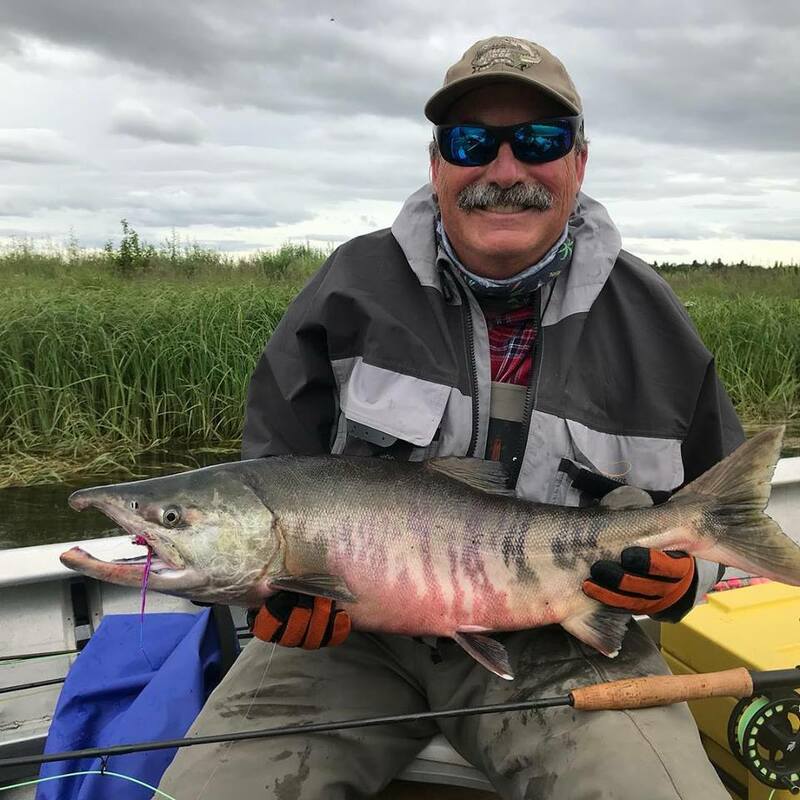 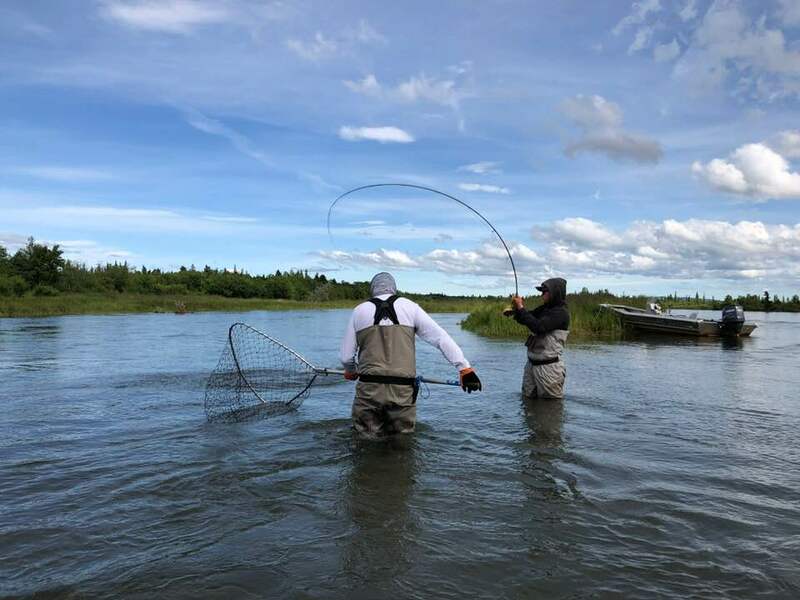 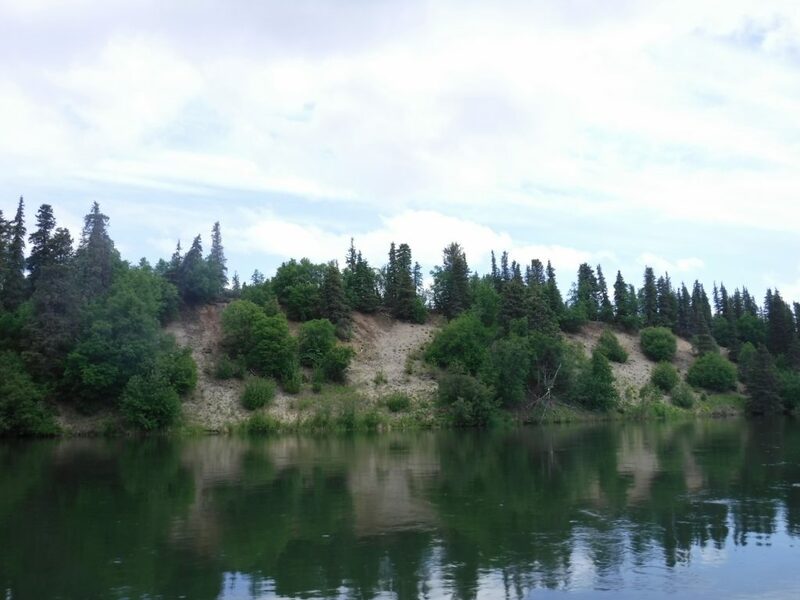 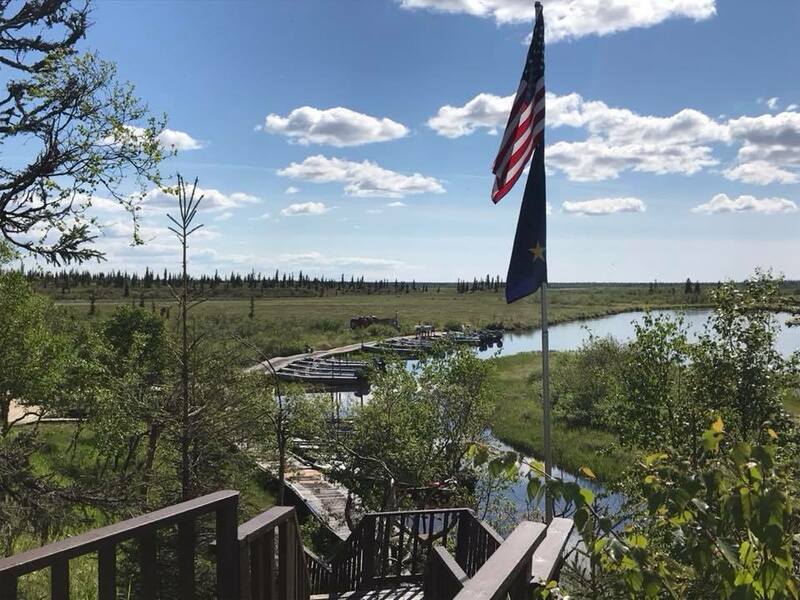 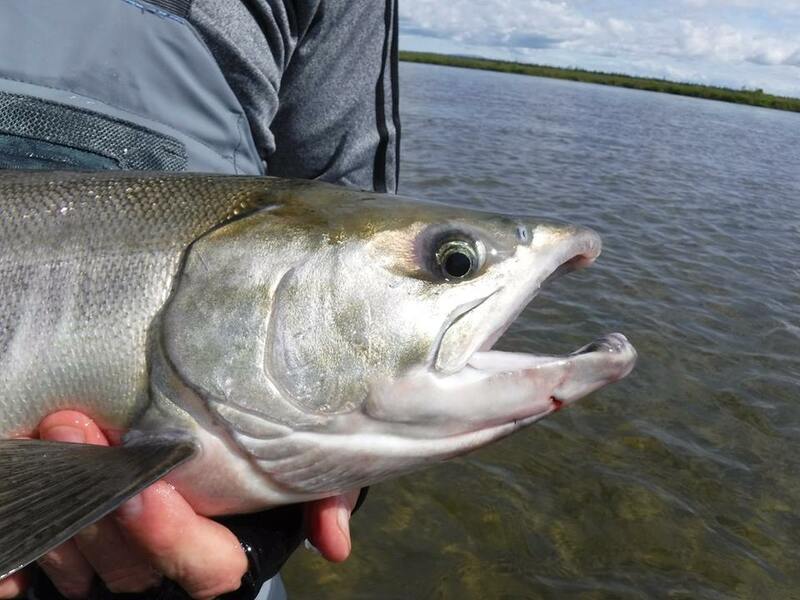 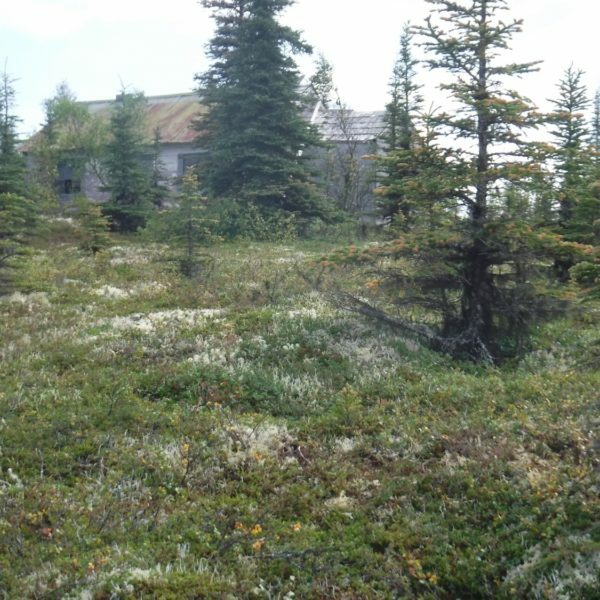 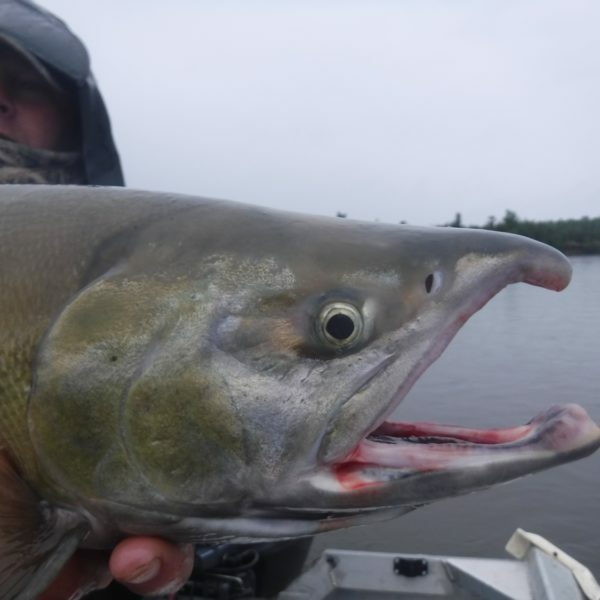 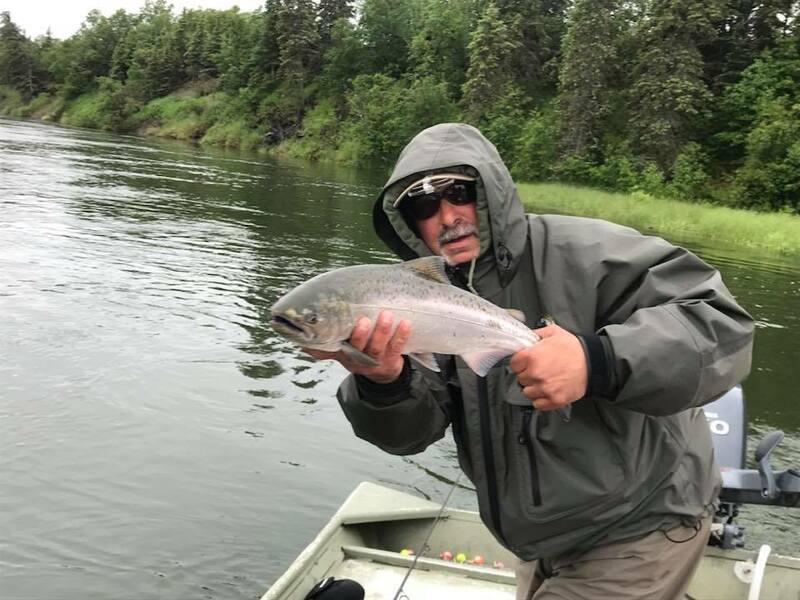 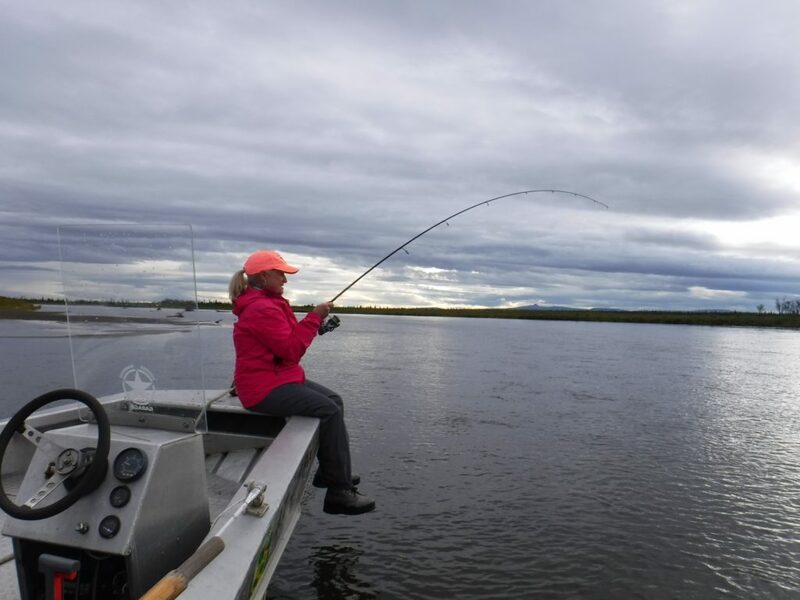 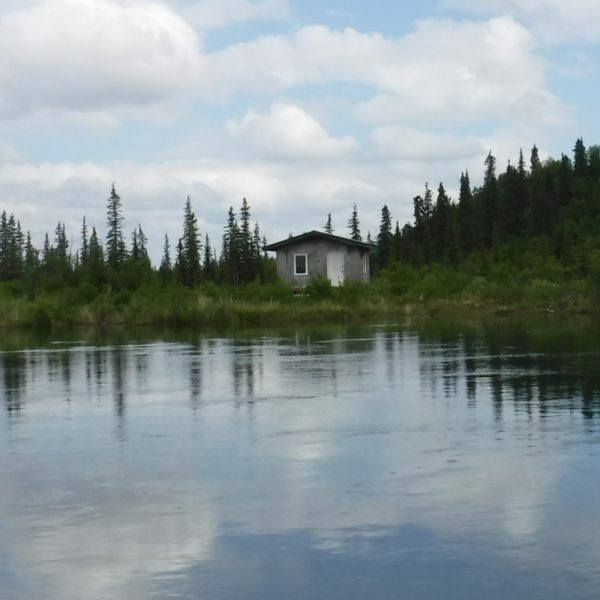 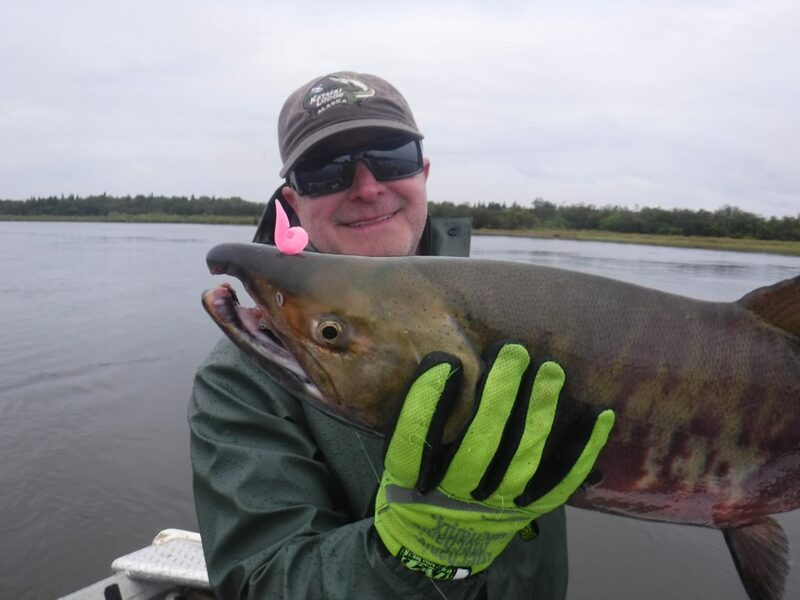 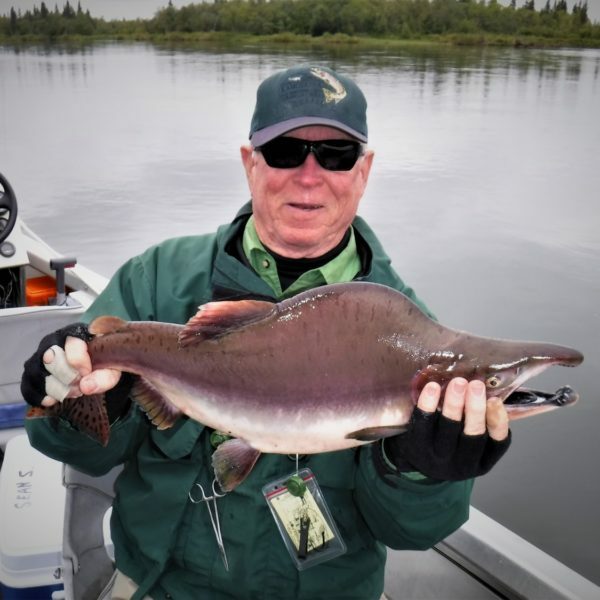 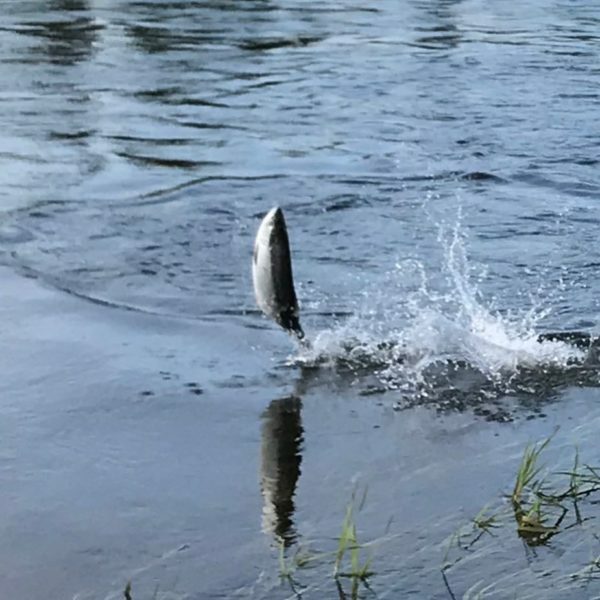 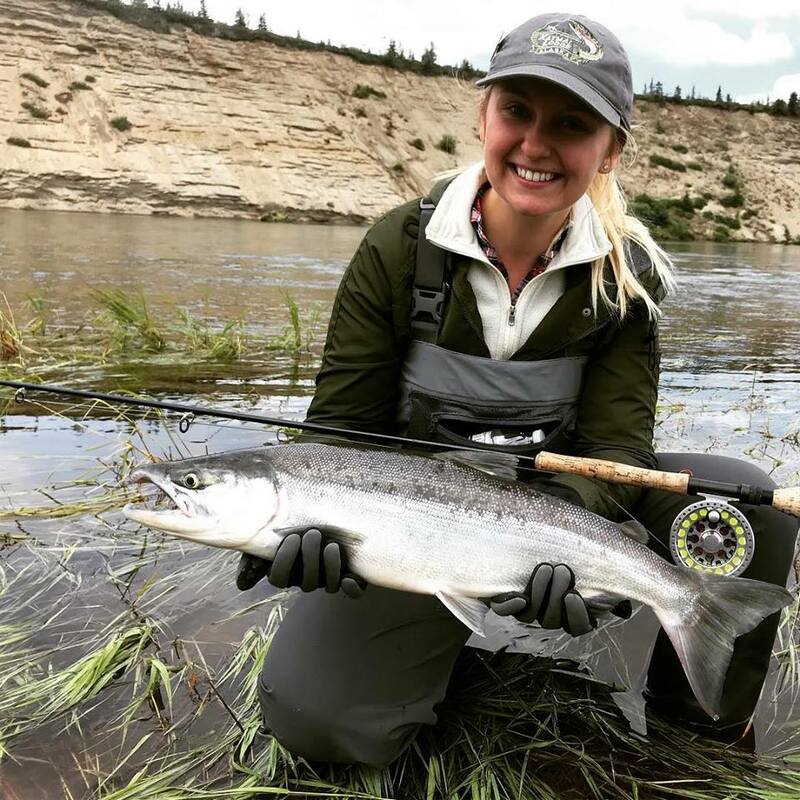 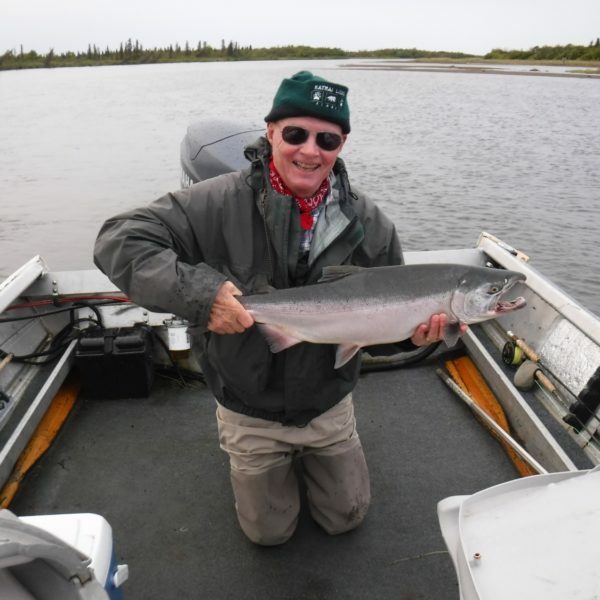 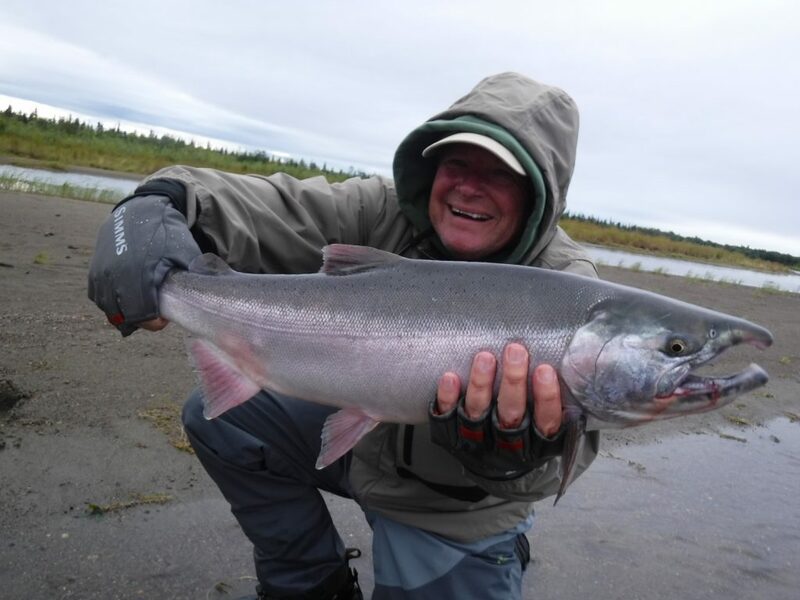 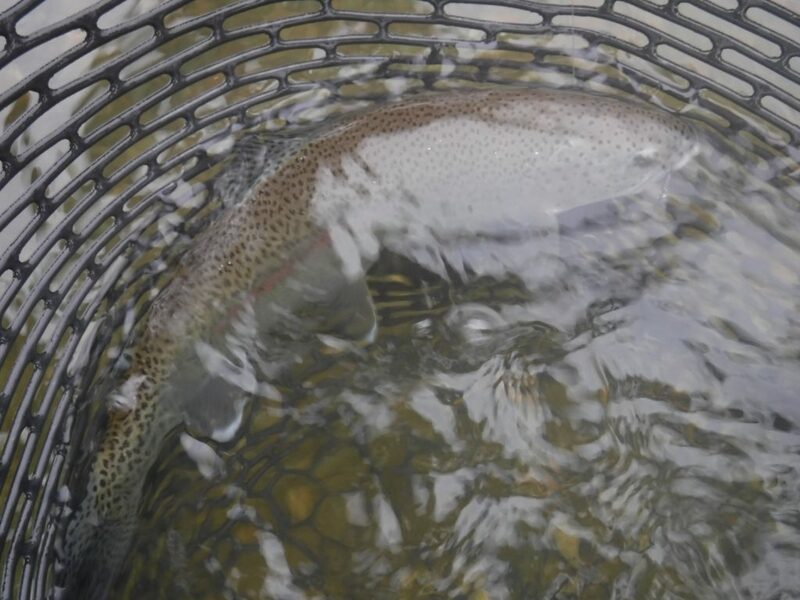 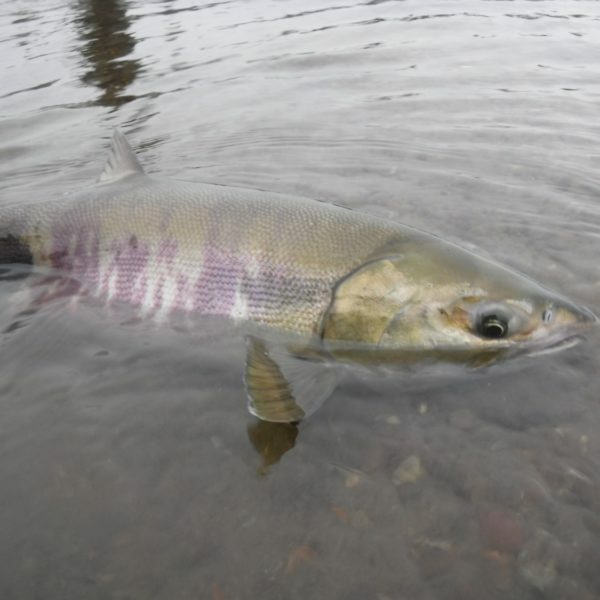 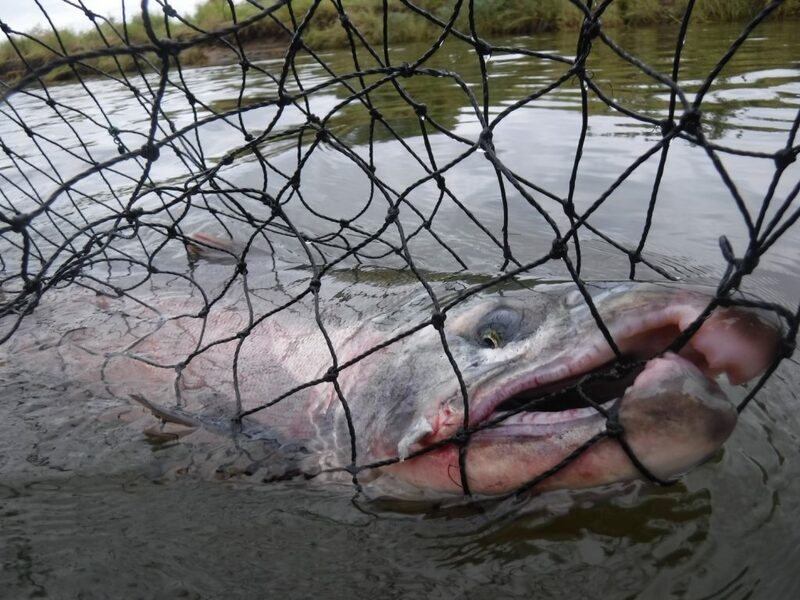 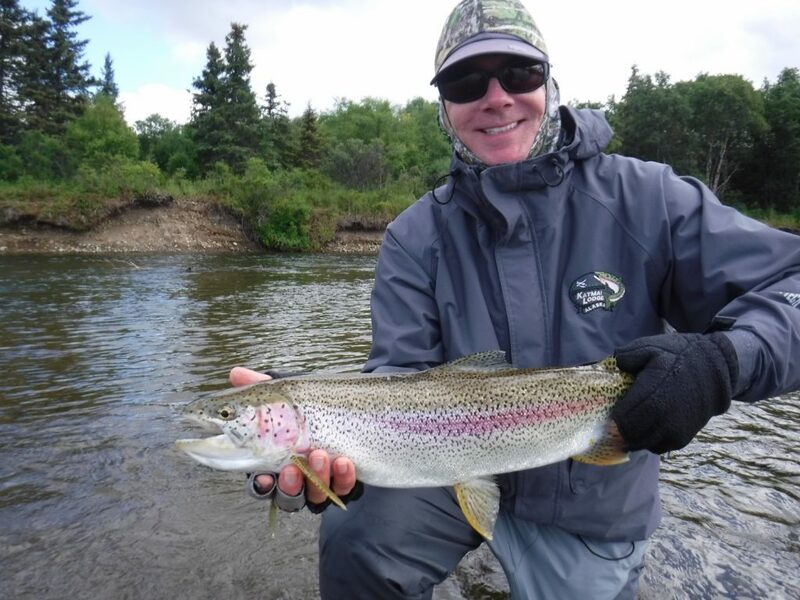 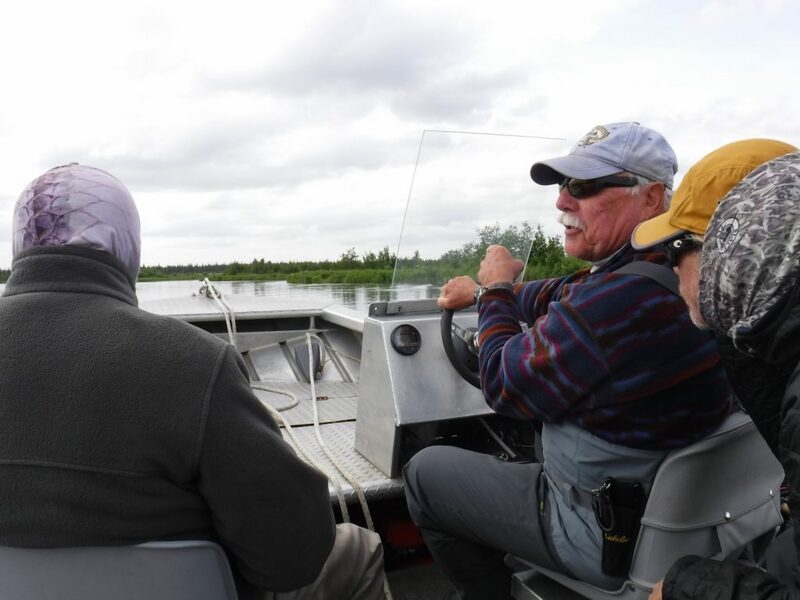 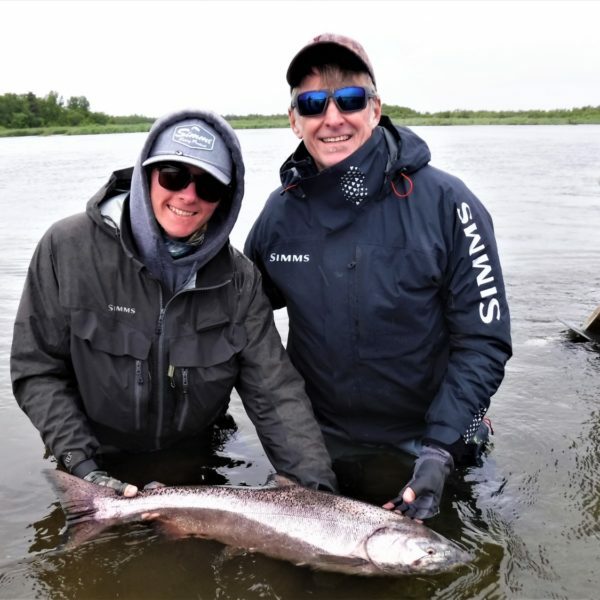 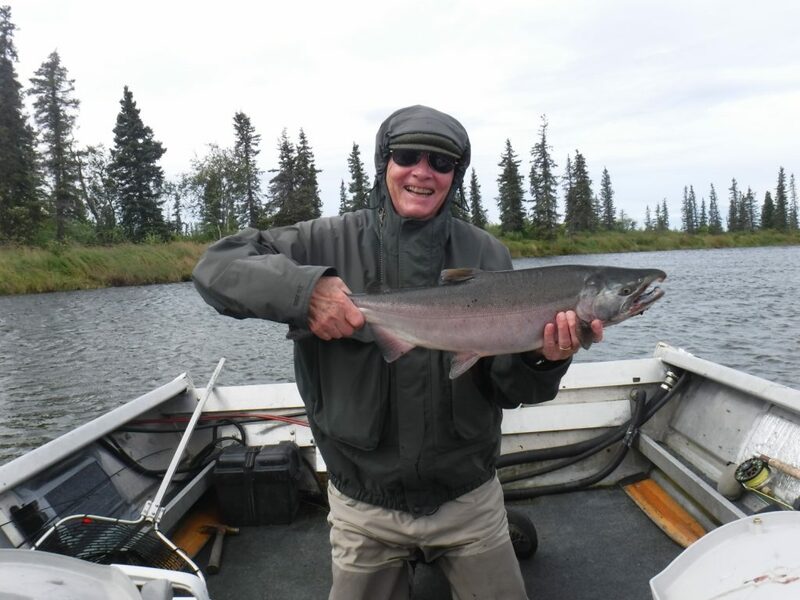 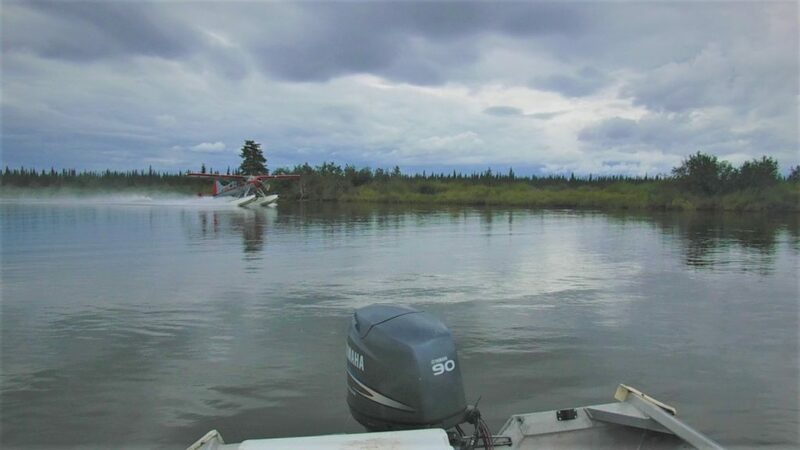 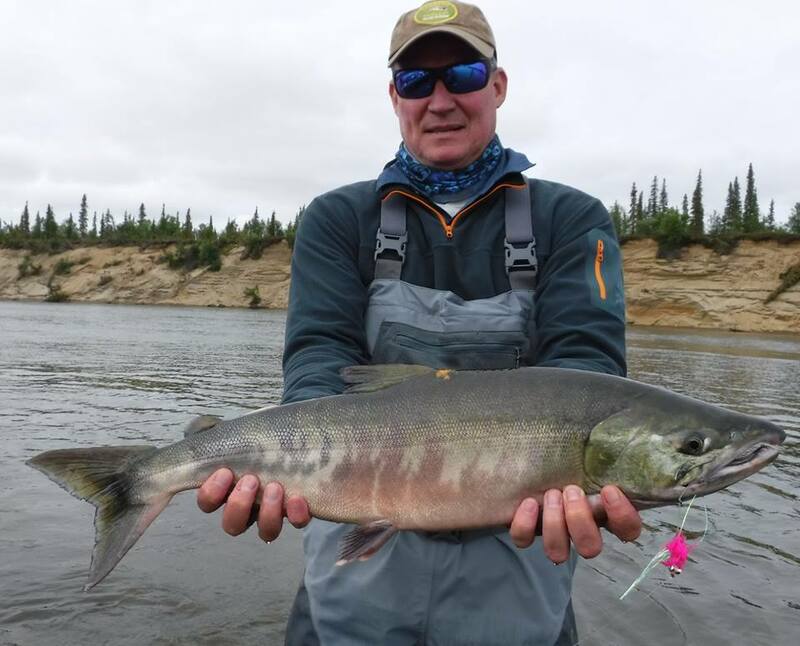 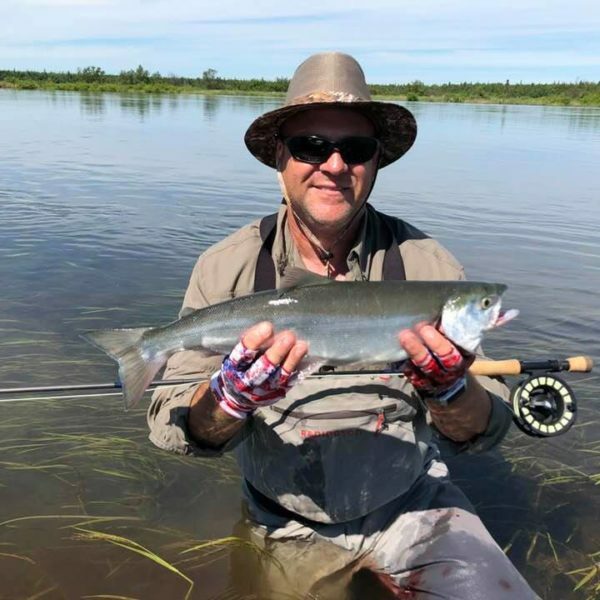 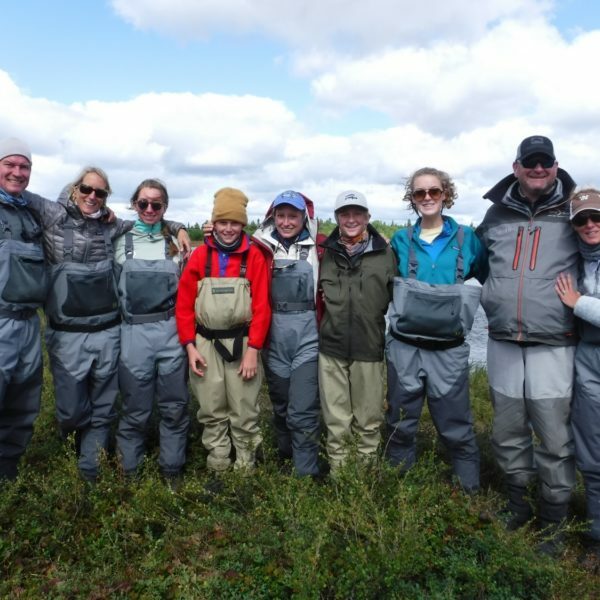 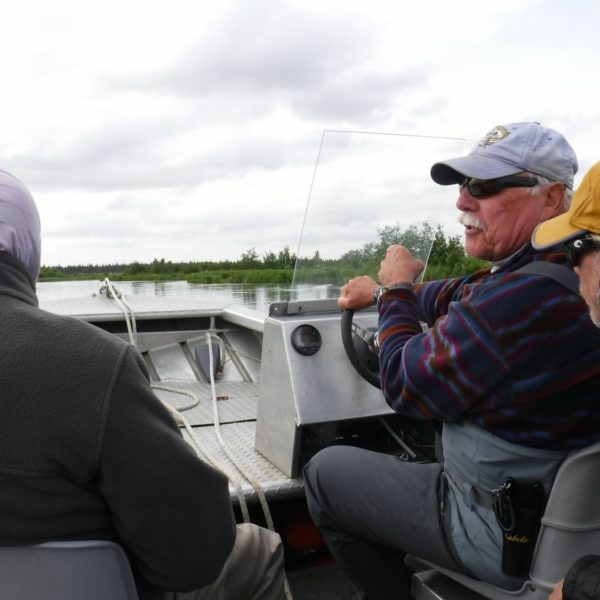 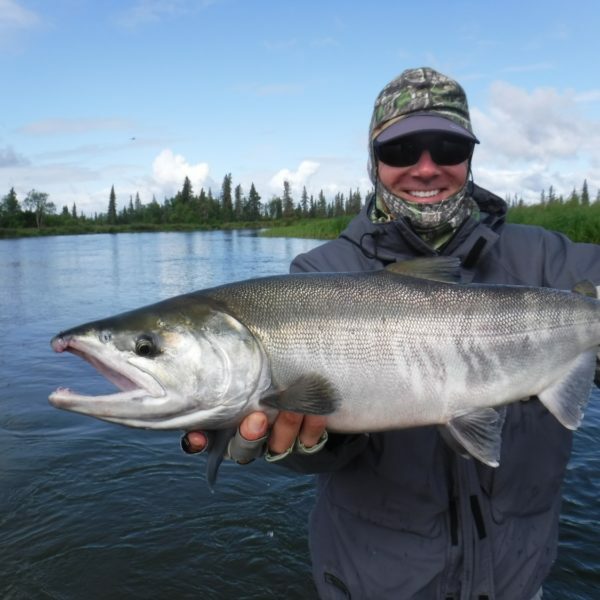 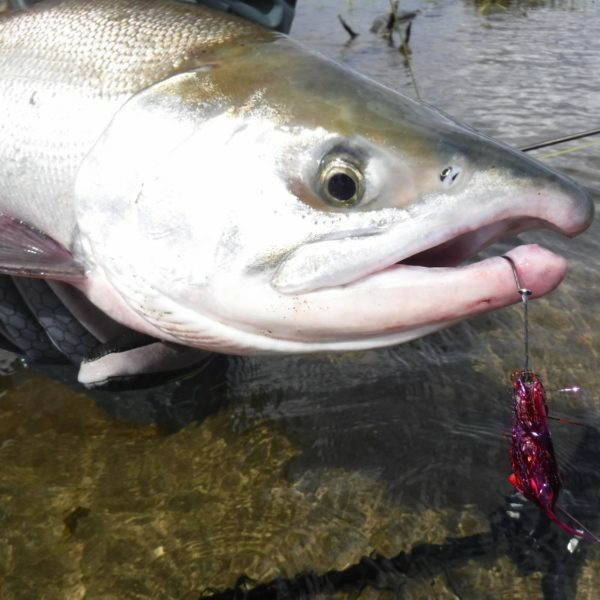 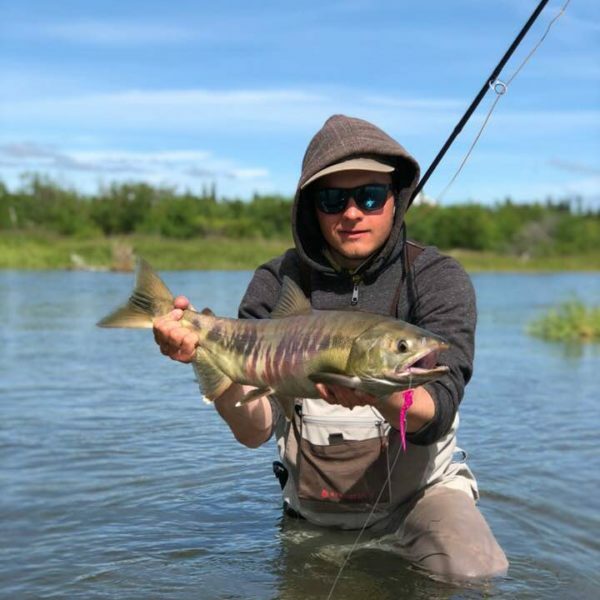 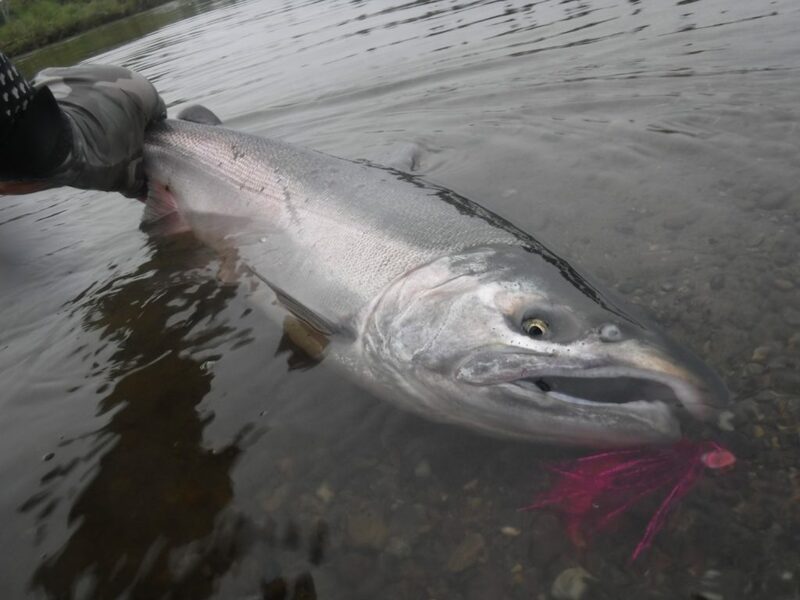 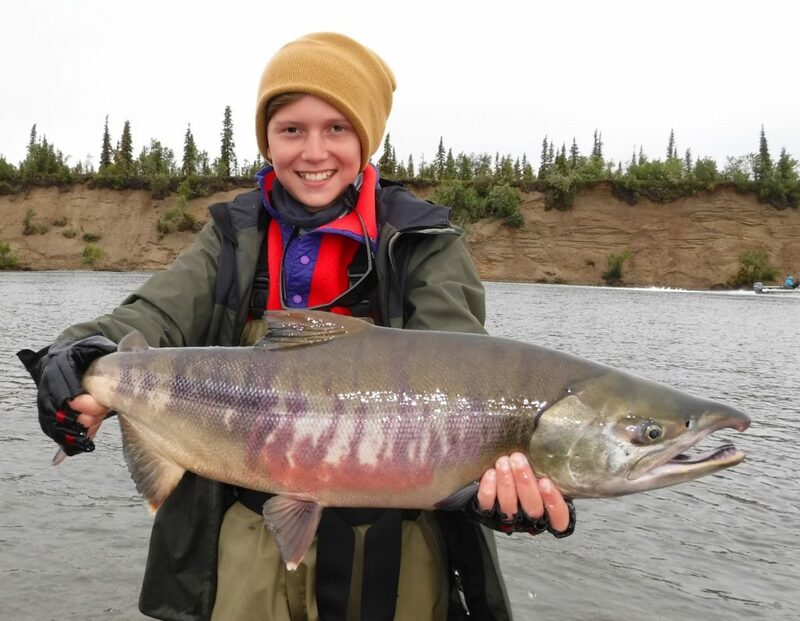 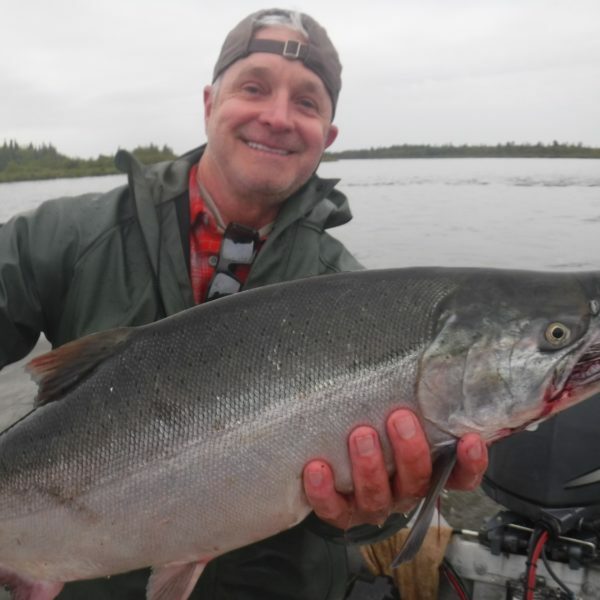 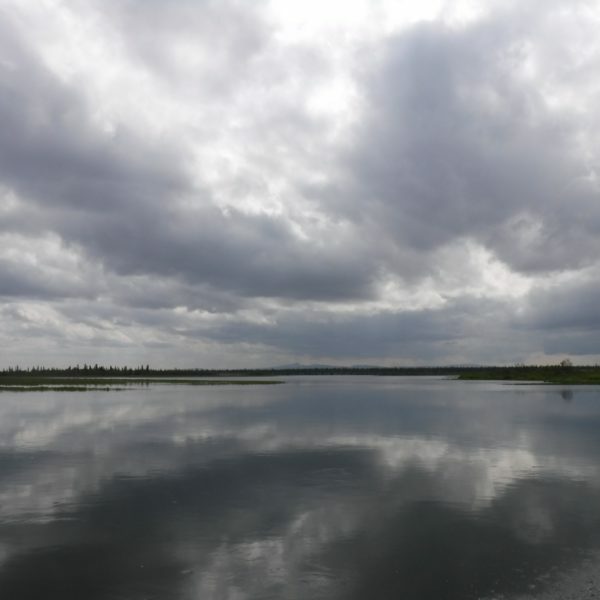 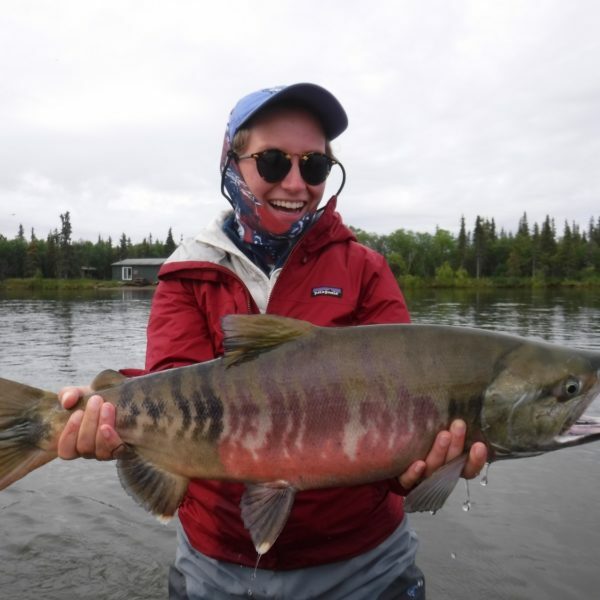 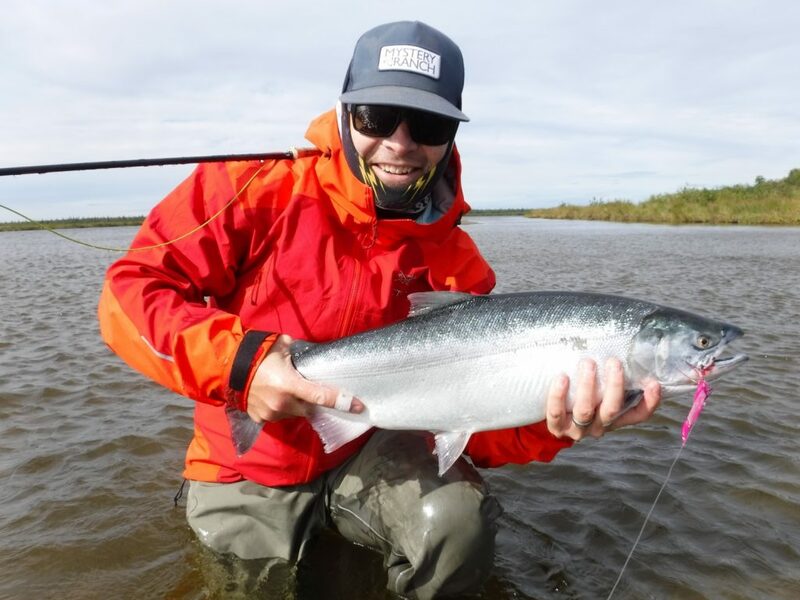 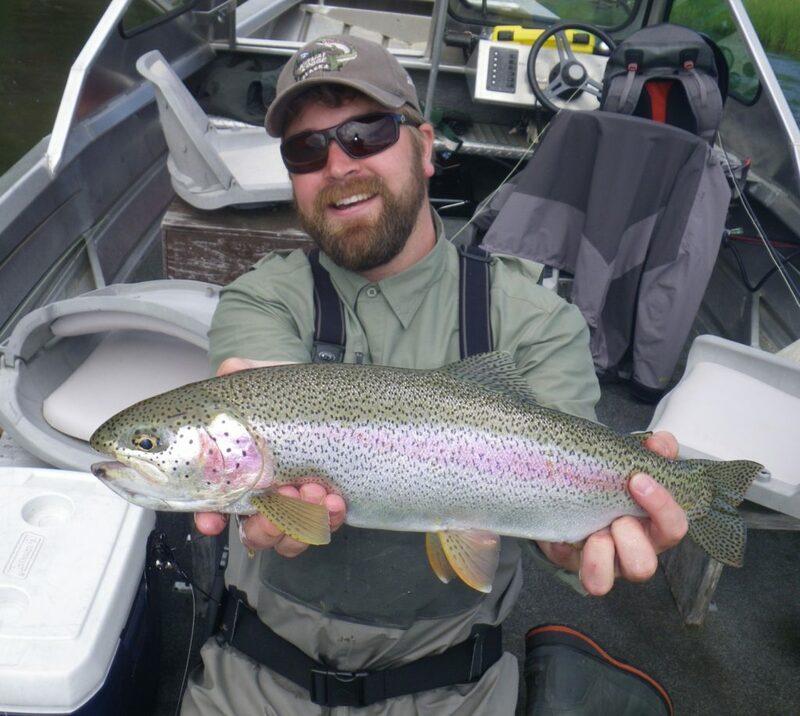 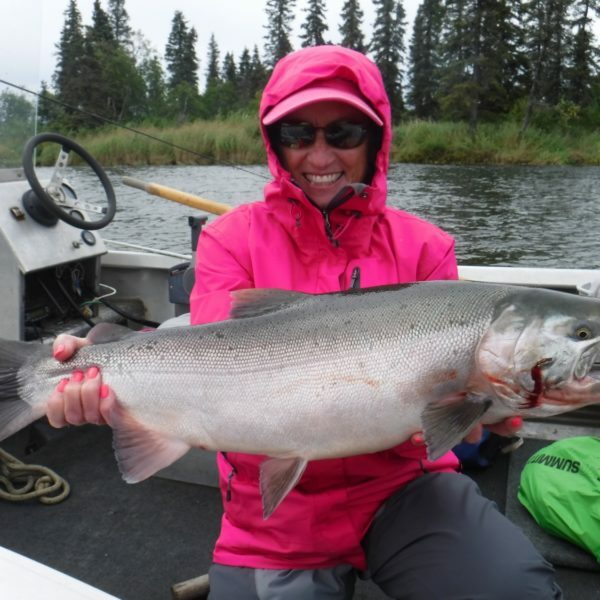 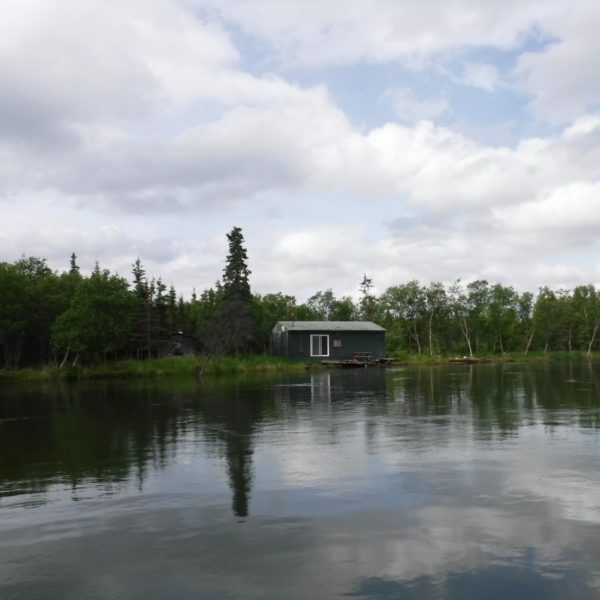 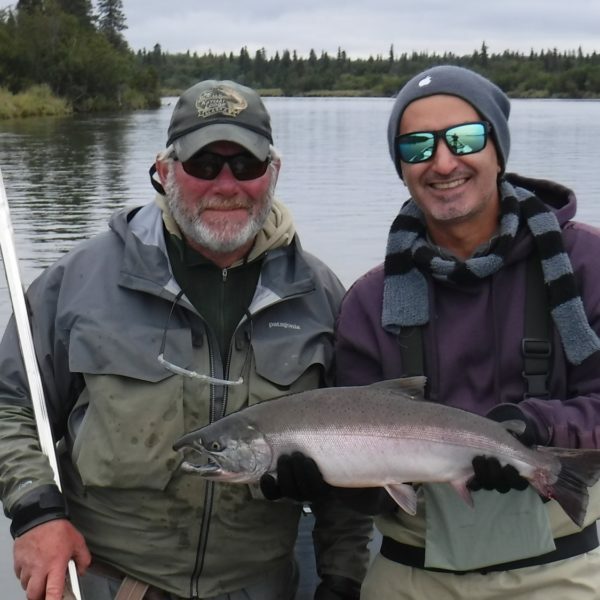 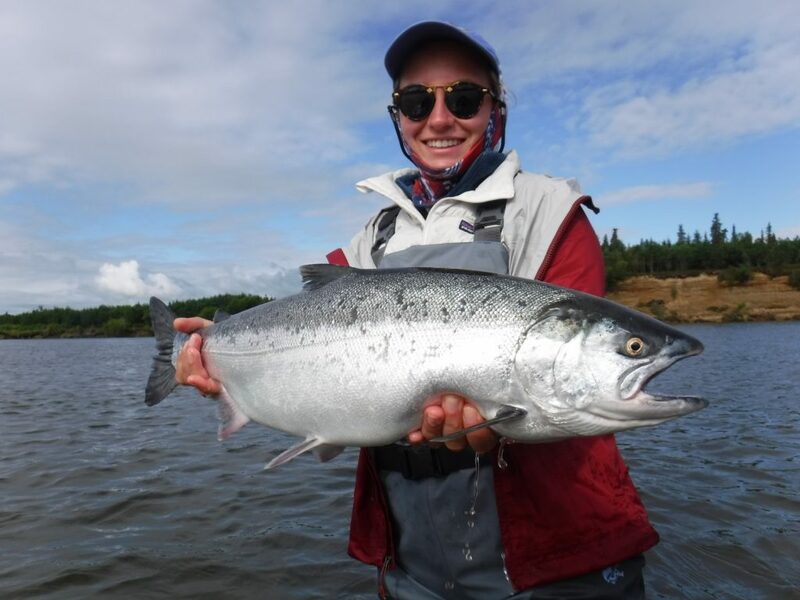 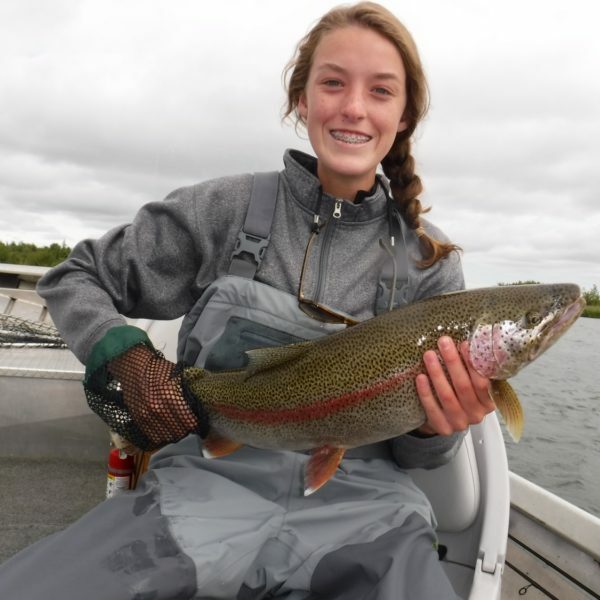 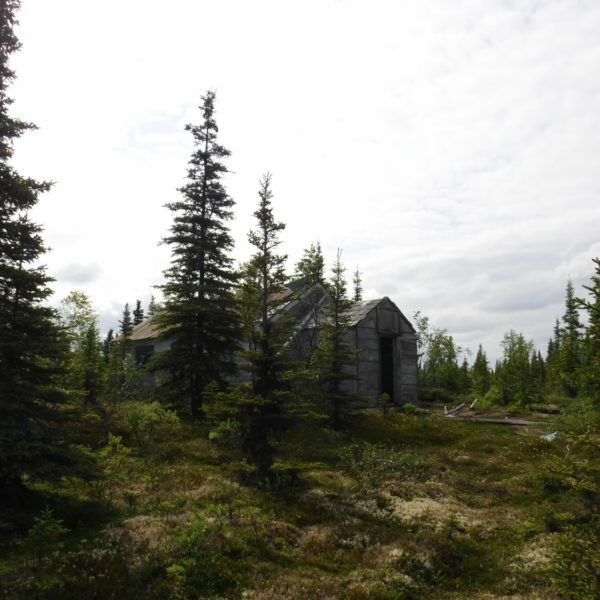 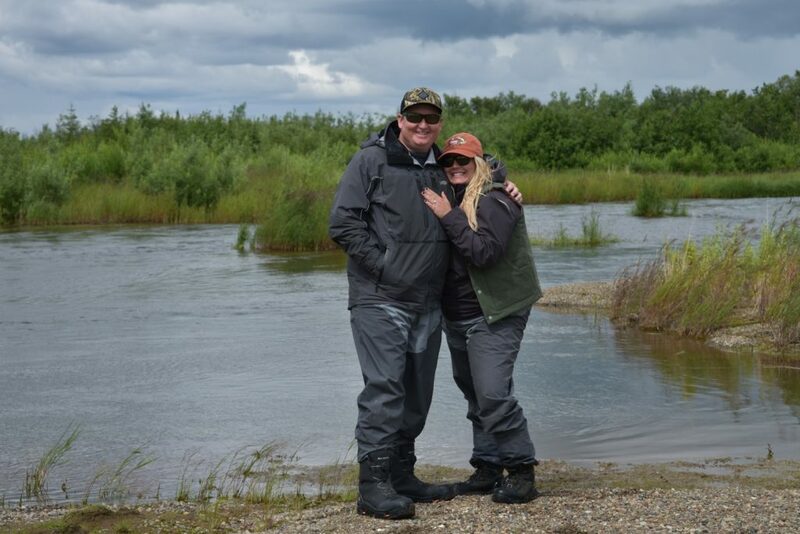 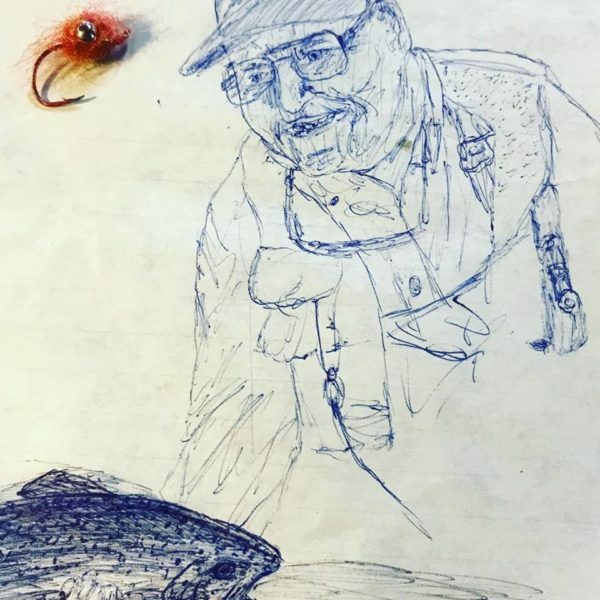 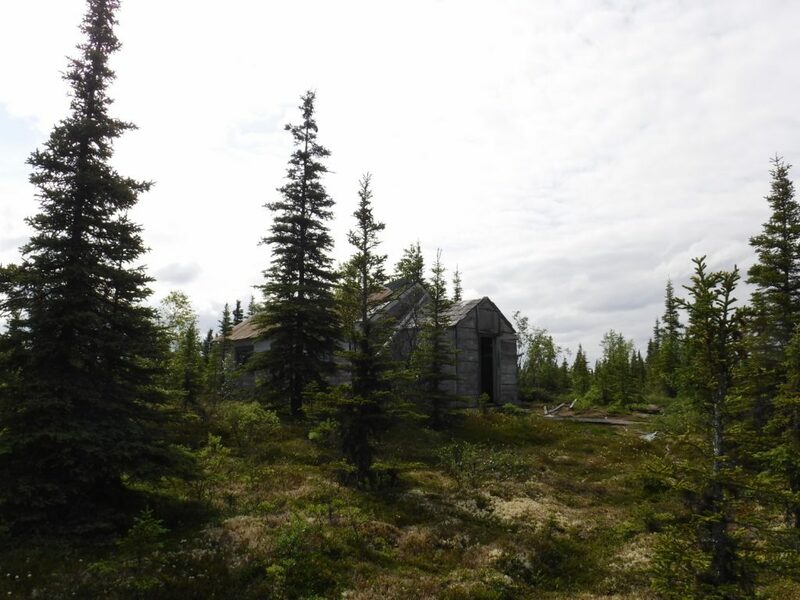 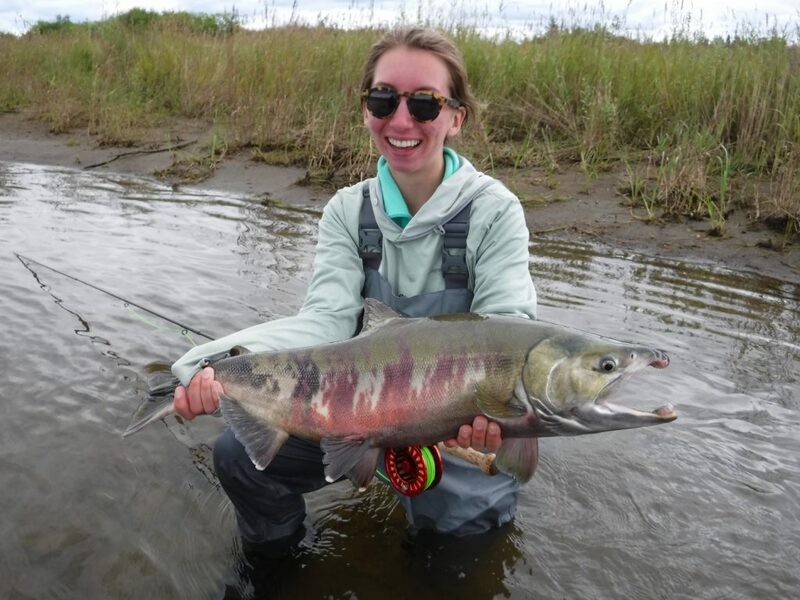 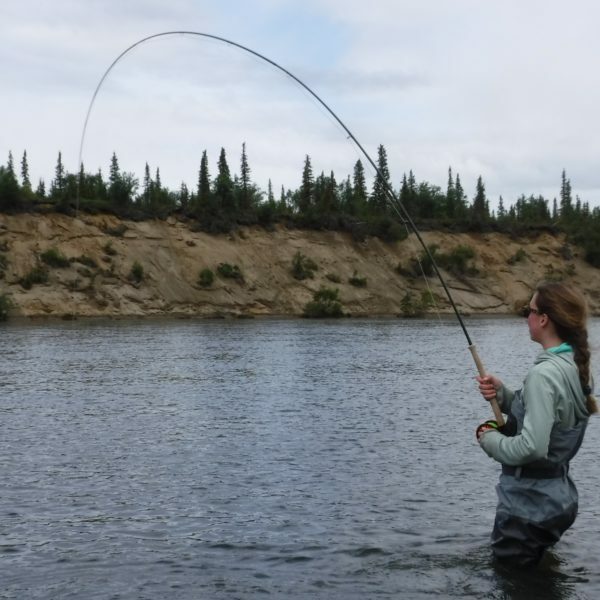 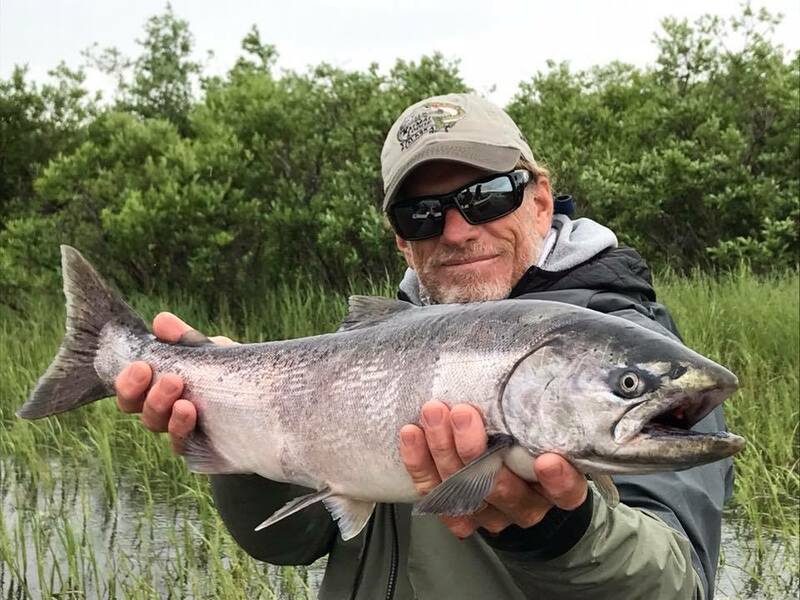 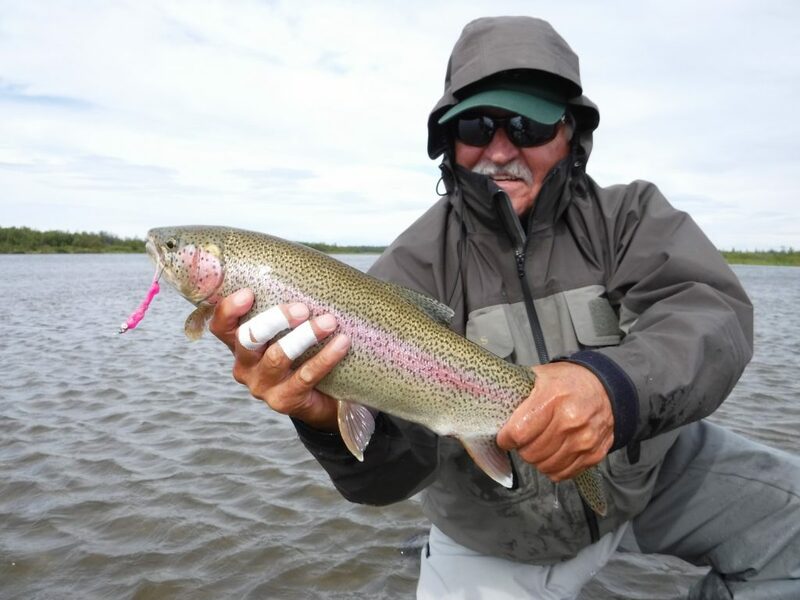 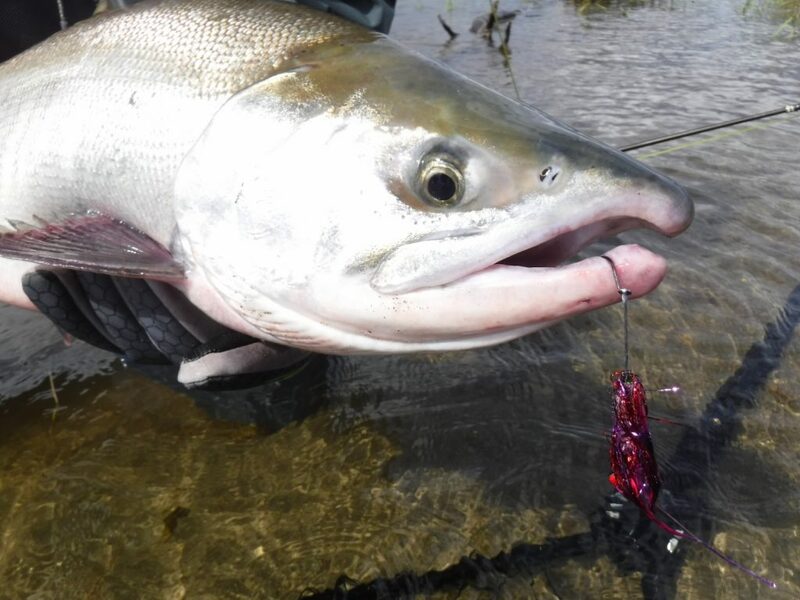 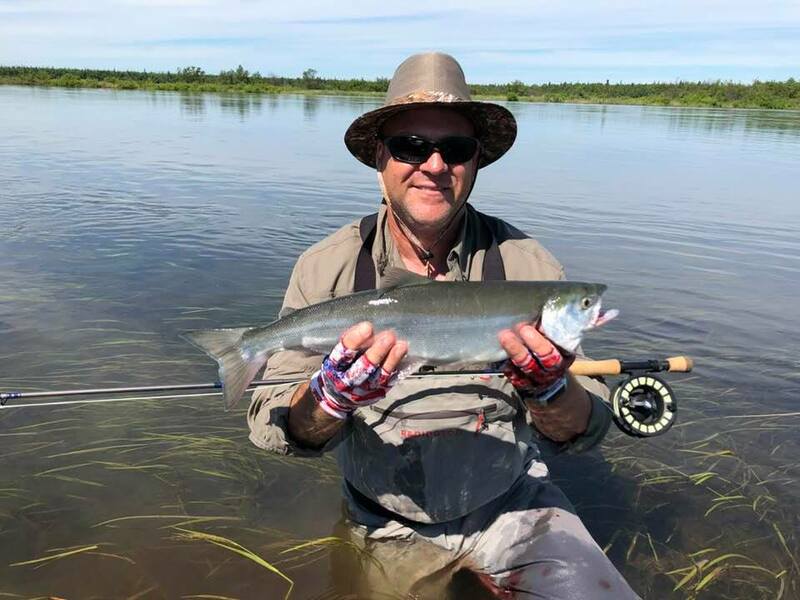 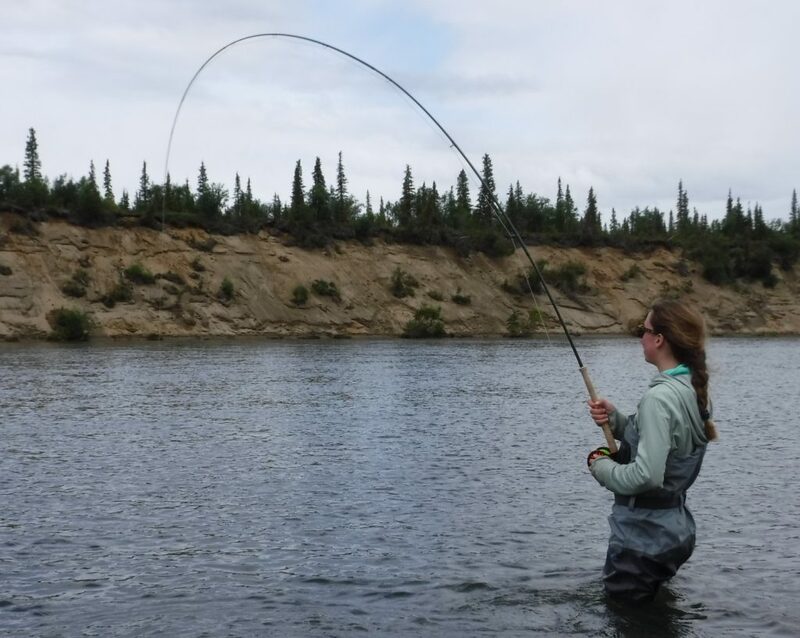 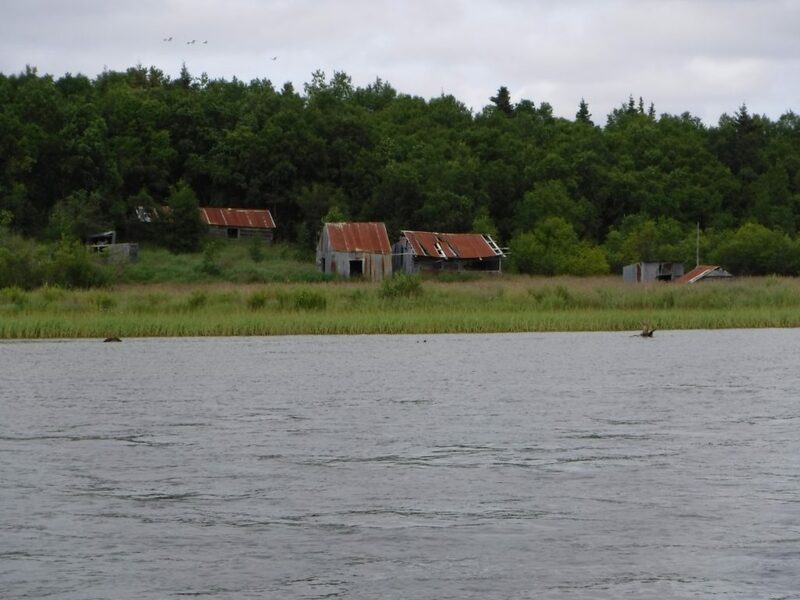 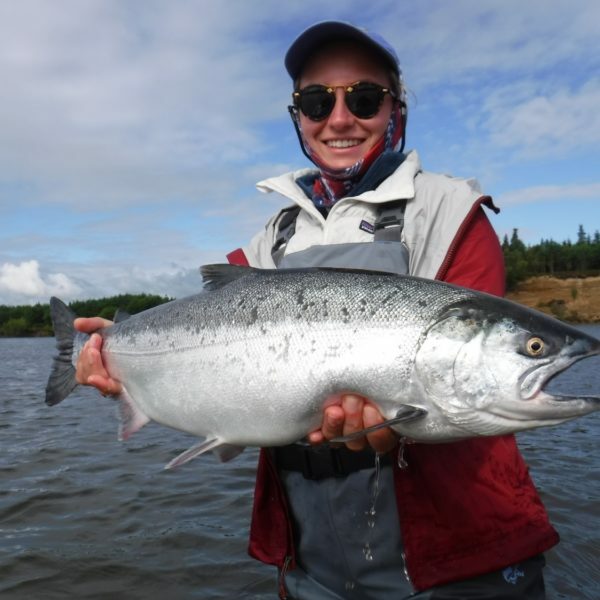 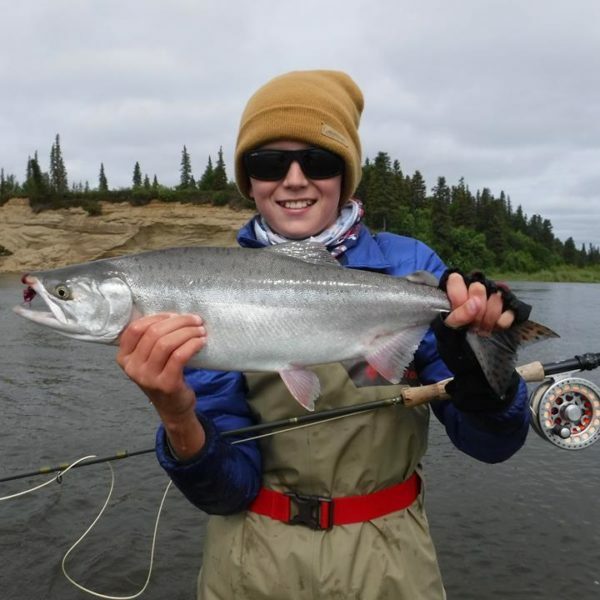 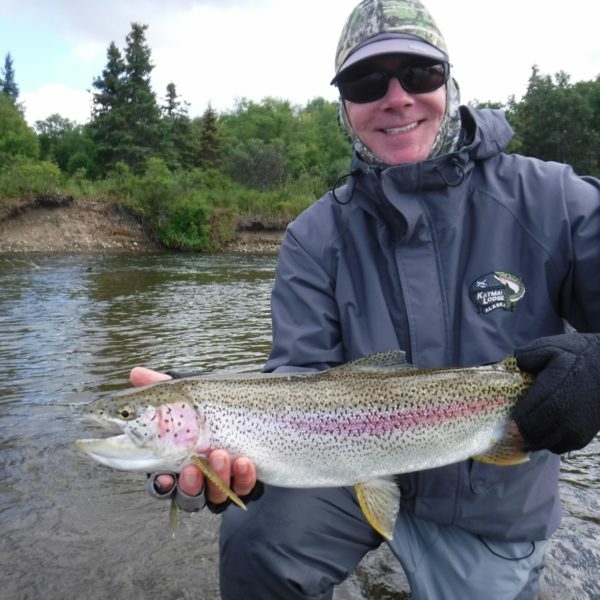 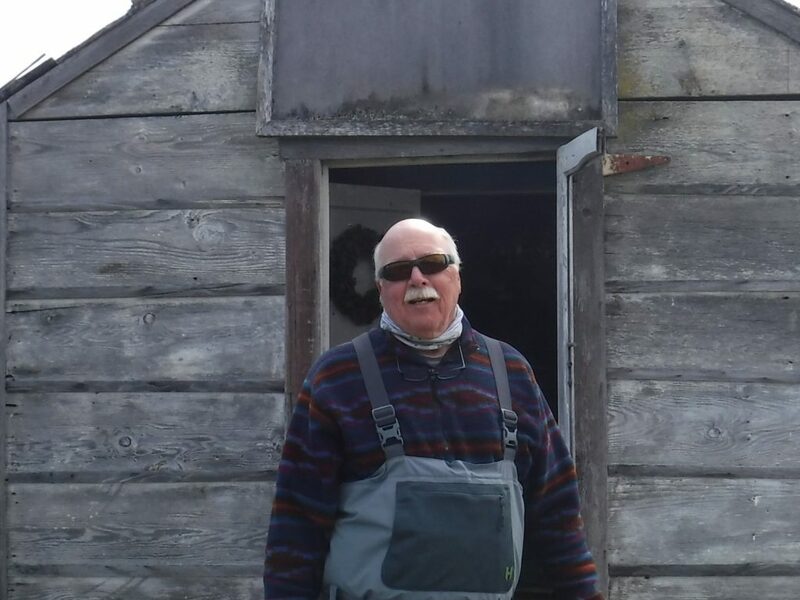 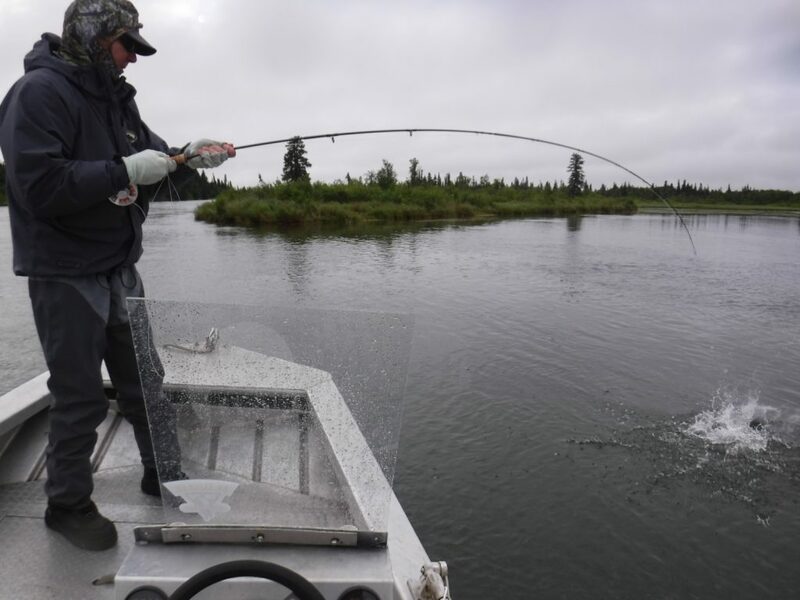 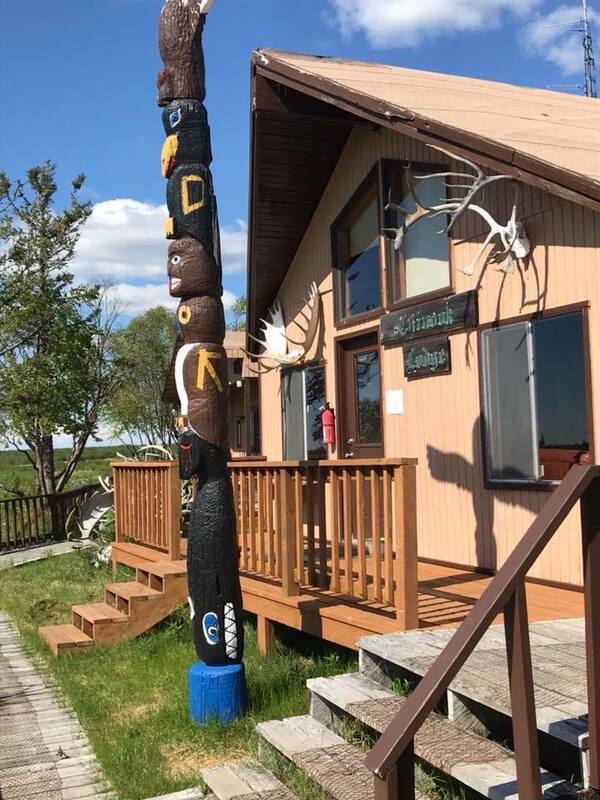 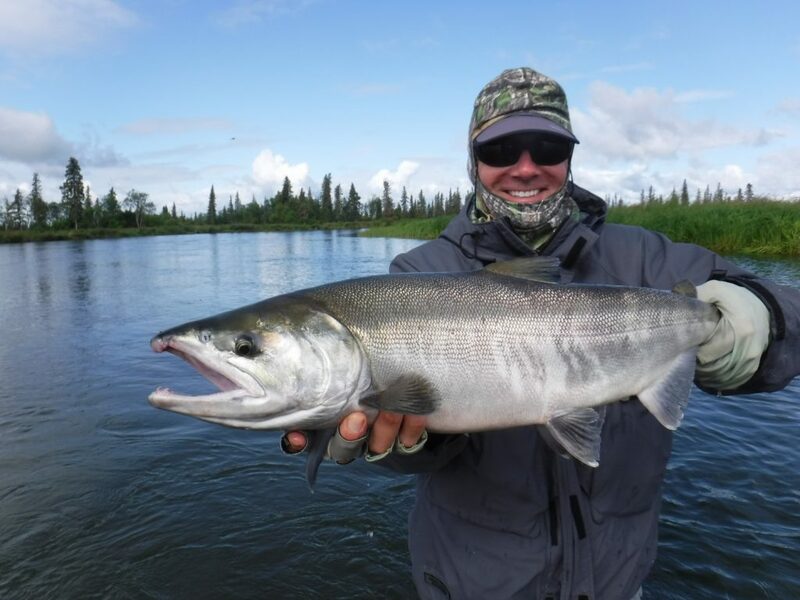 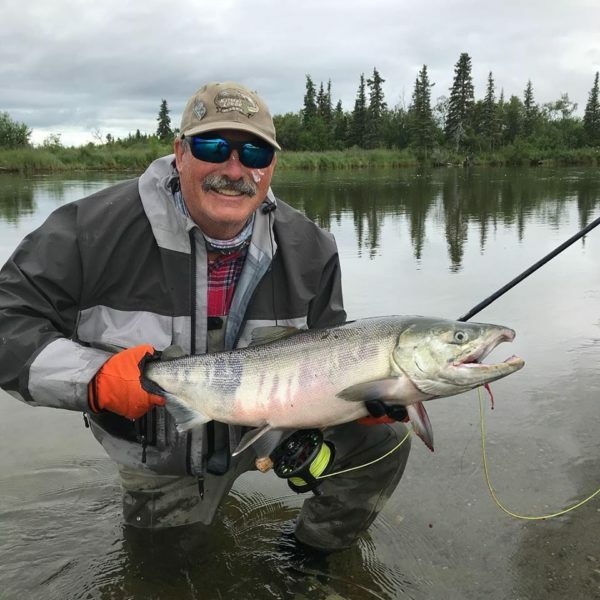 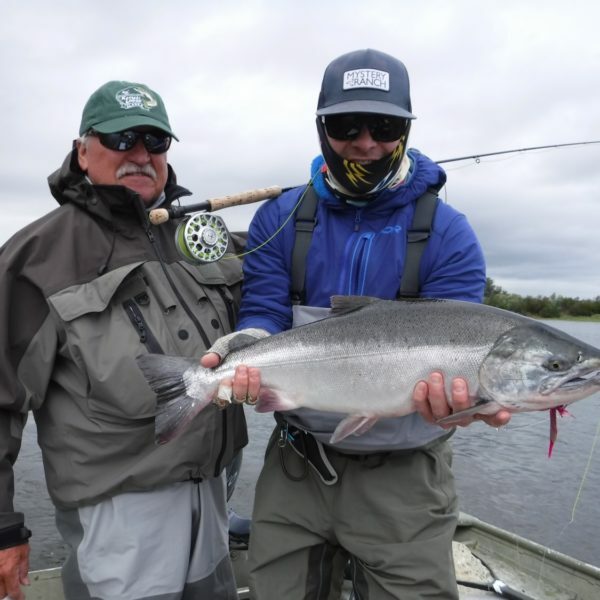 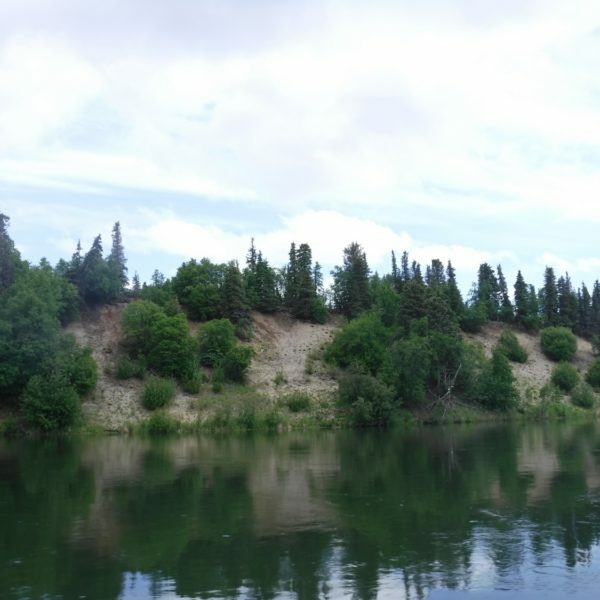 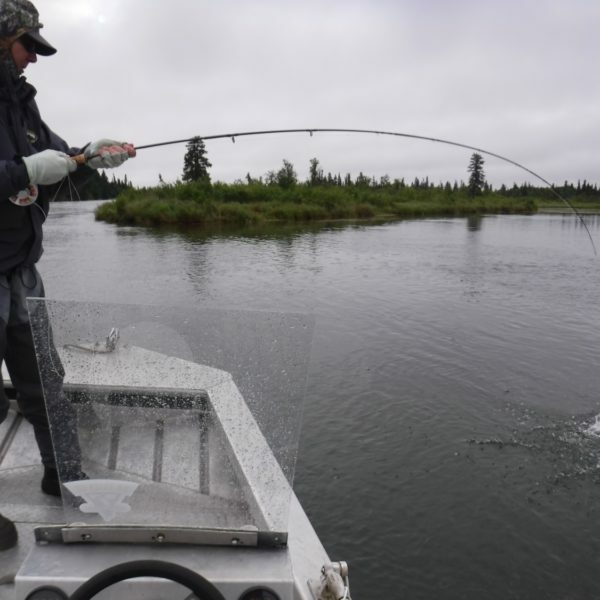 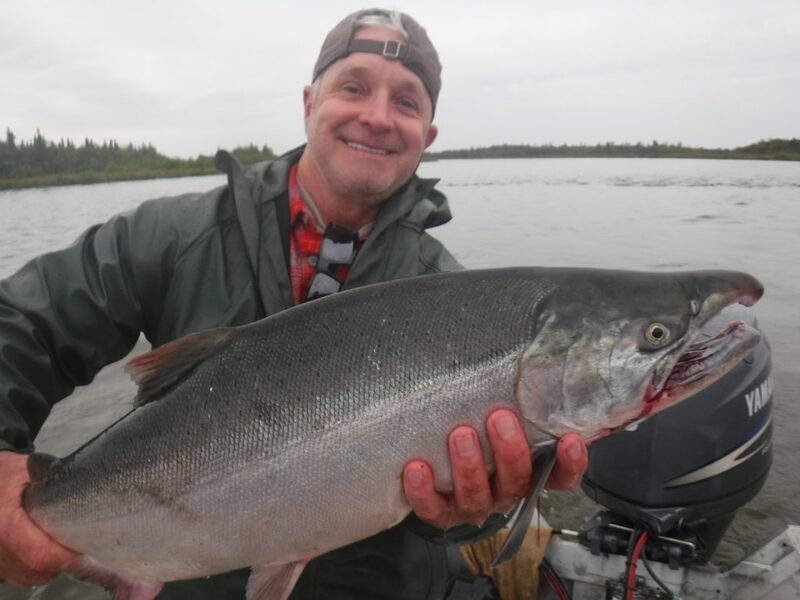 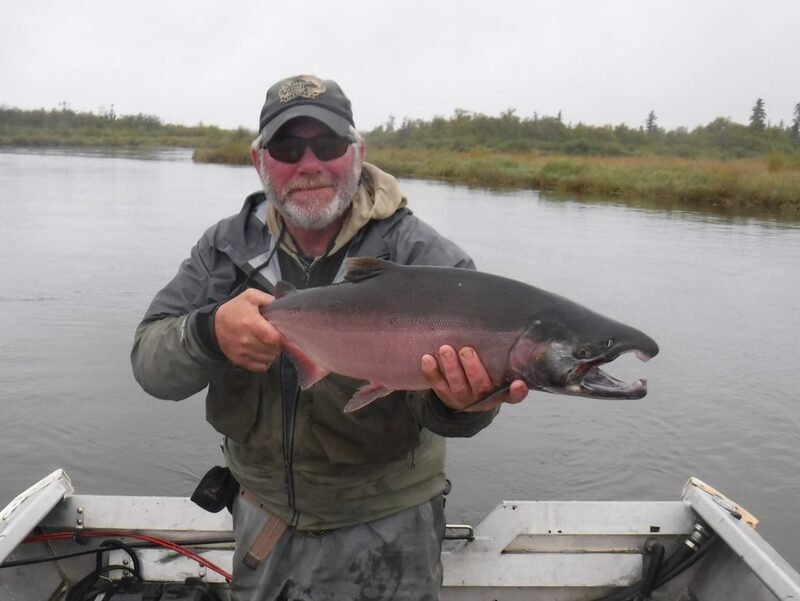 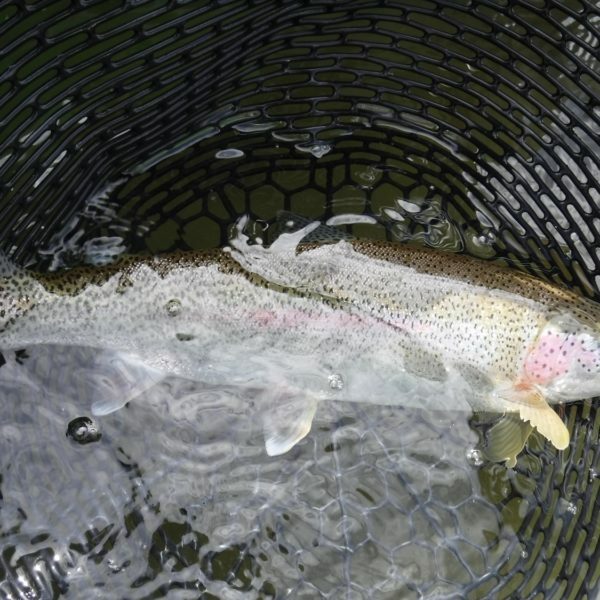 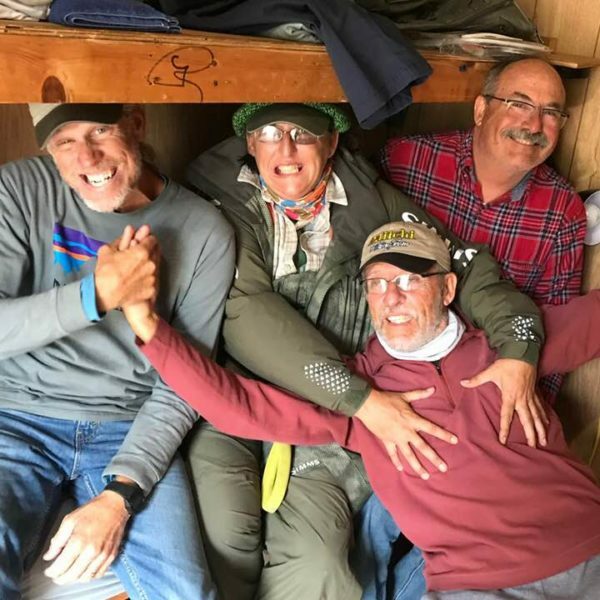 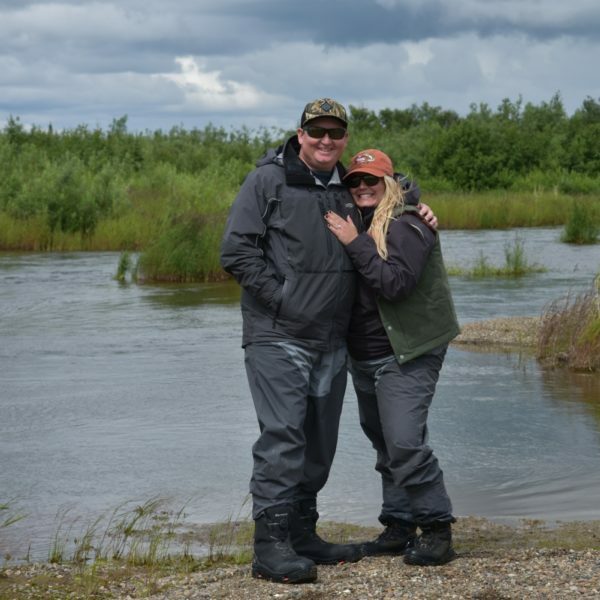 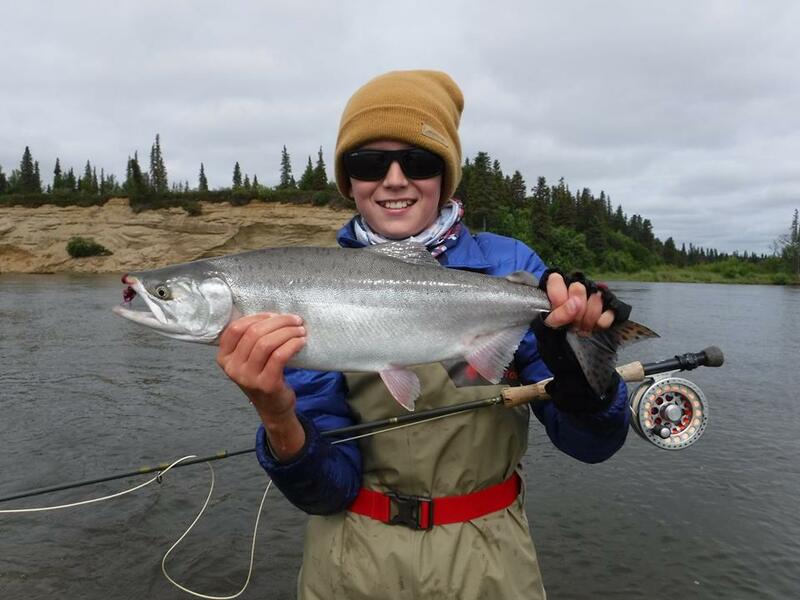 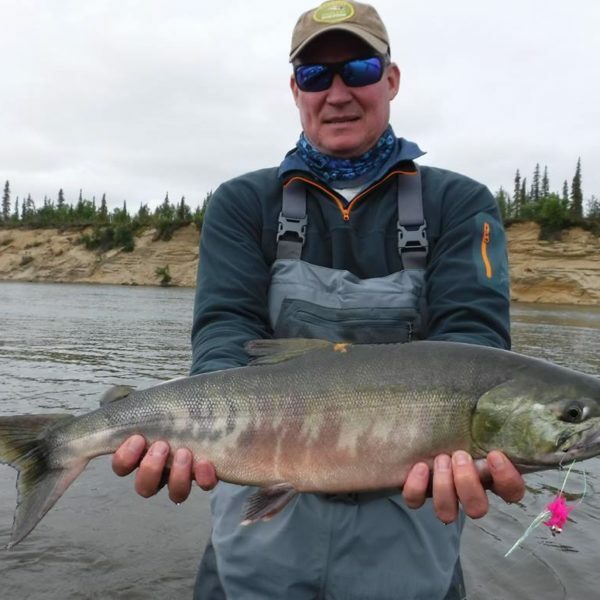 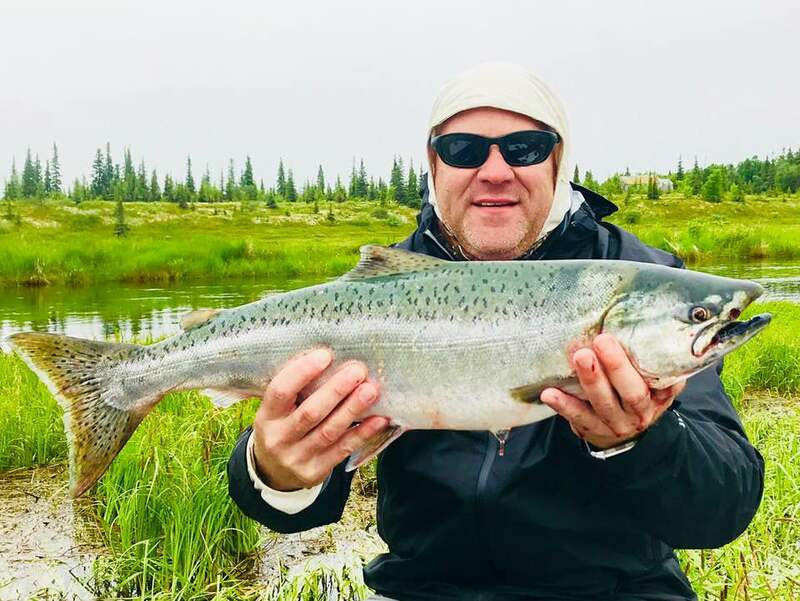 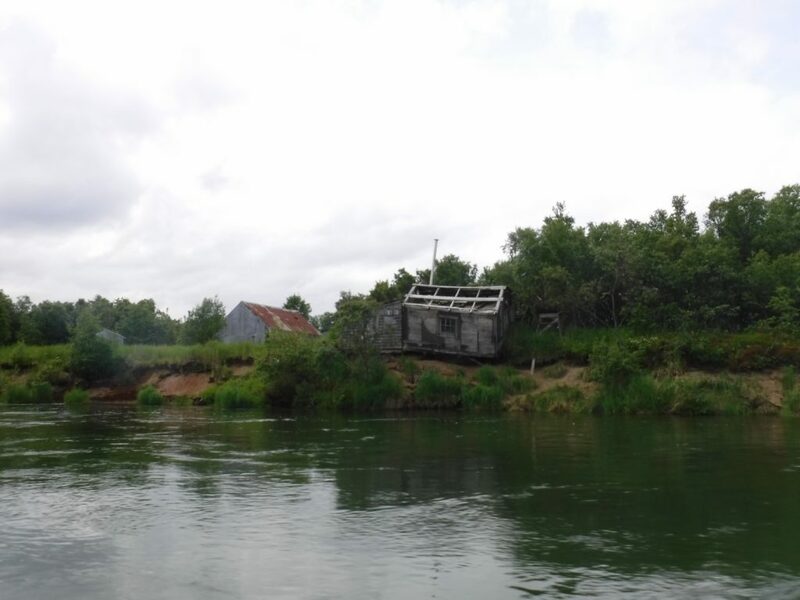 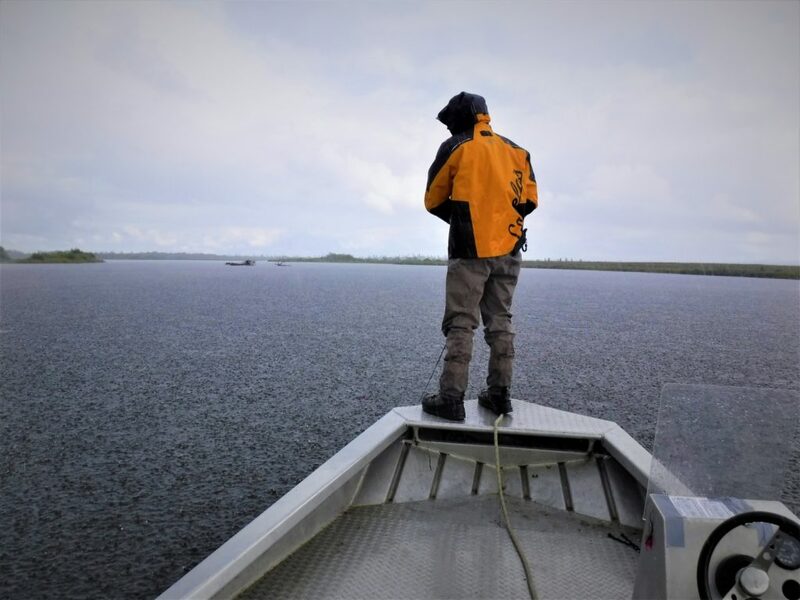 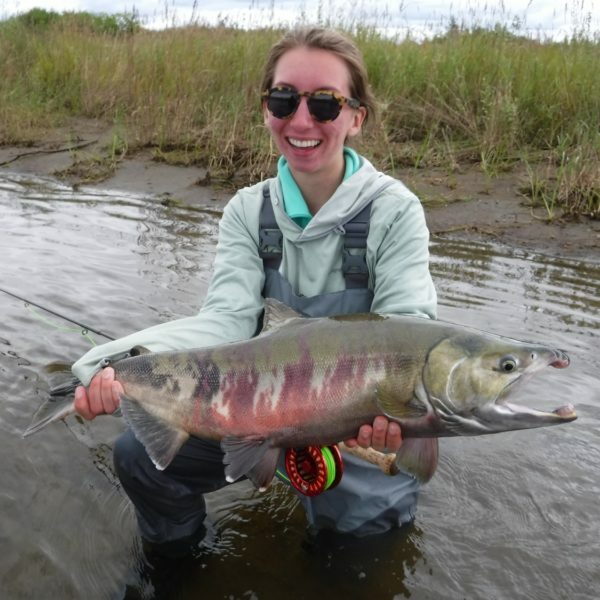 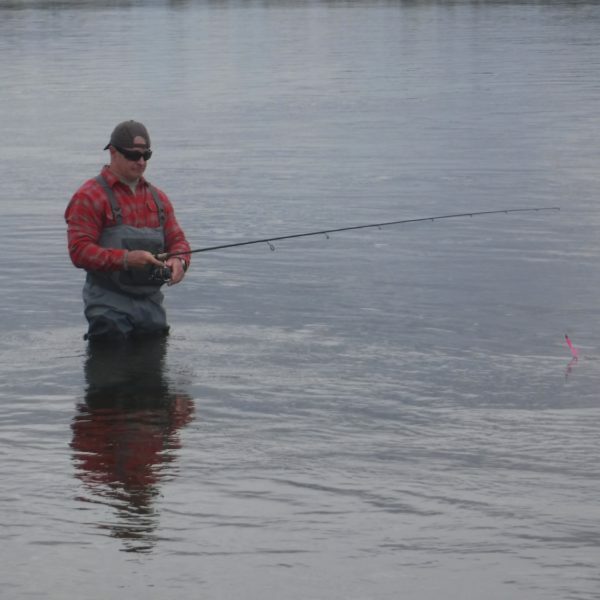 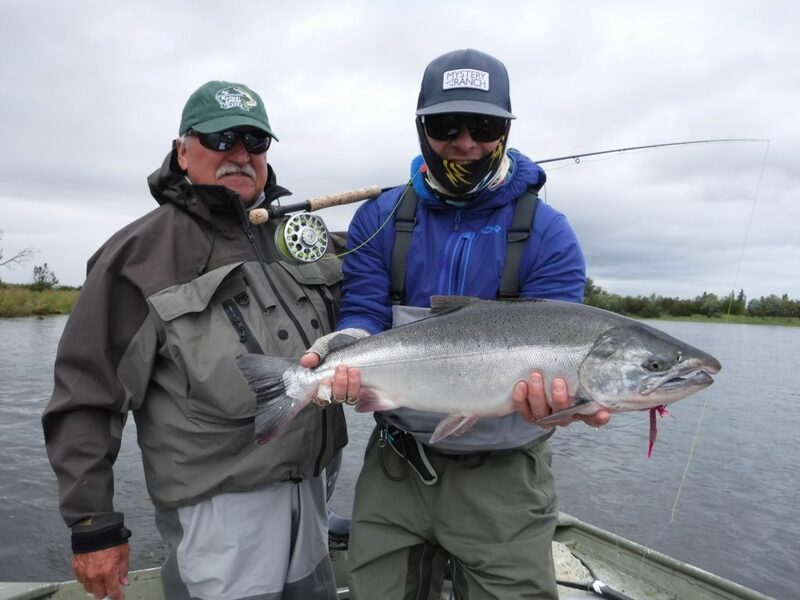 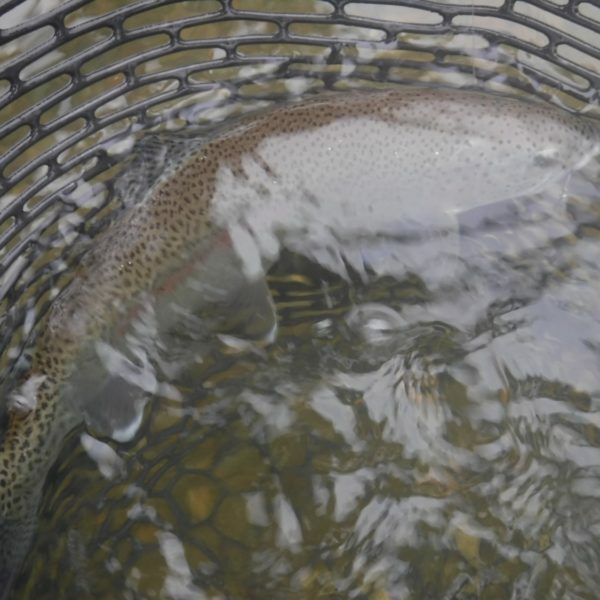 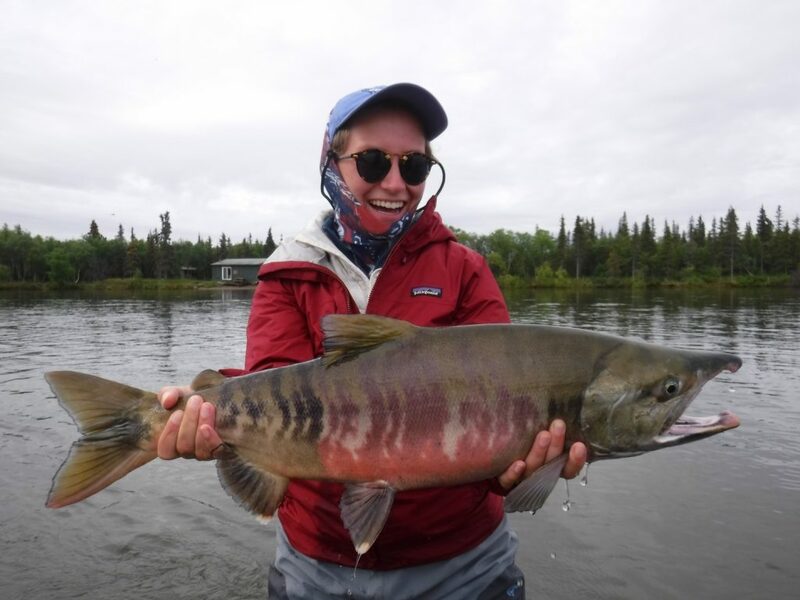 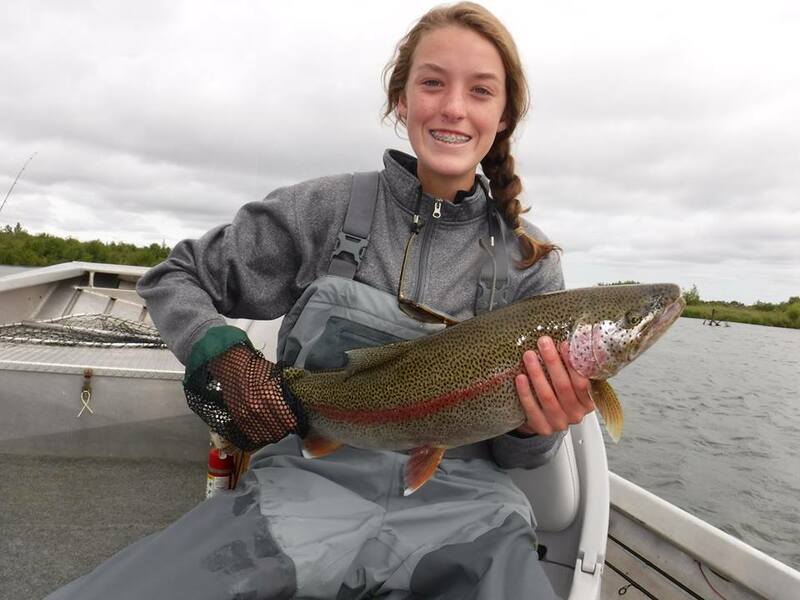 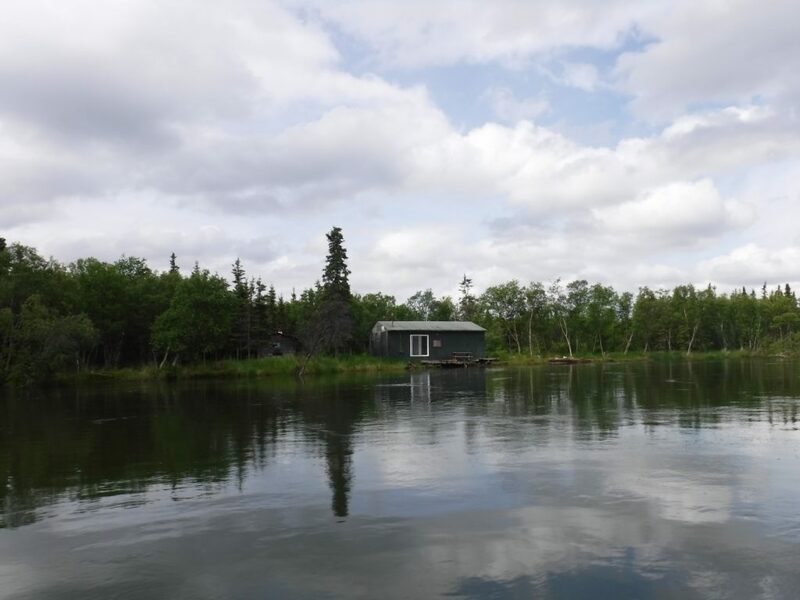 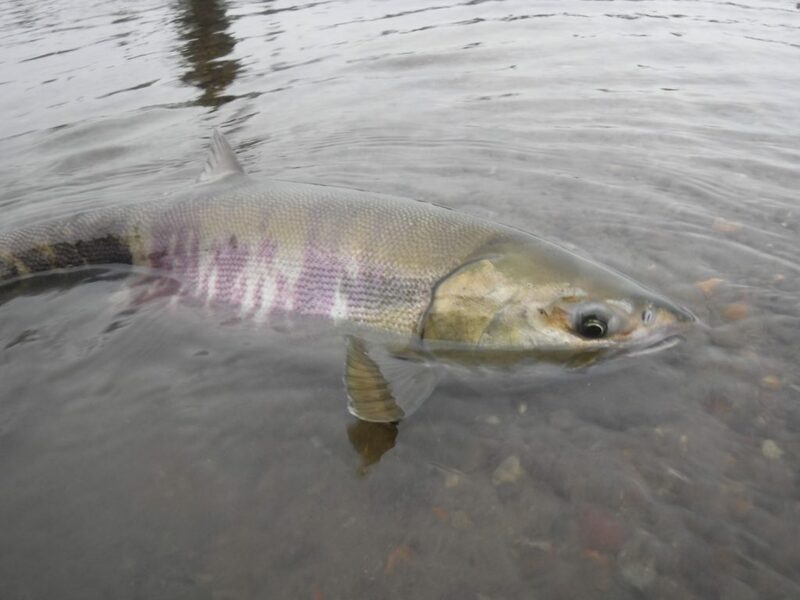 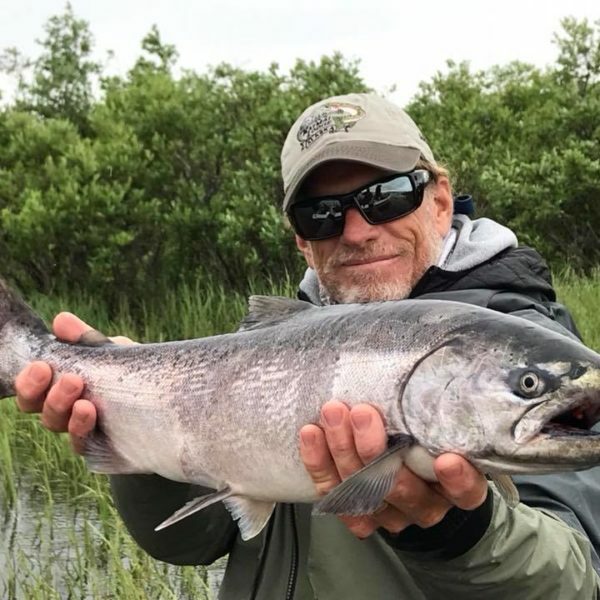 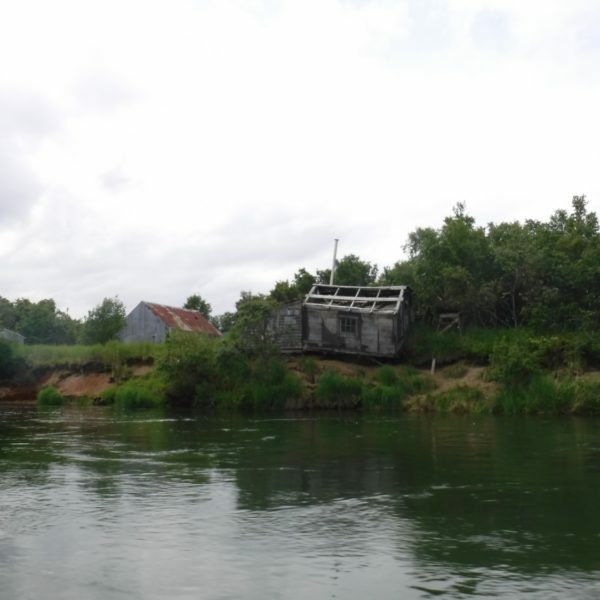 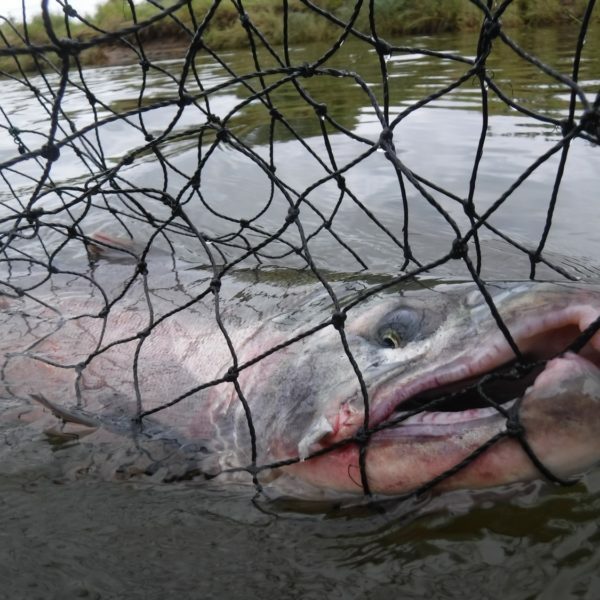 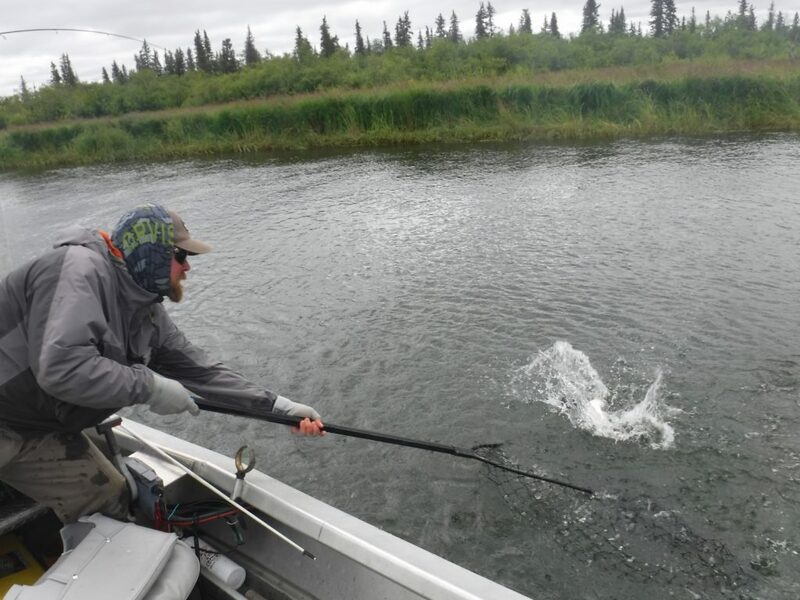 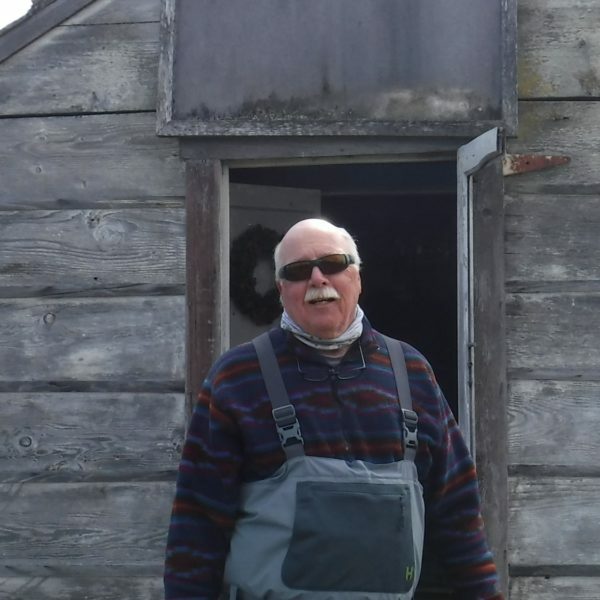 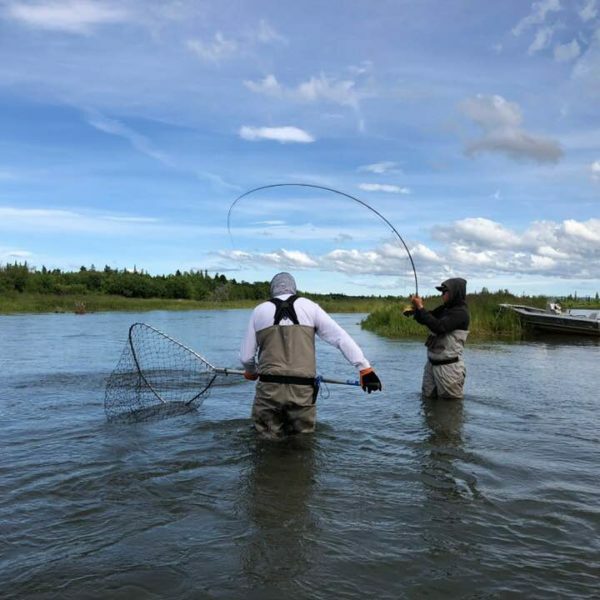 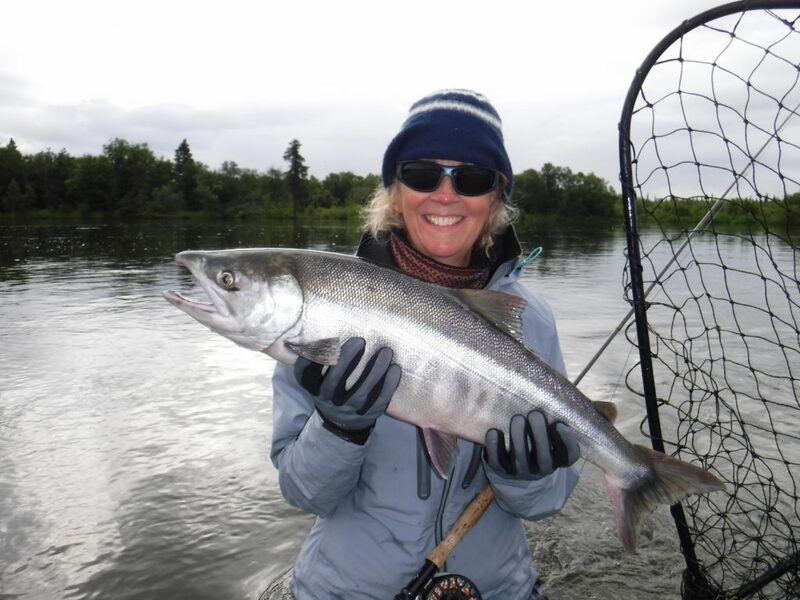 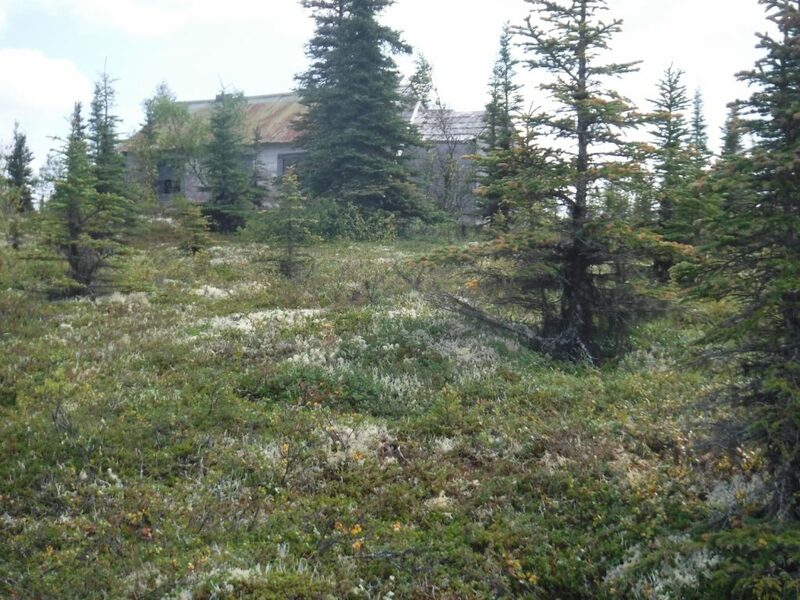 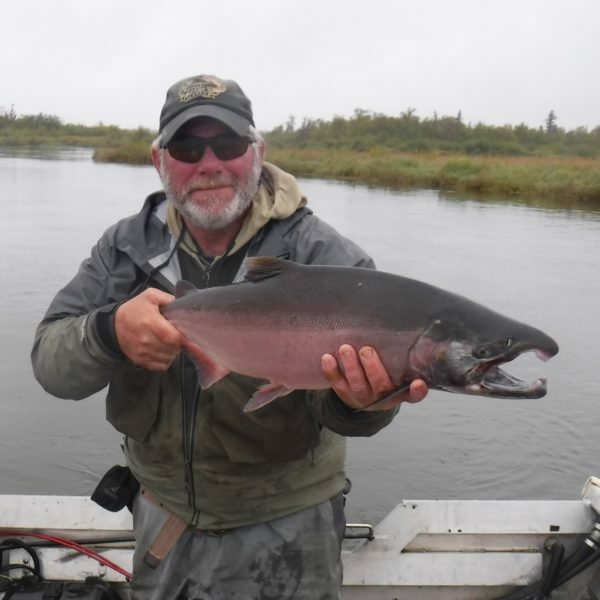 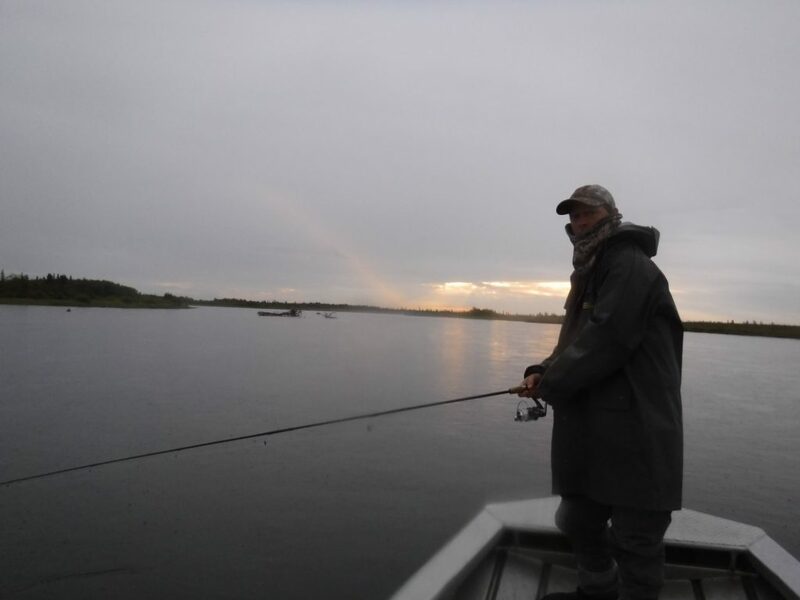 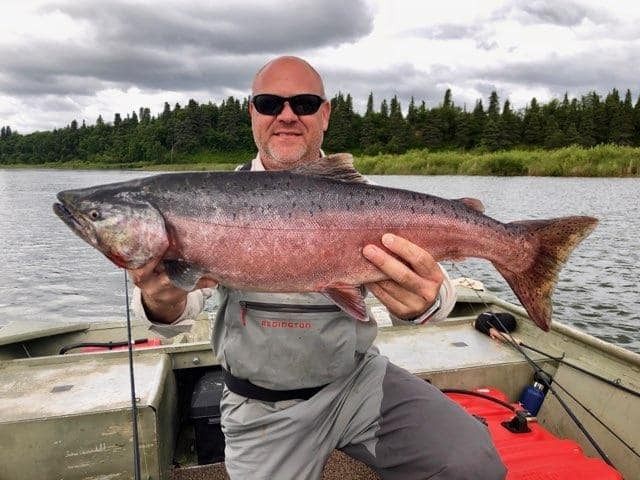 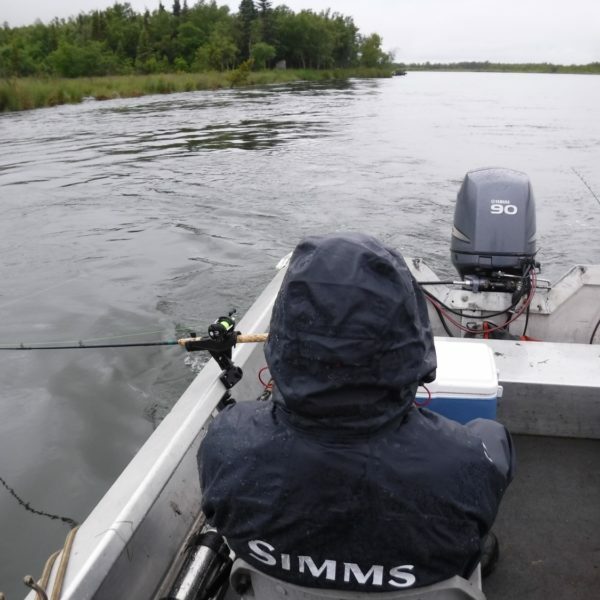 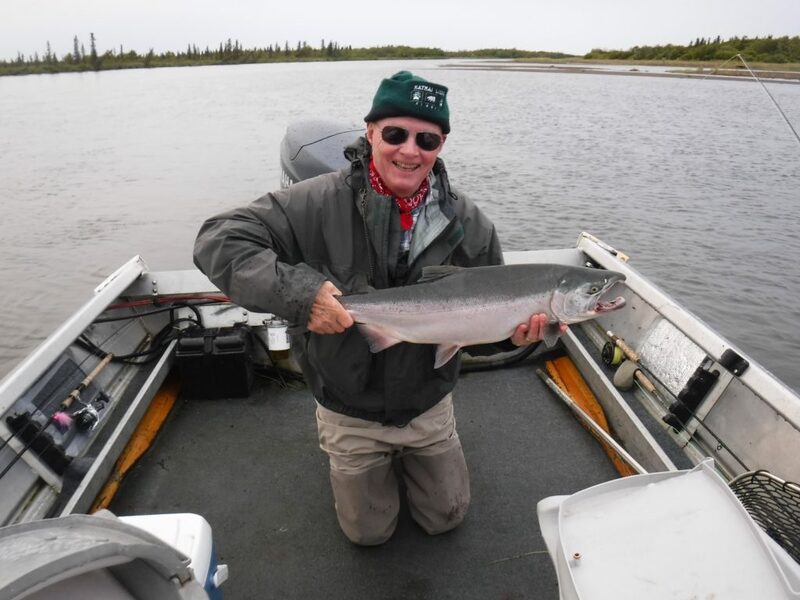 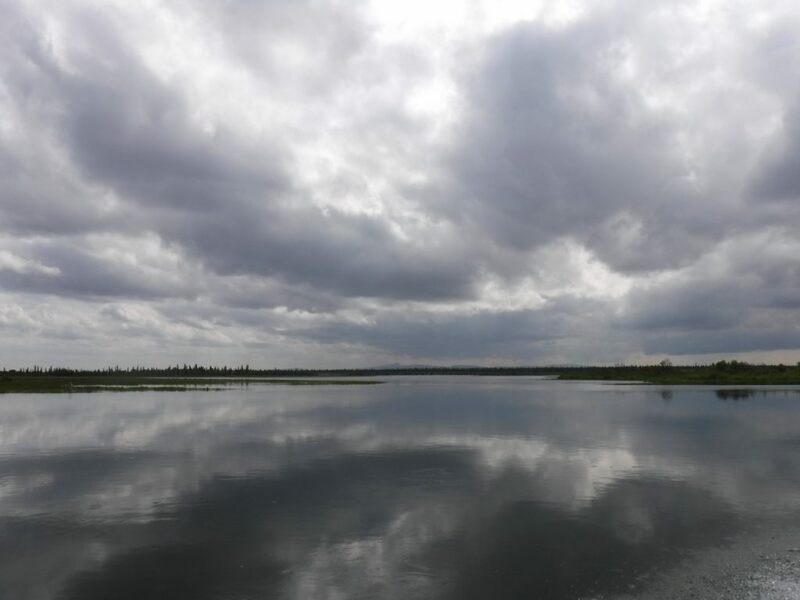 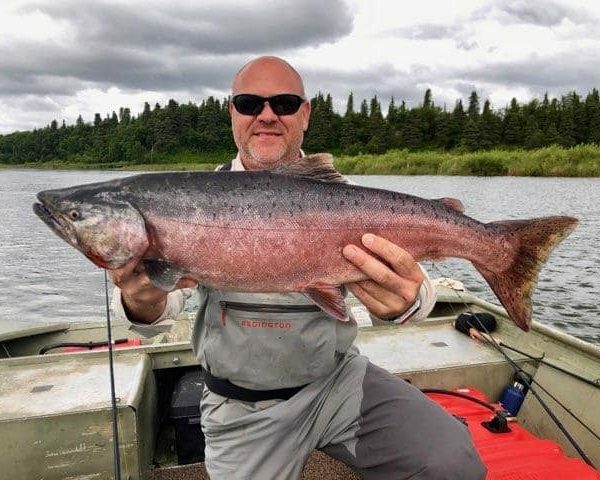 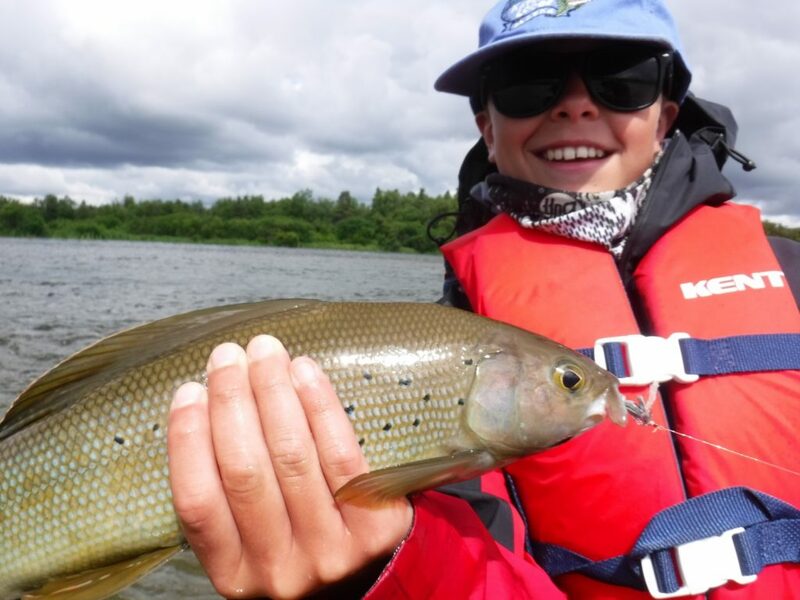 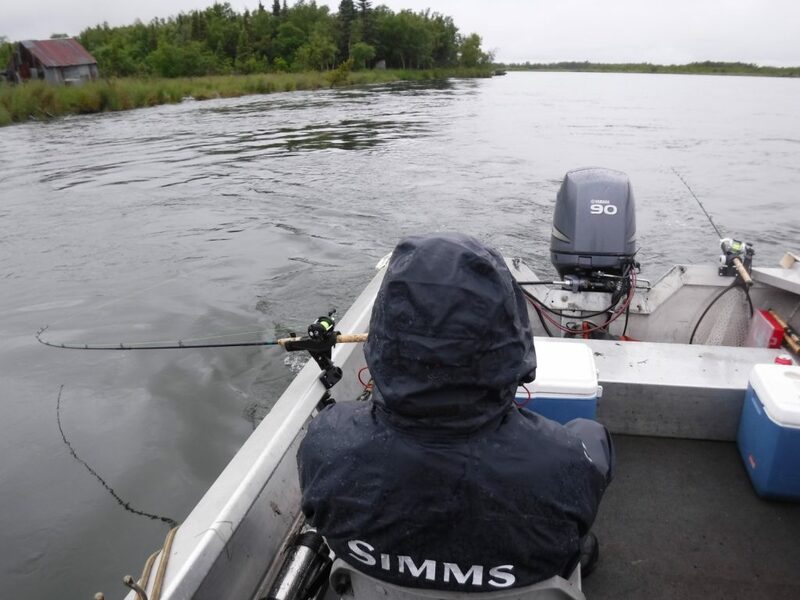 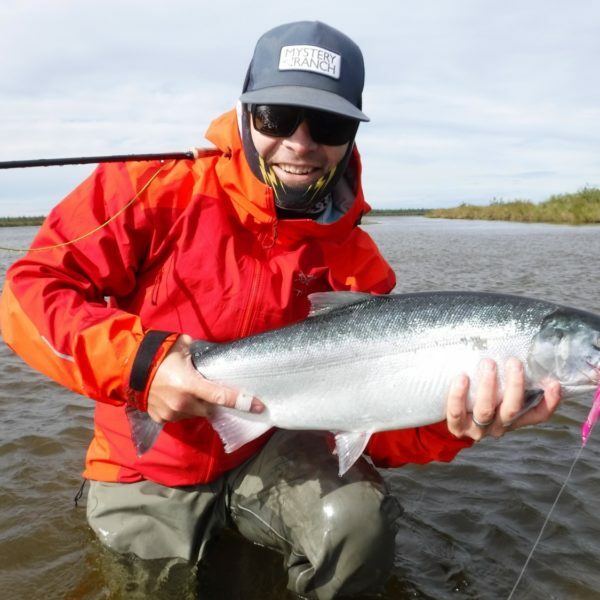 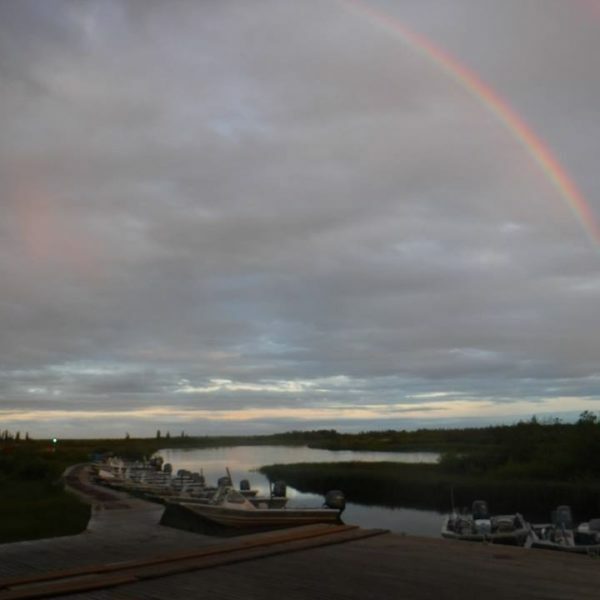 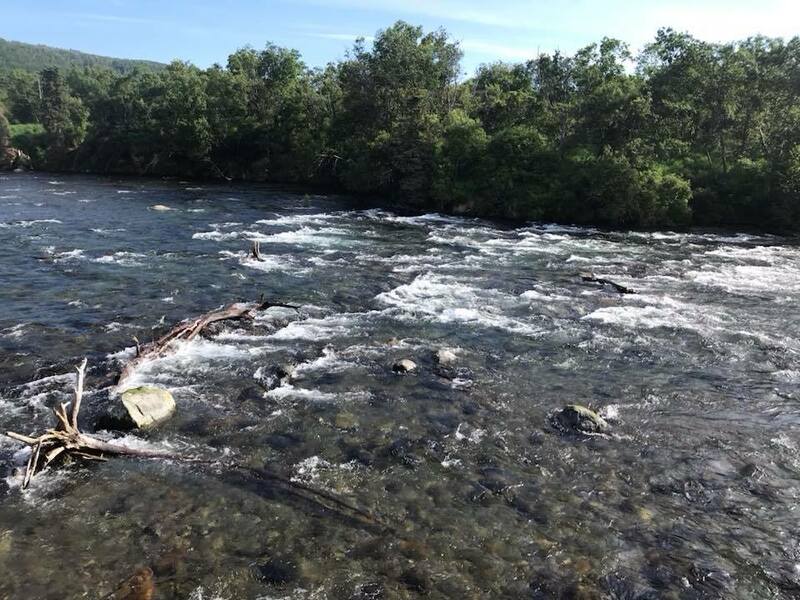 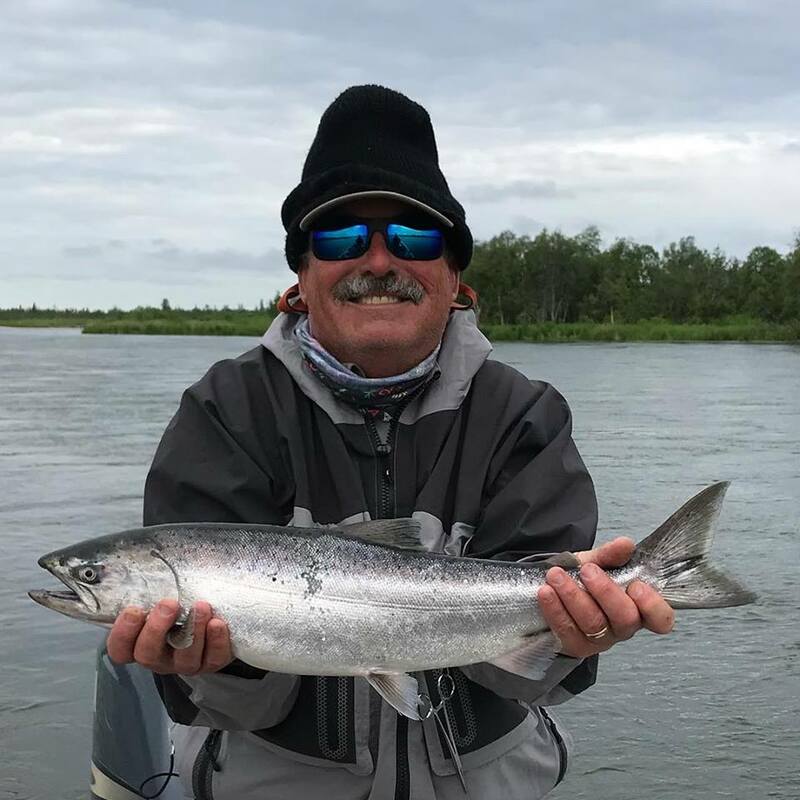 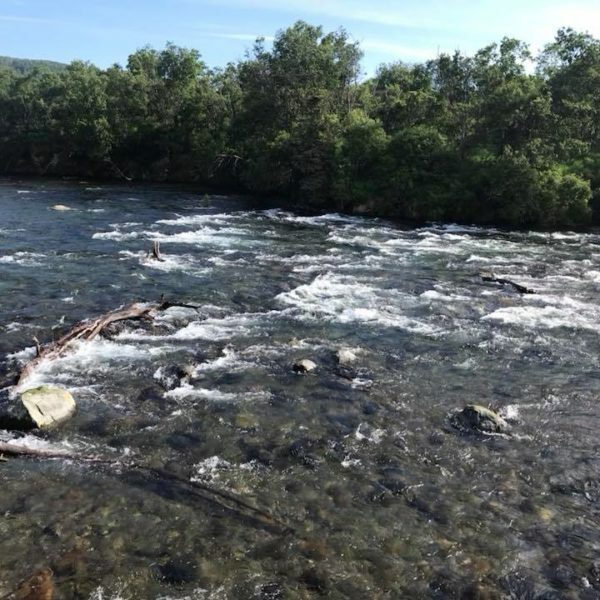 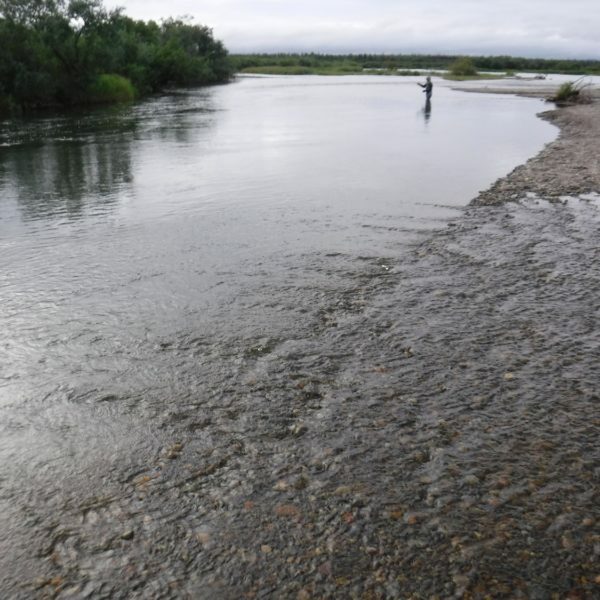 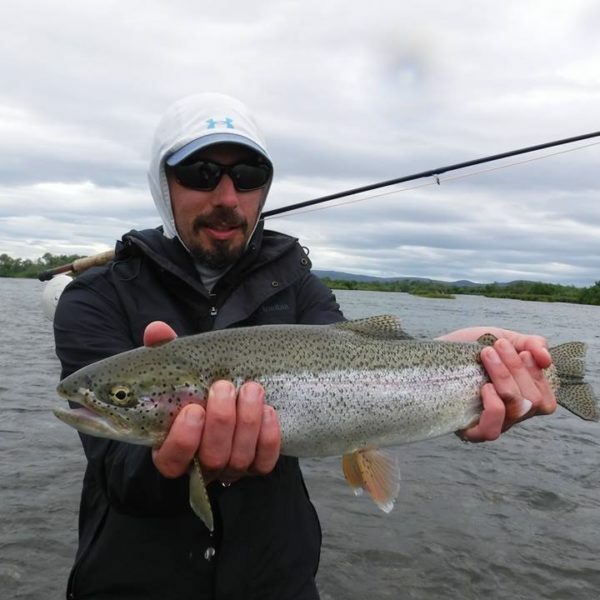 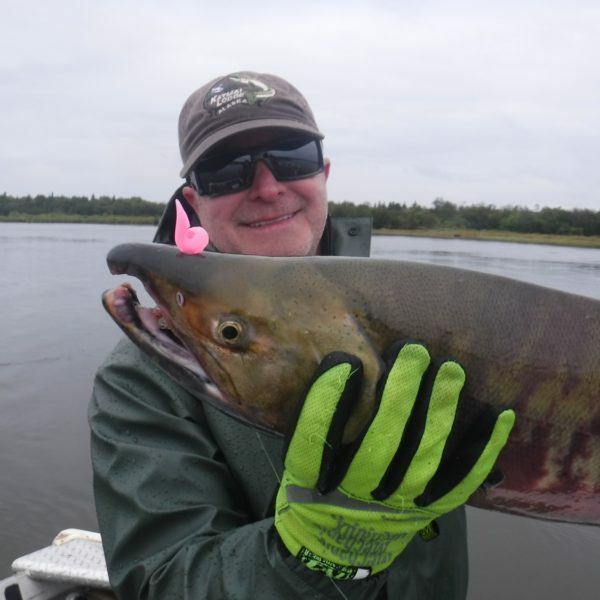 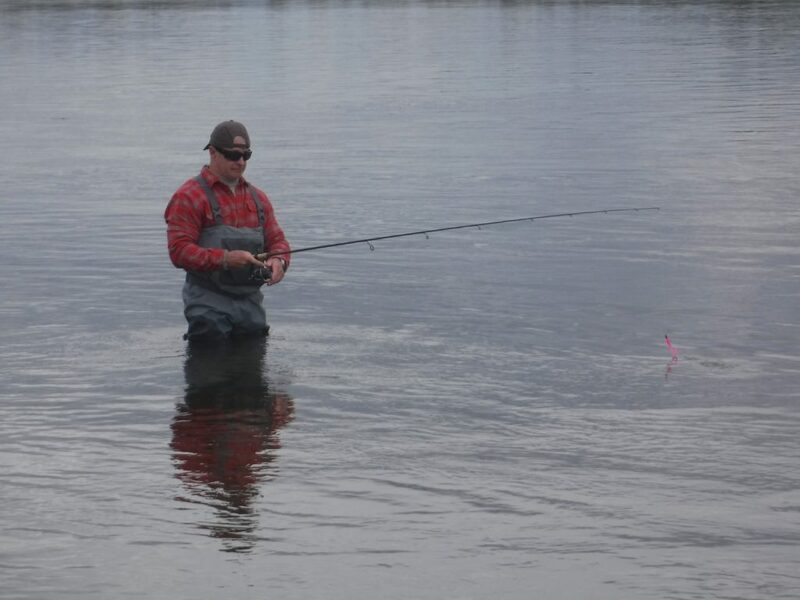 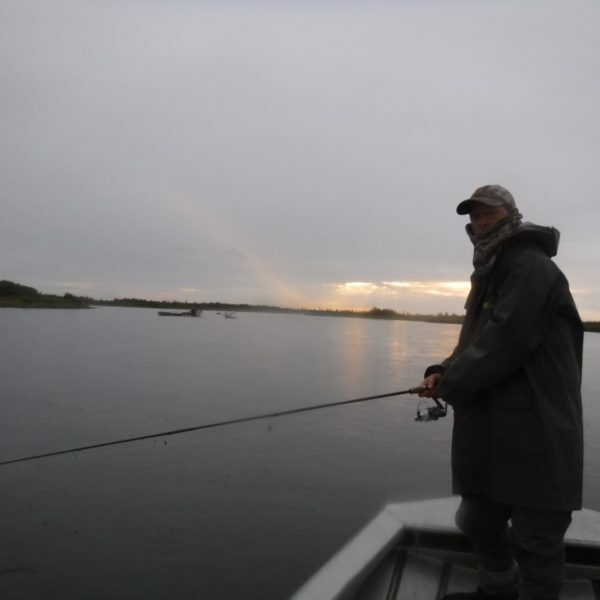 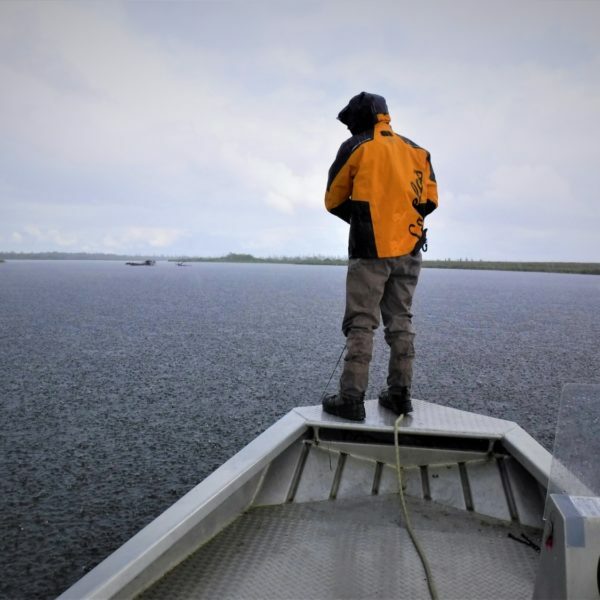 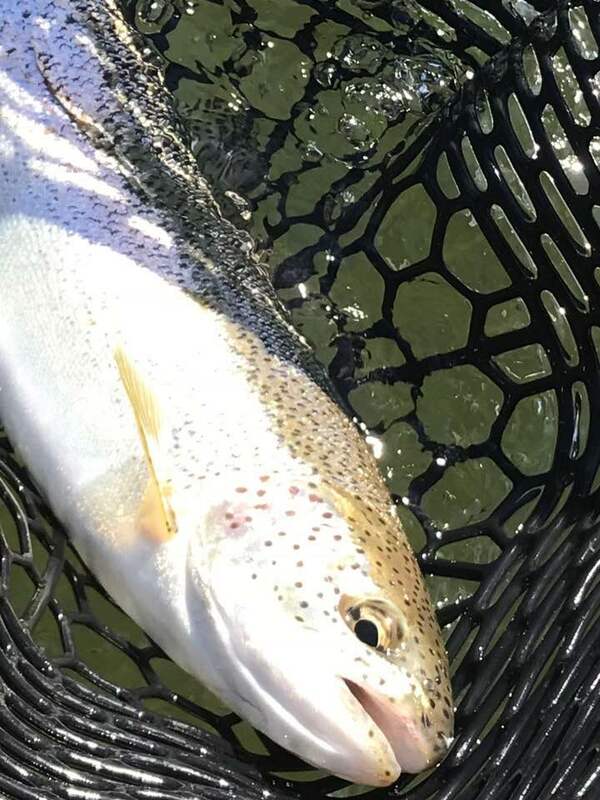 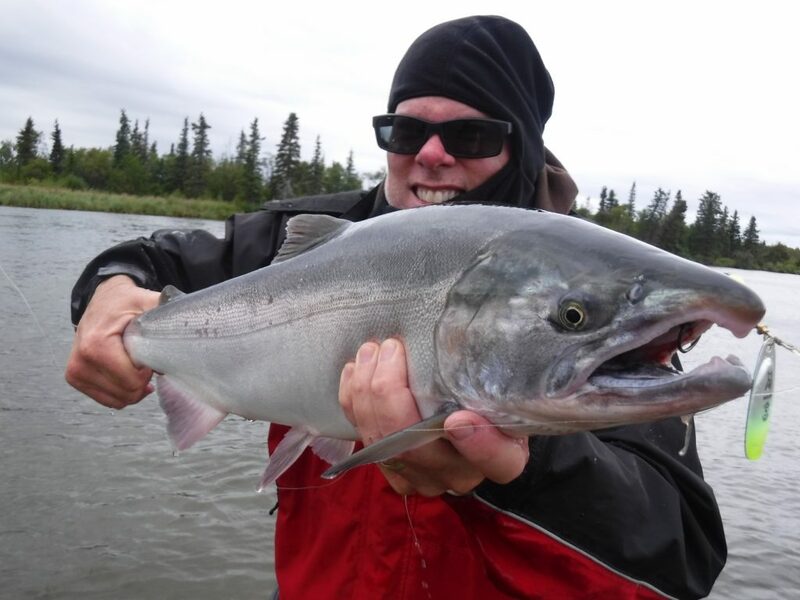 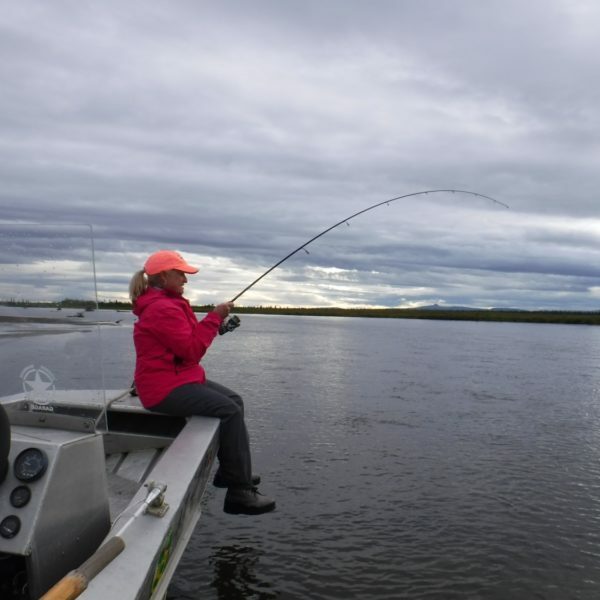 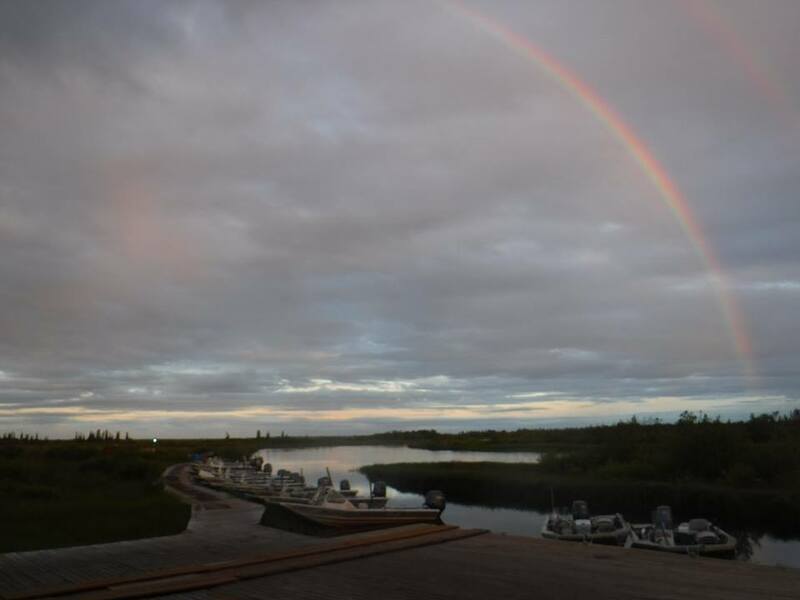 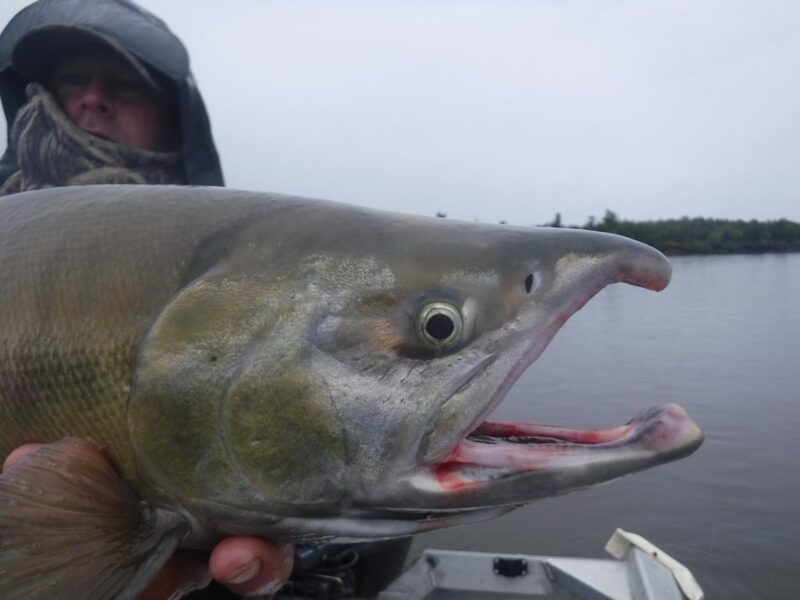 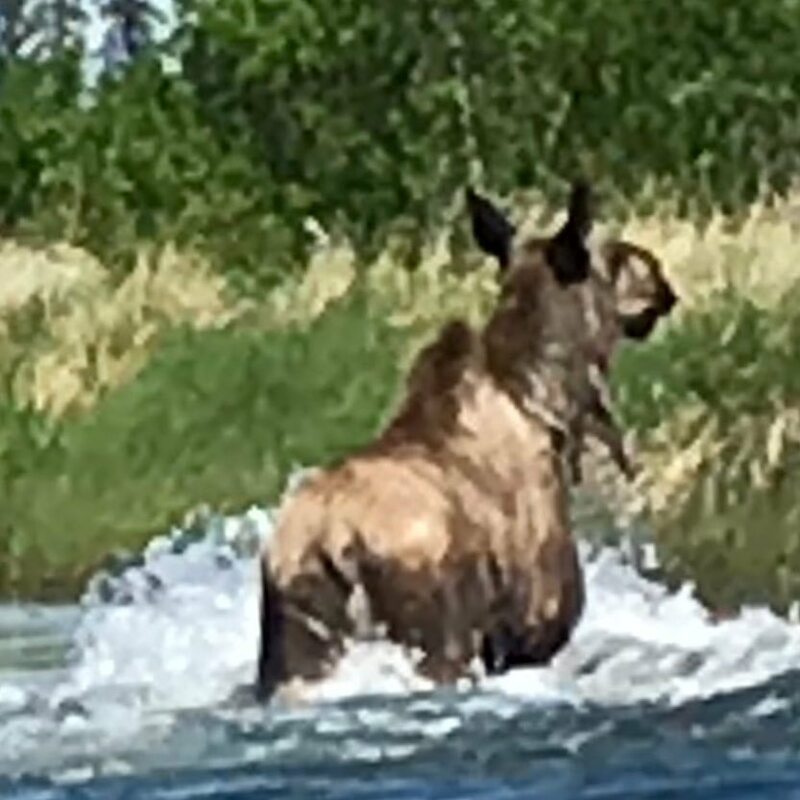 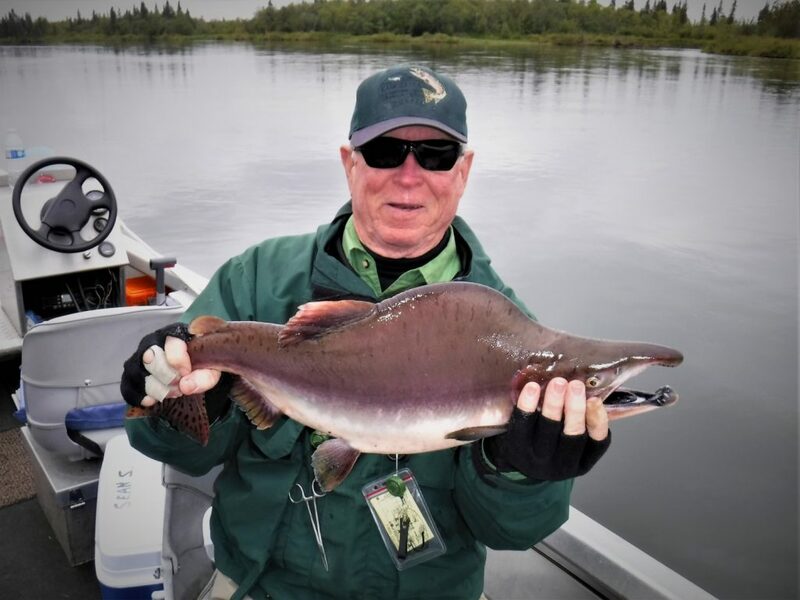 My time (June 8th – August 25th) on the Alagnak River was an awesome experience and as you can tell from this photo gallery the catching was awesome as well. 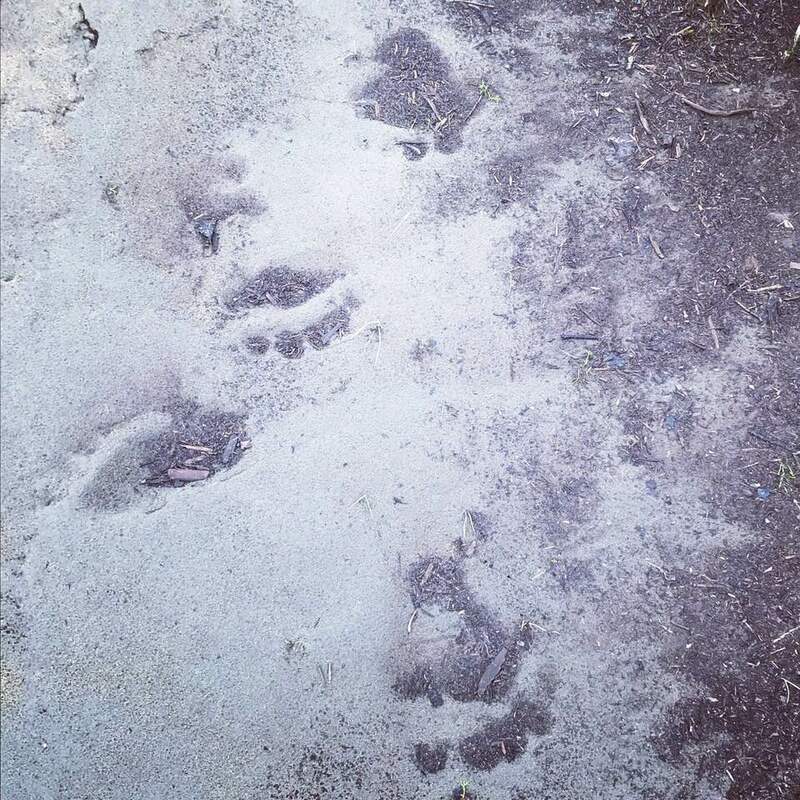 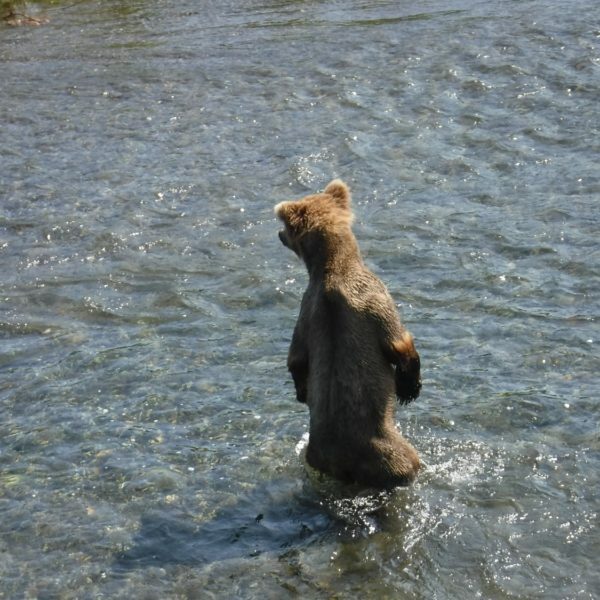 I promised you photos, so here you are, enjoy. 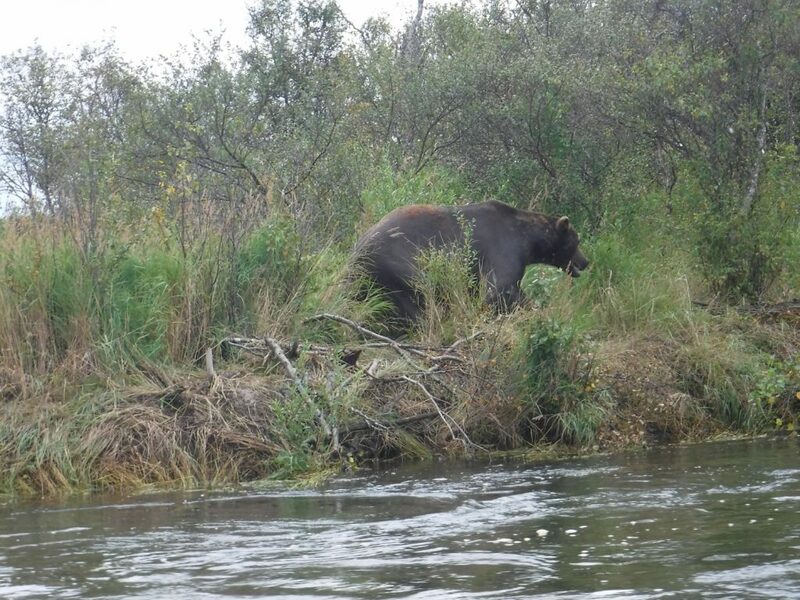 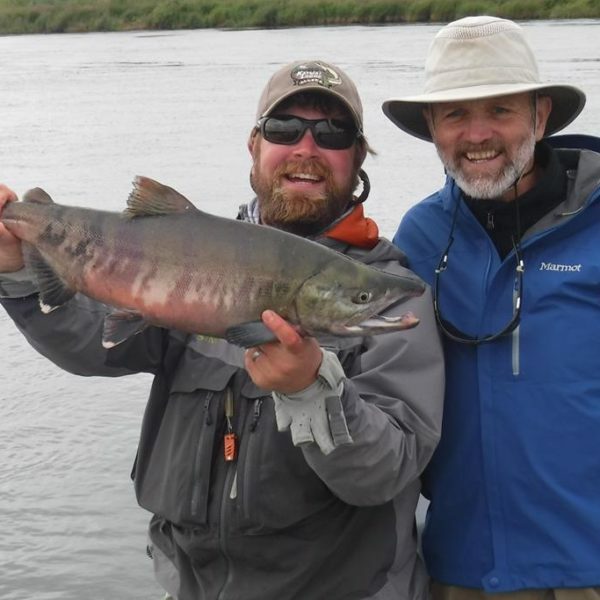 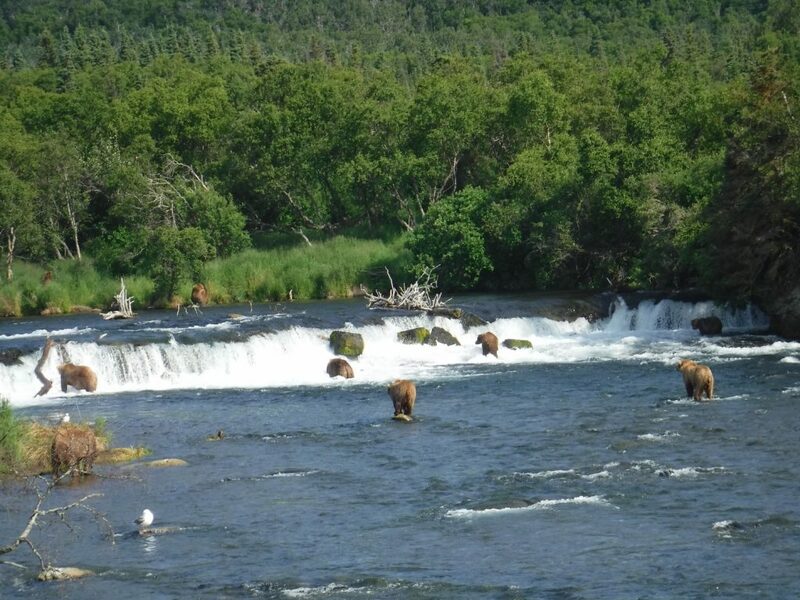 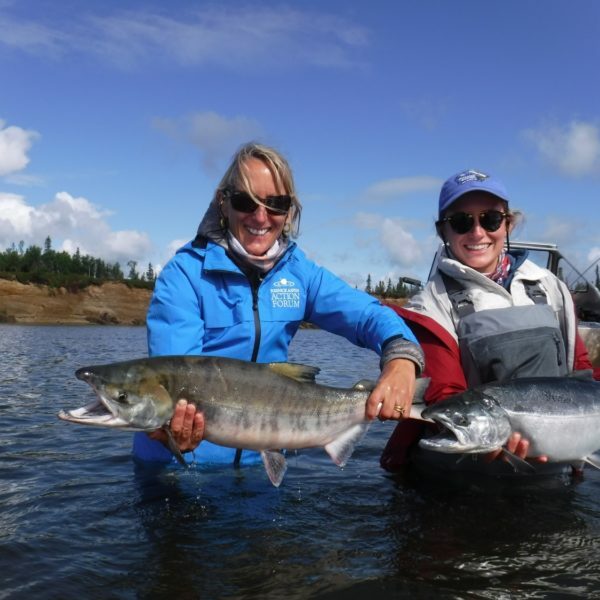 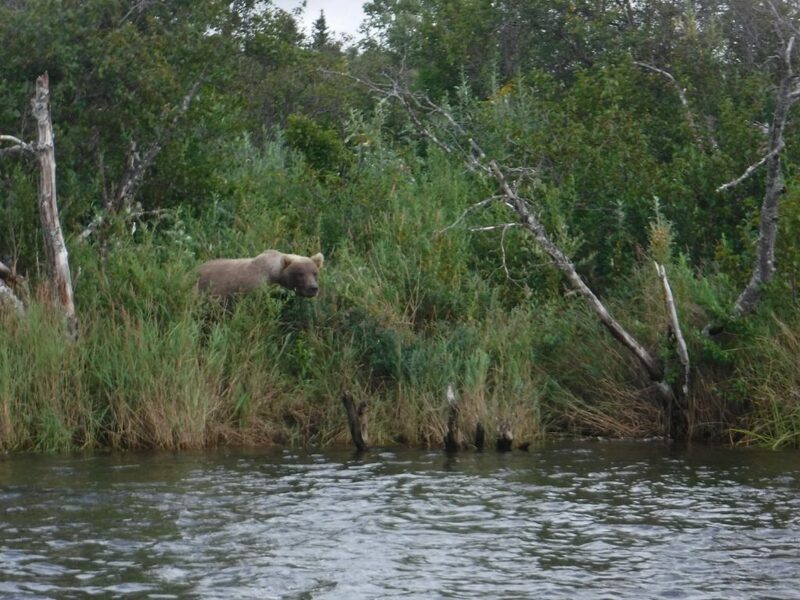 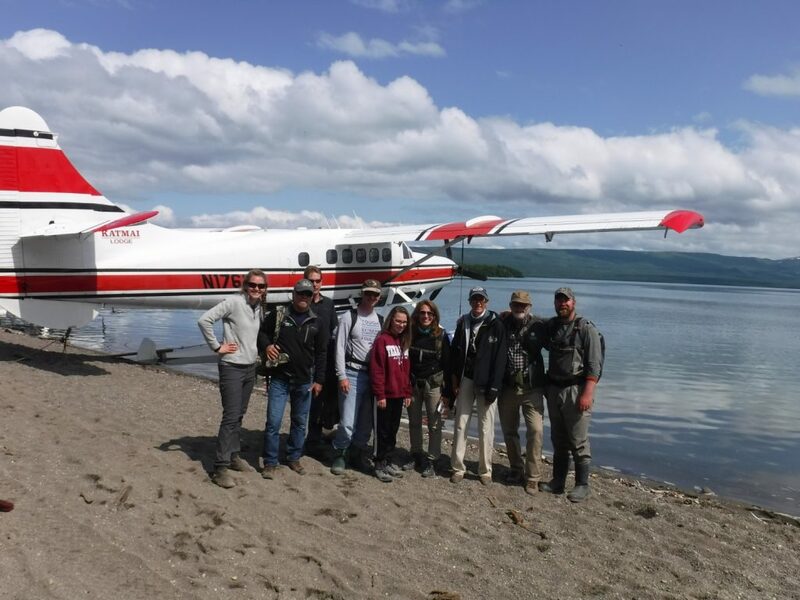 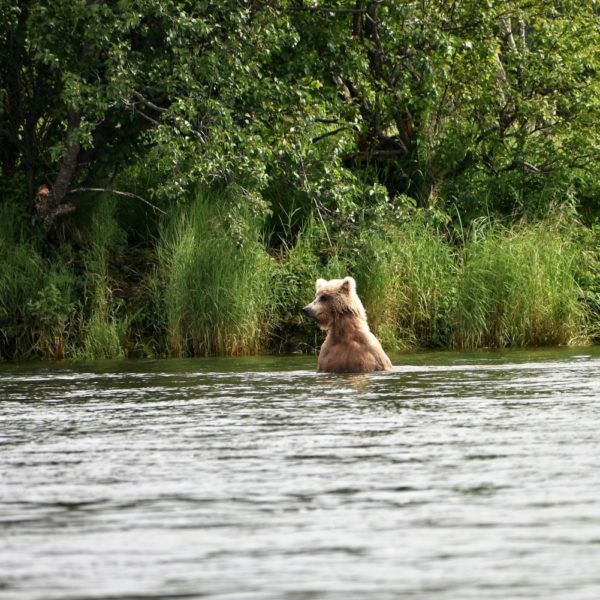 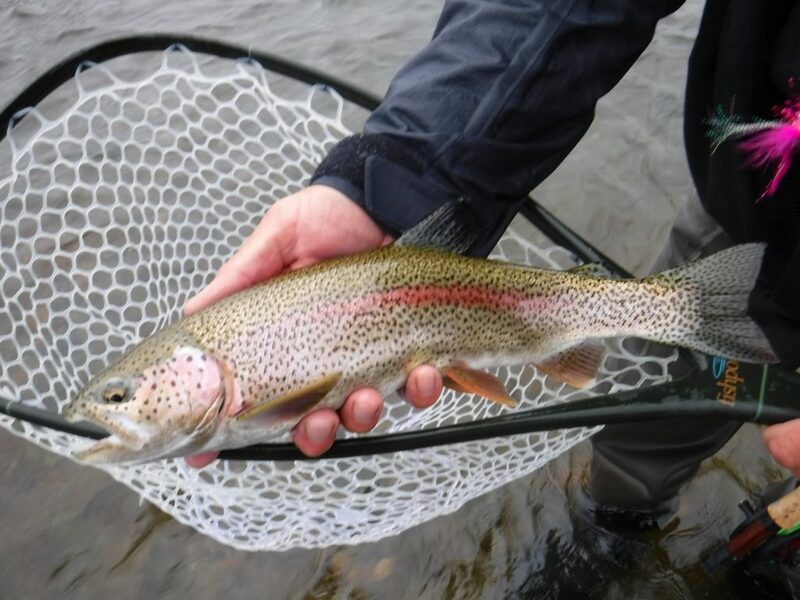 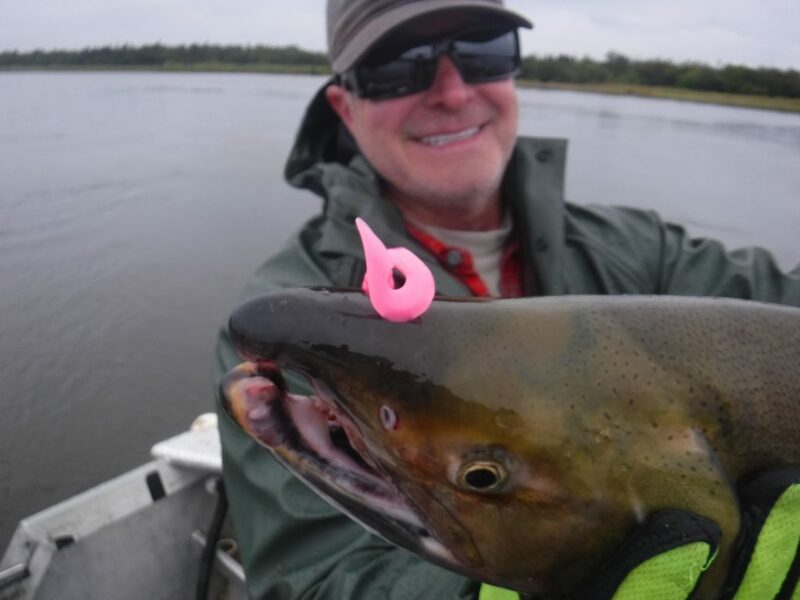 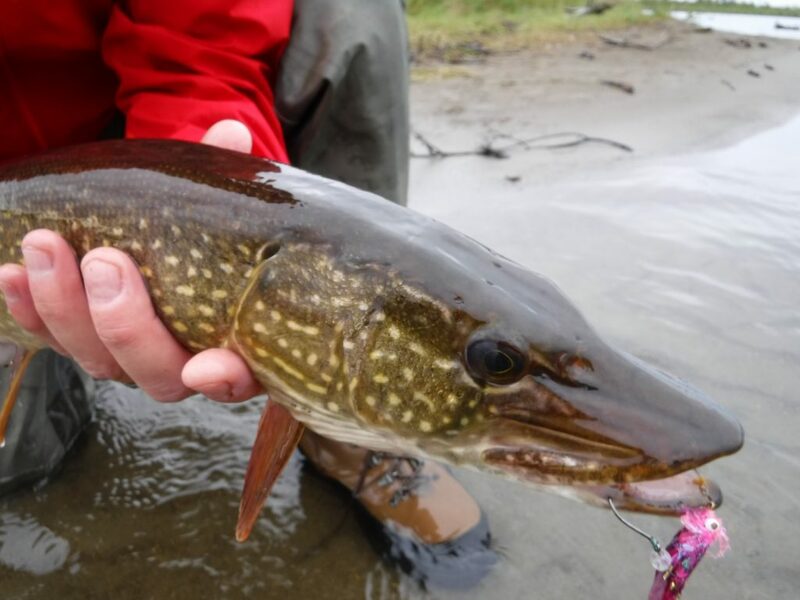 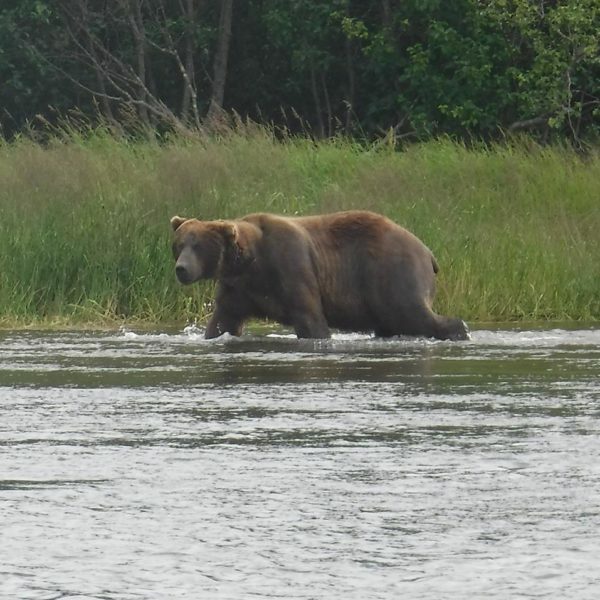 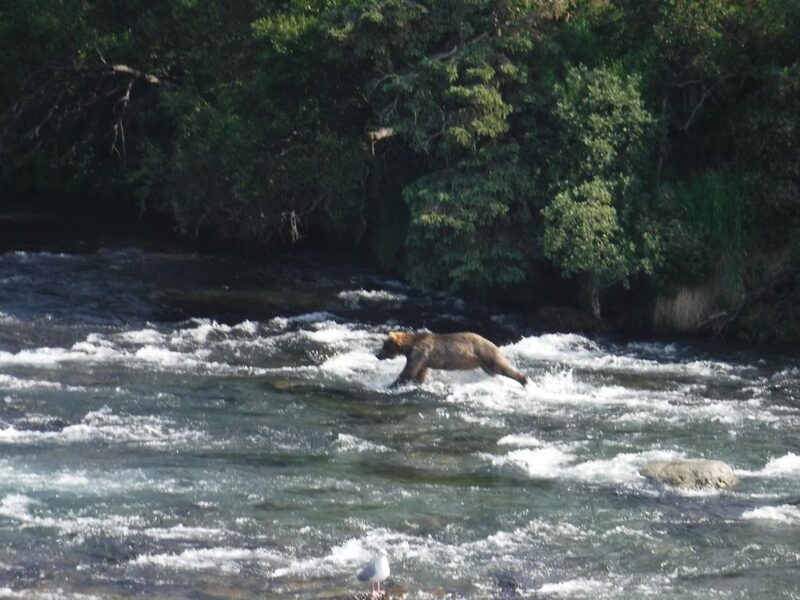 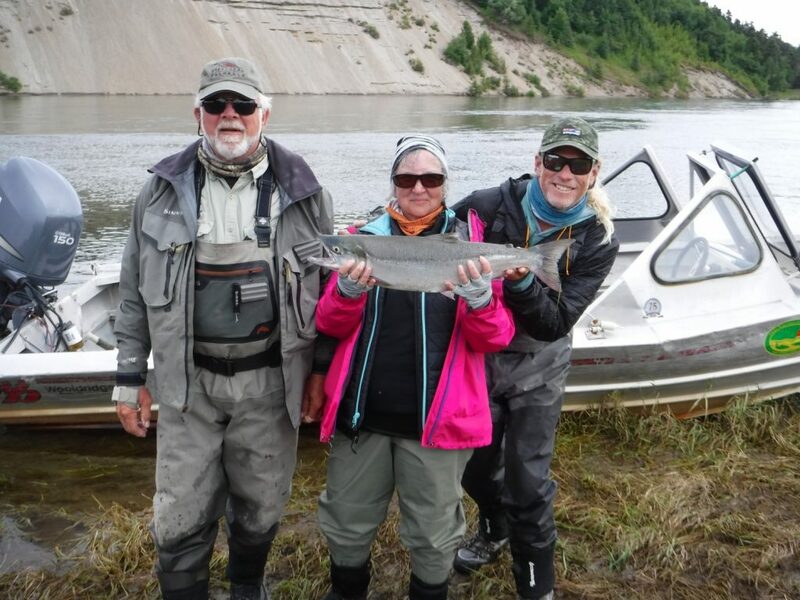 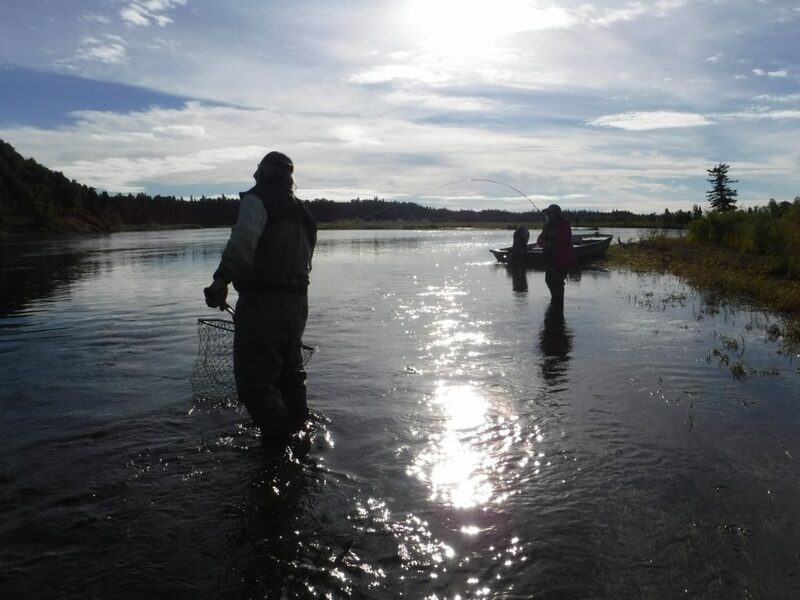 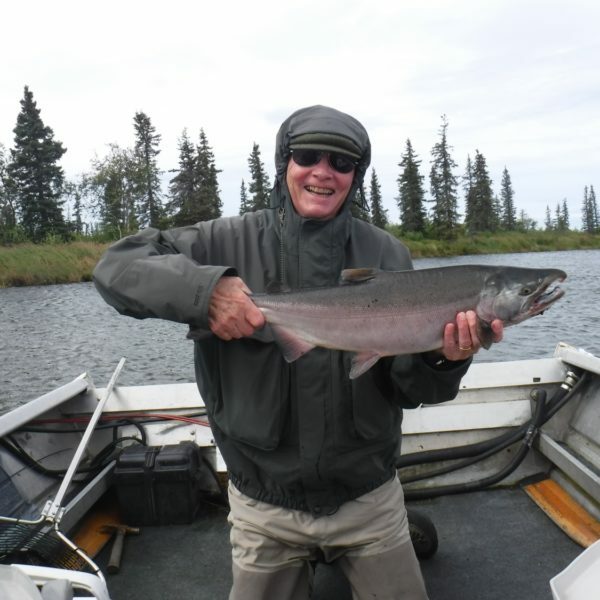 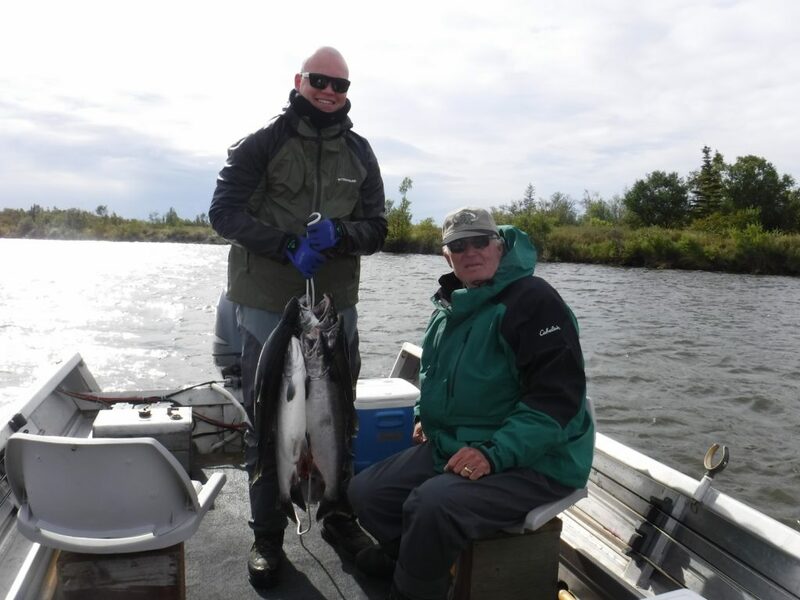 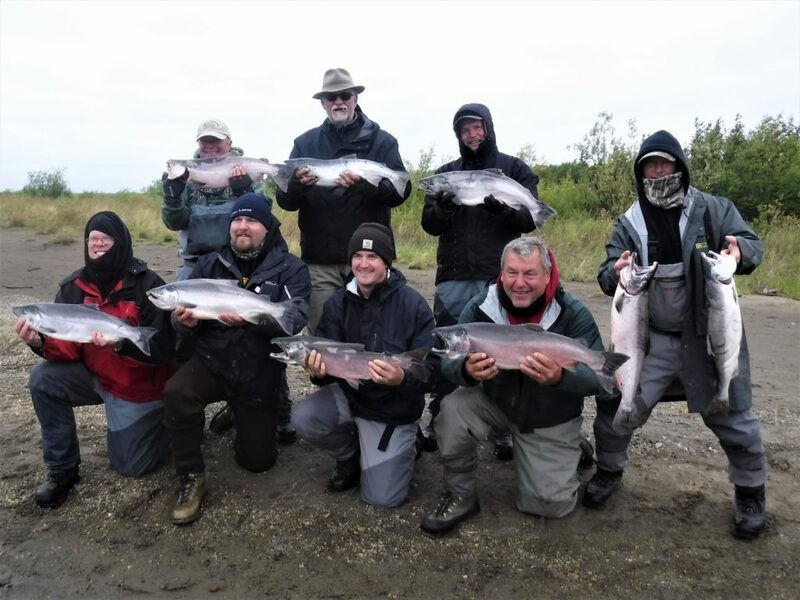 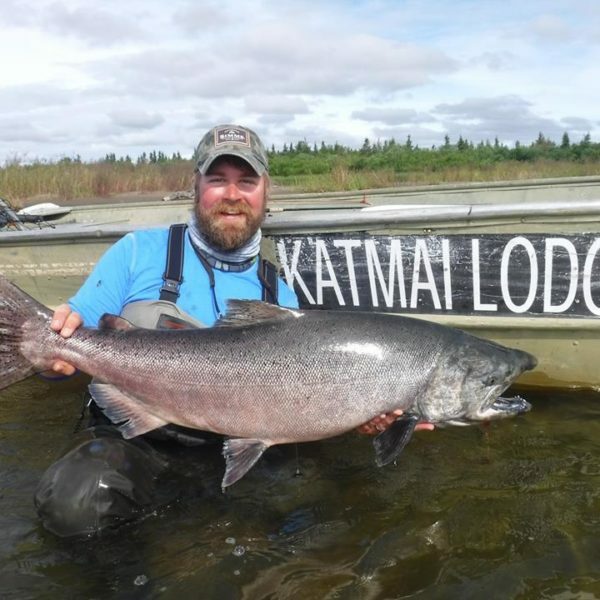 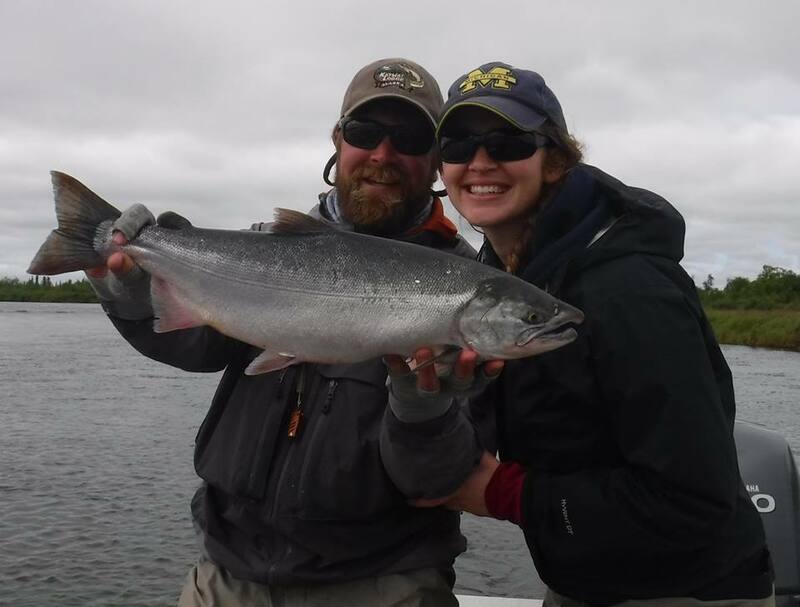 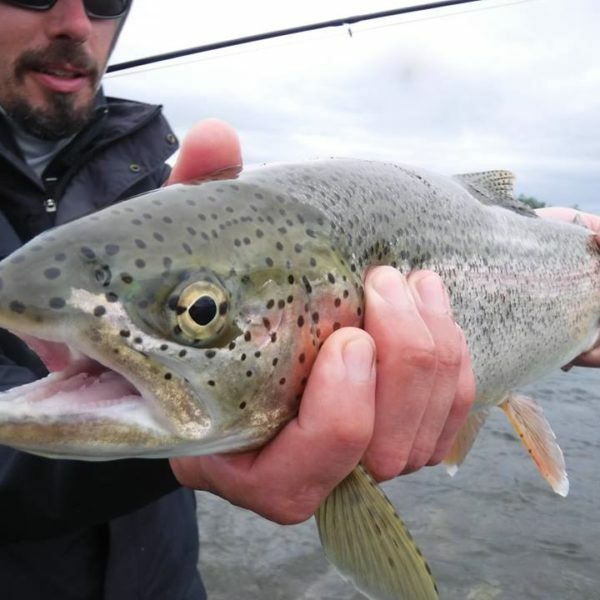 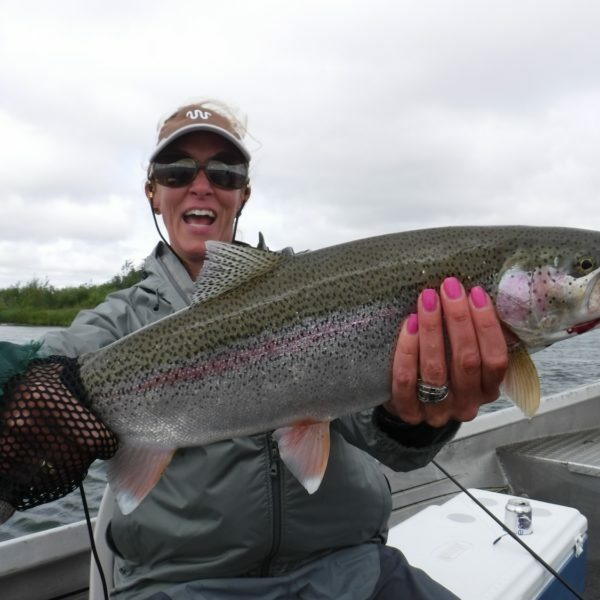 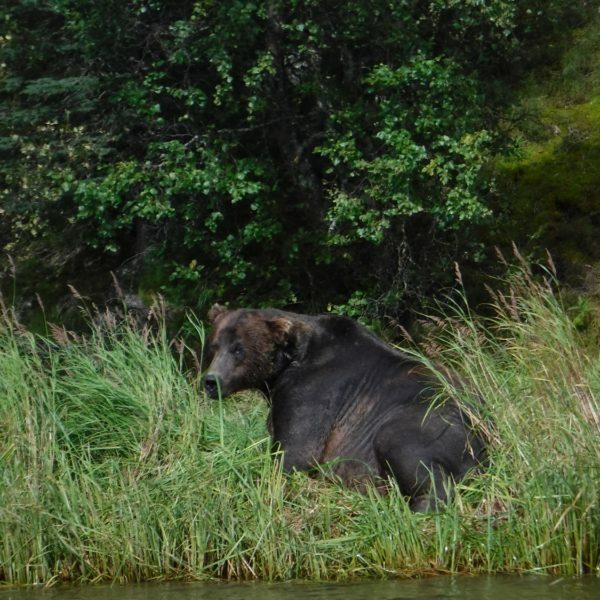 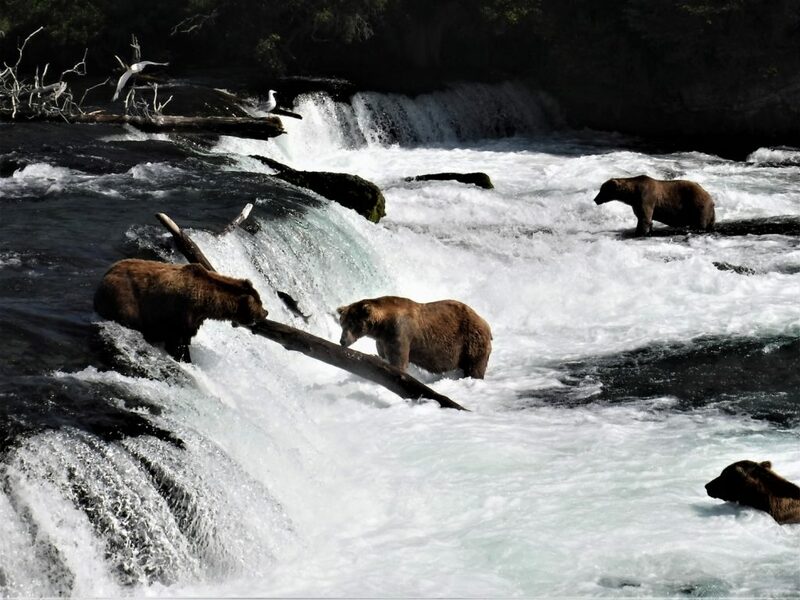 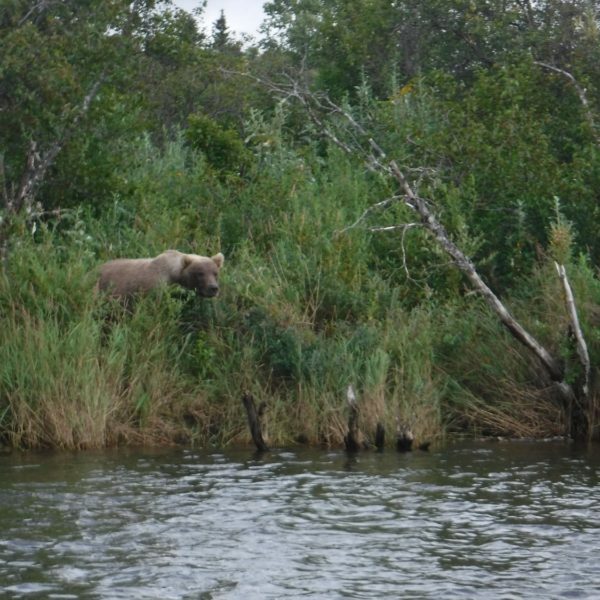 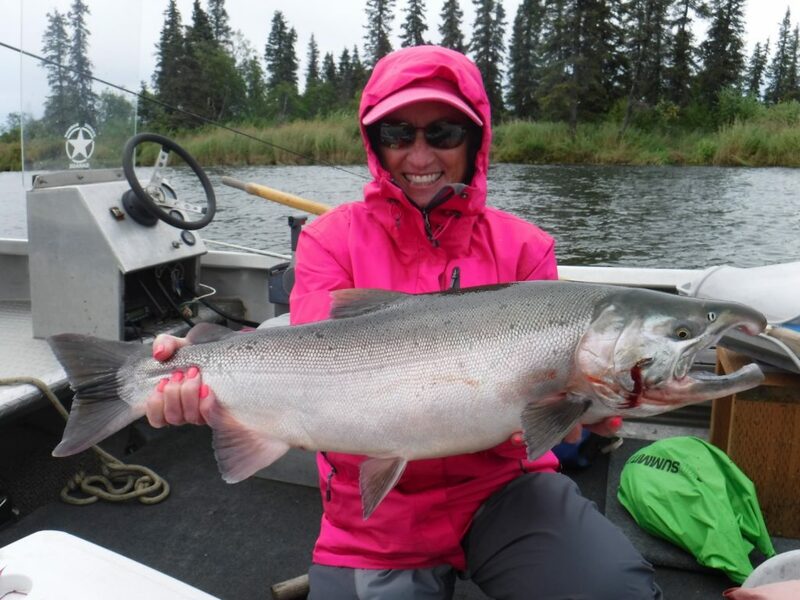 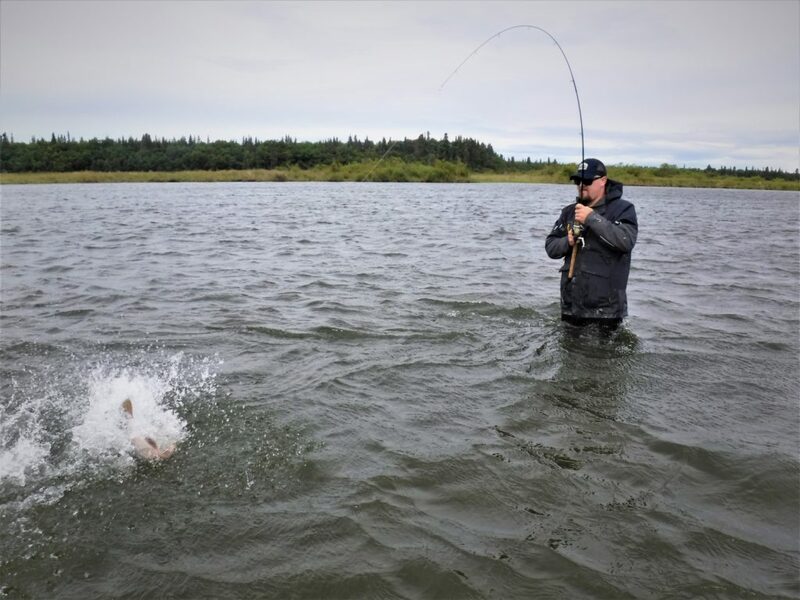 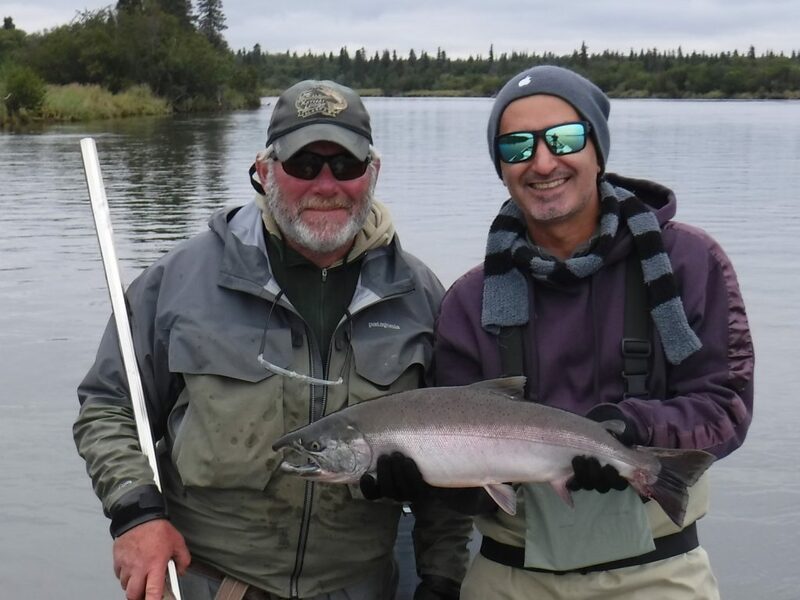 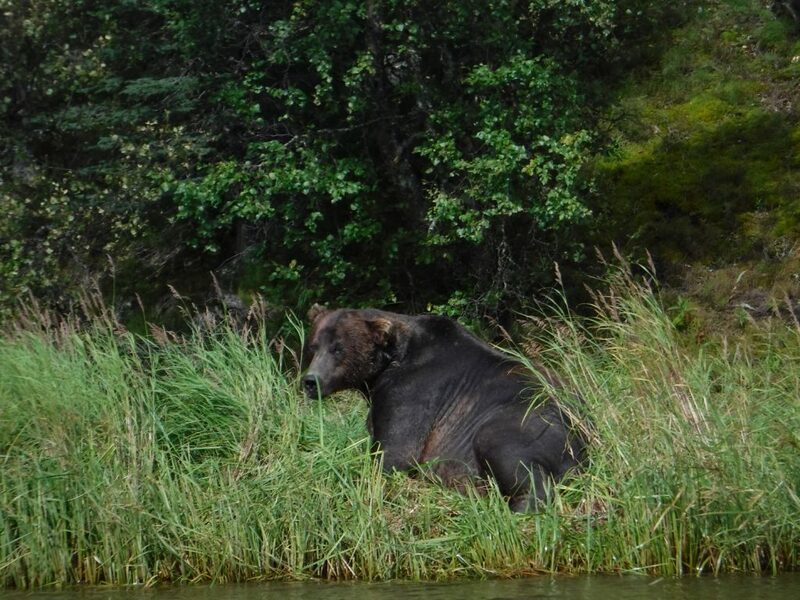 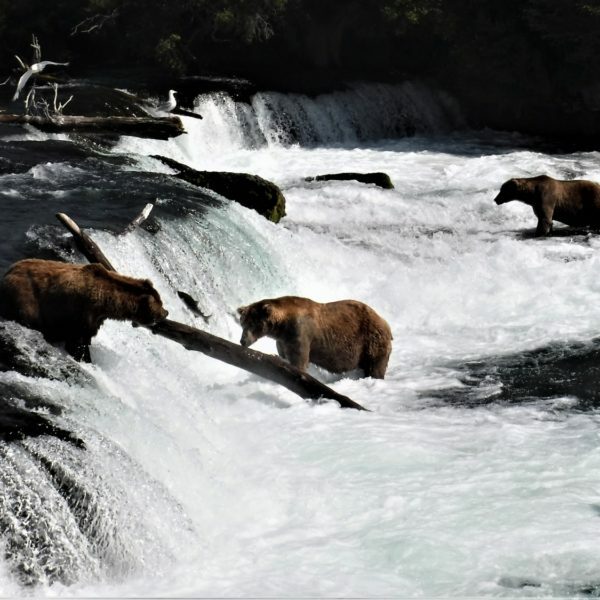 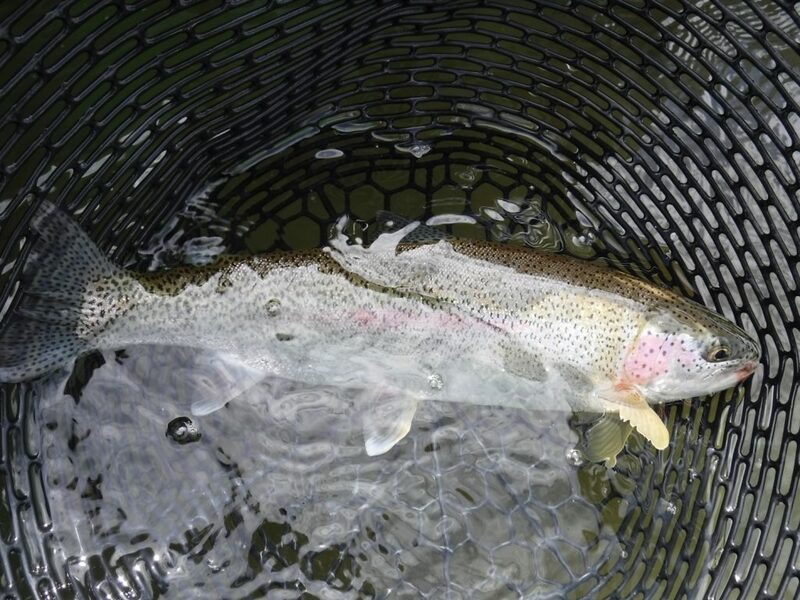 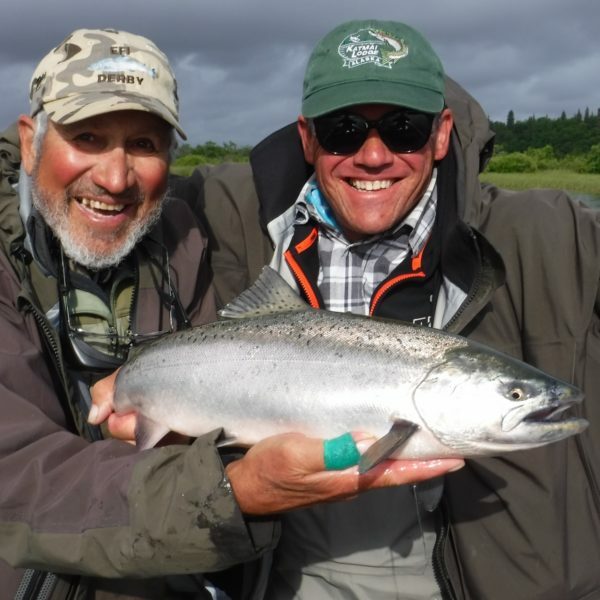 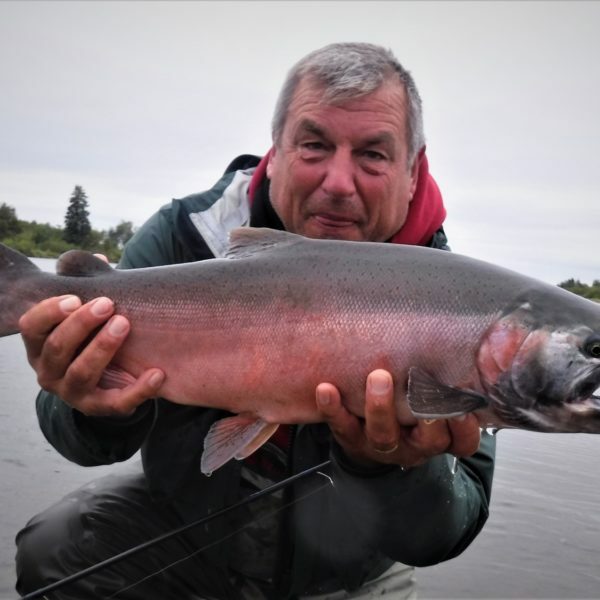 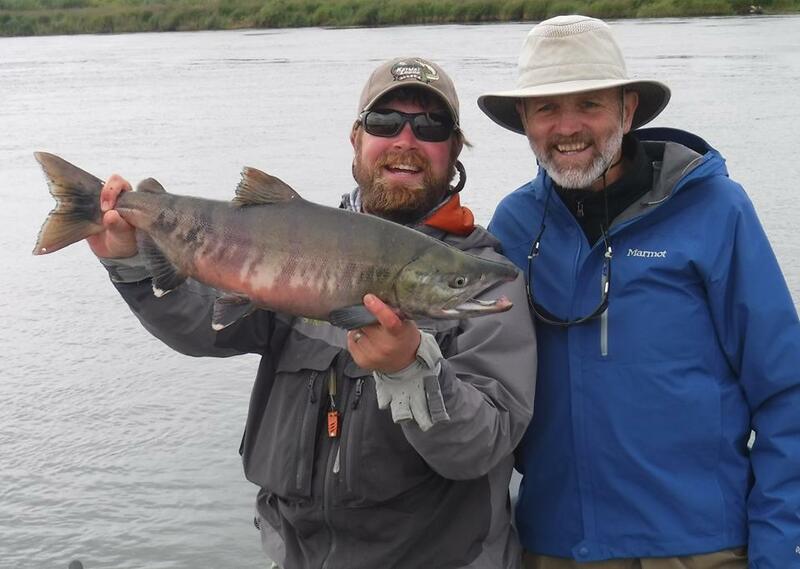 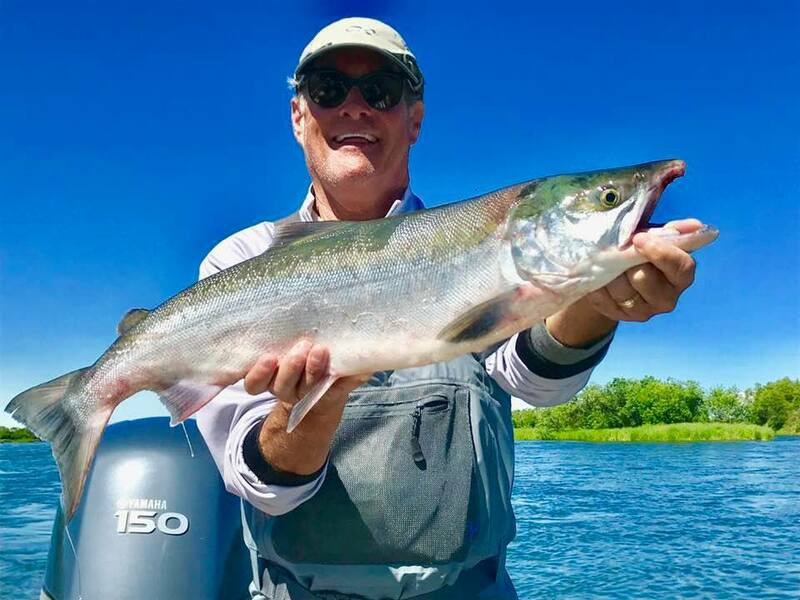 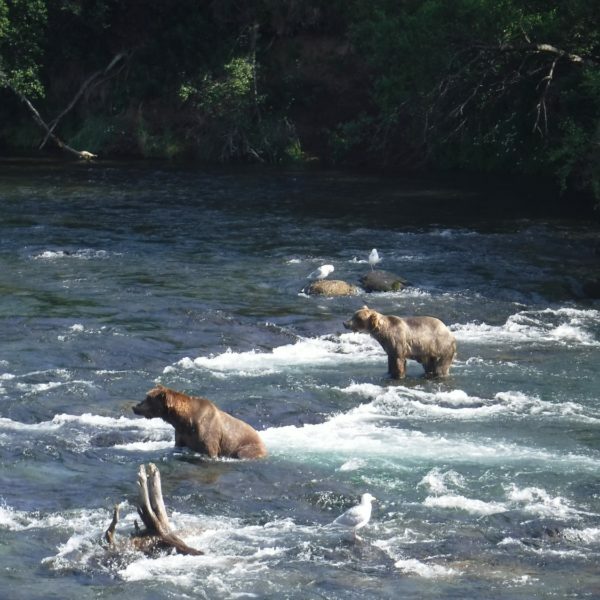 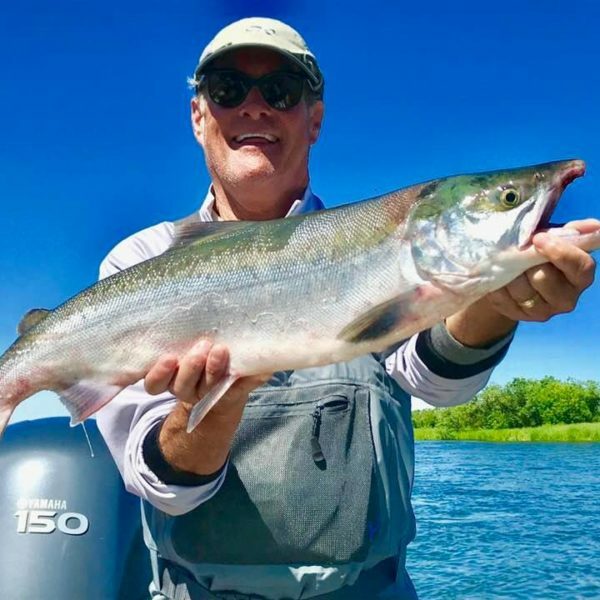 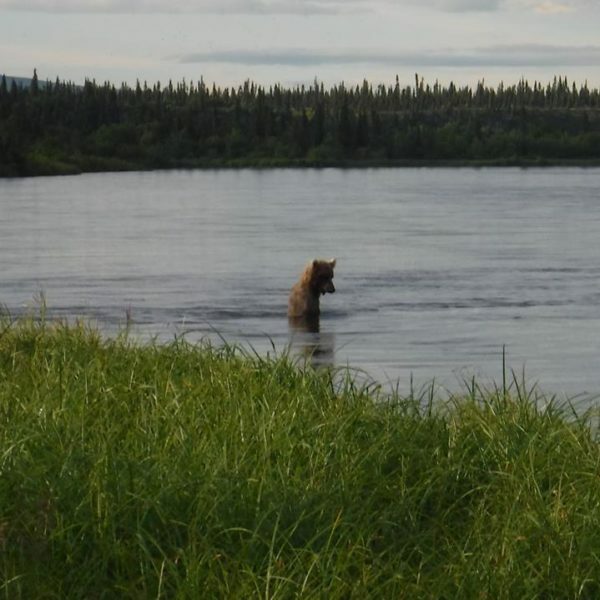 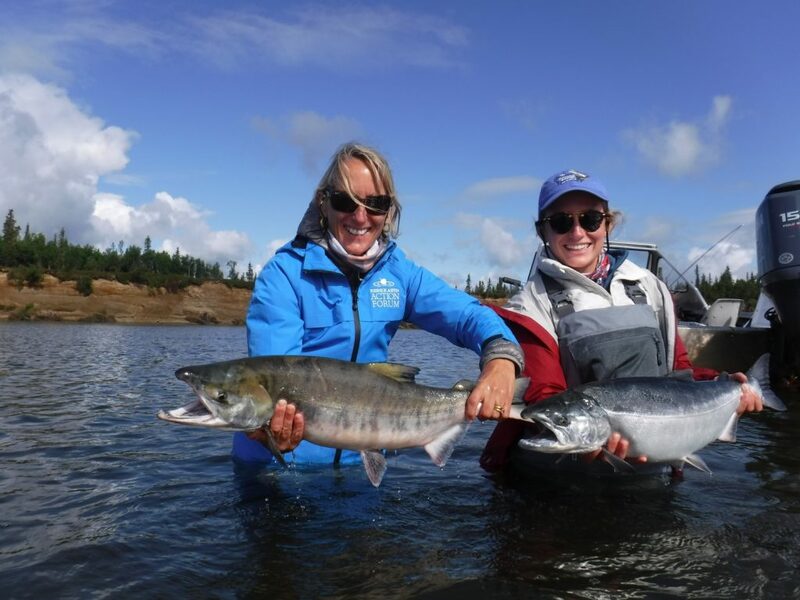 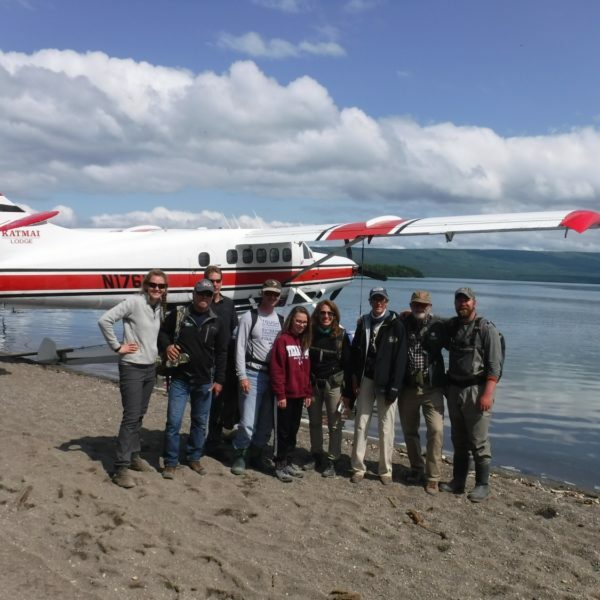 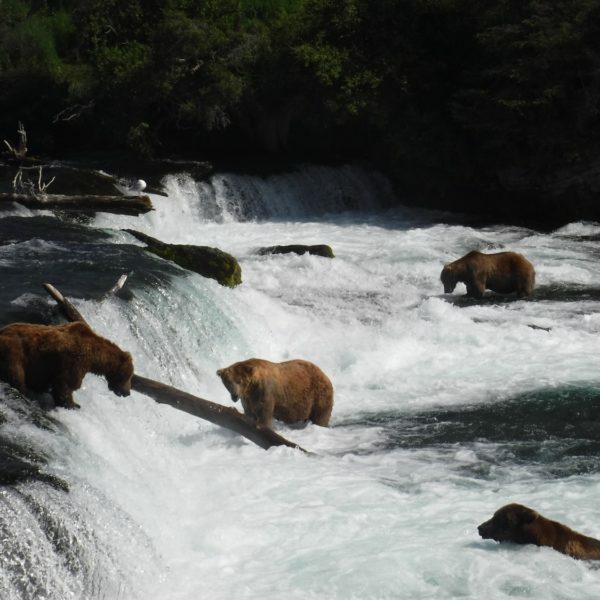 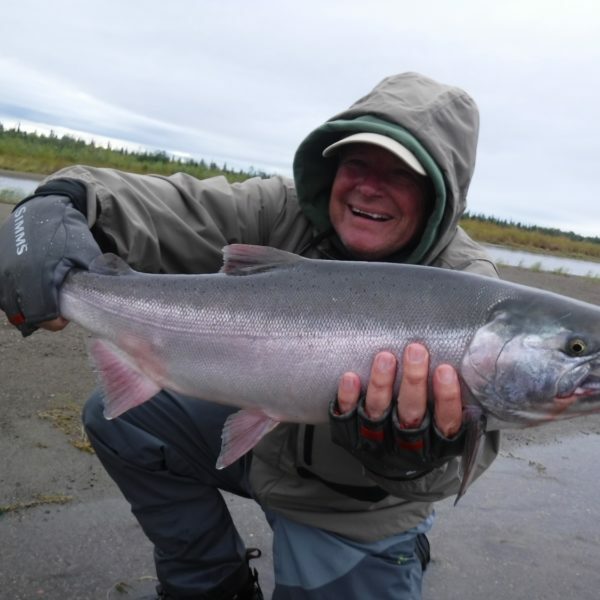 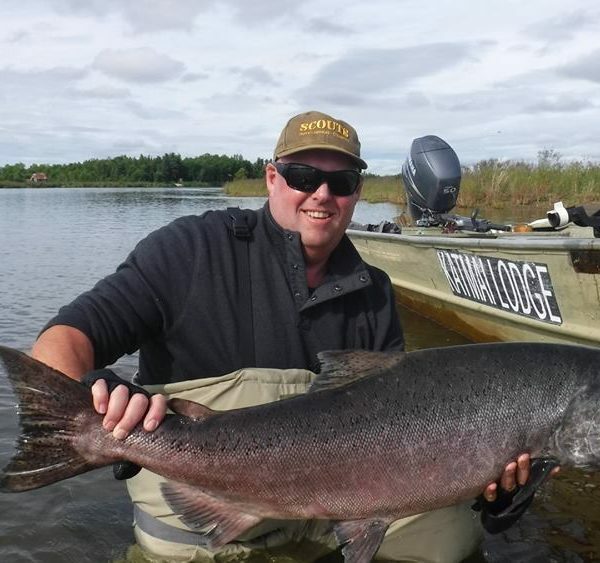 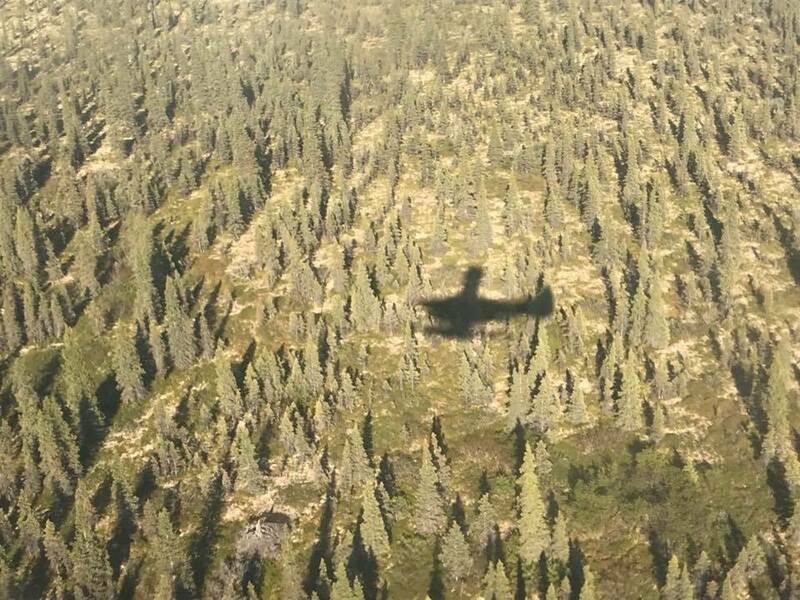 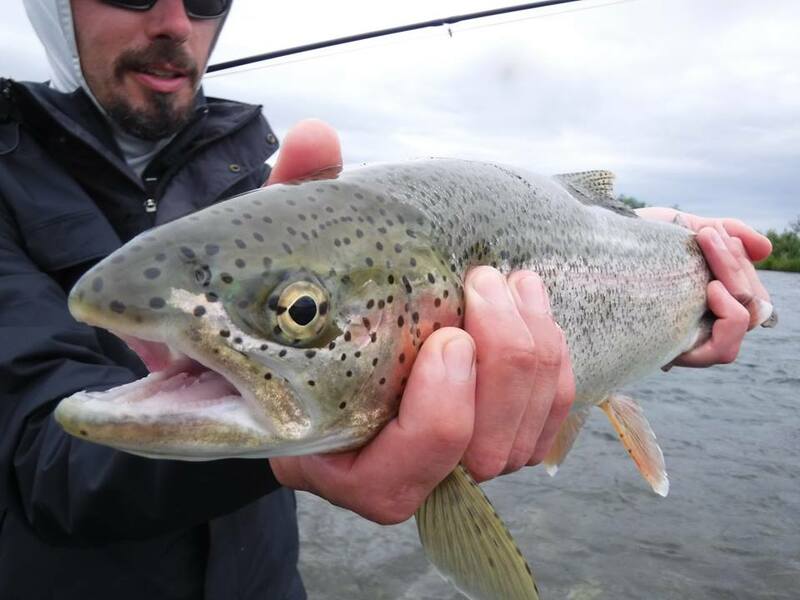 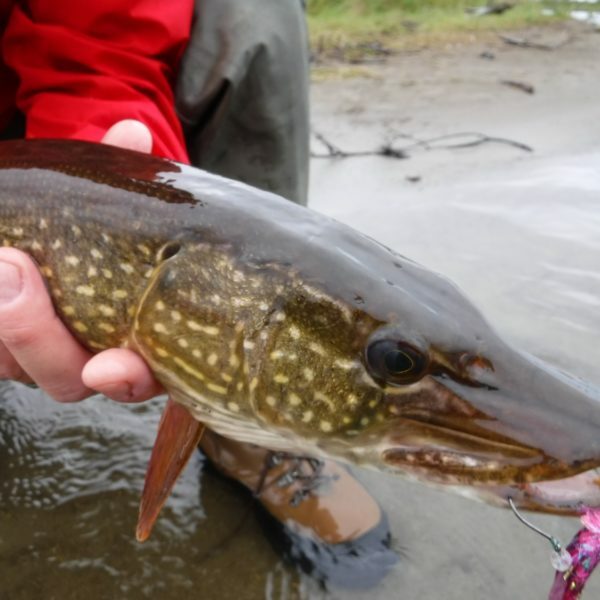 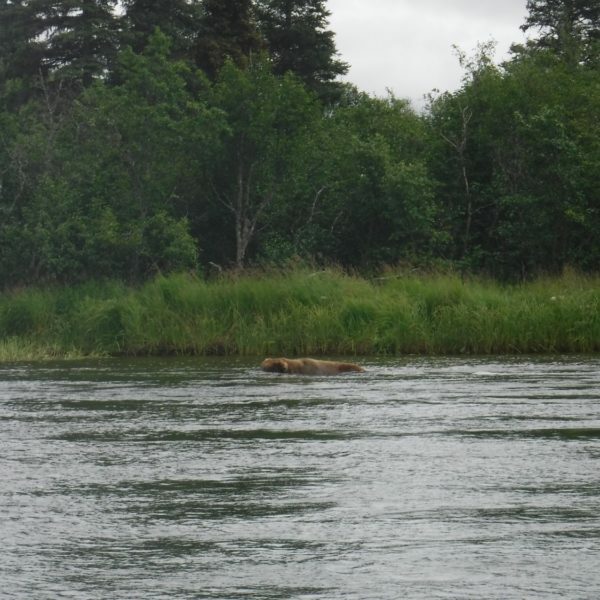 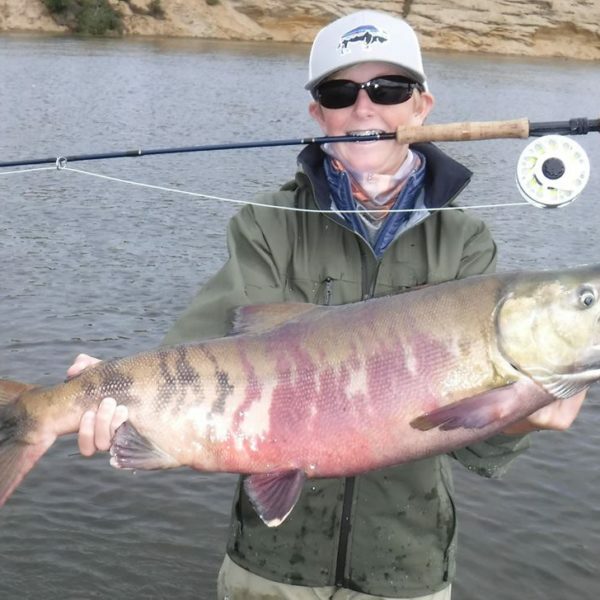 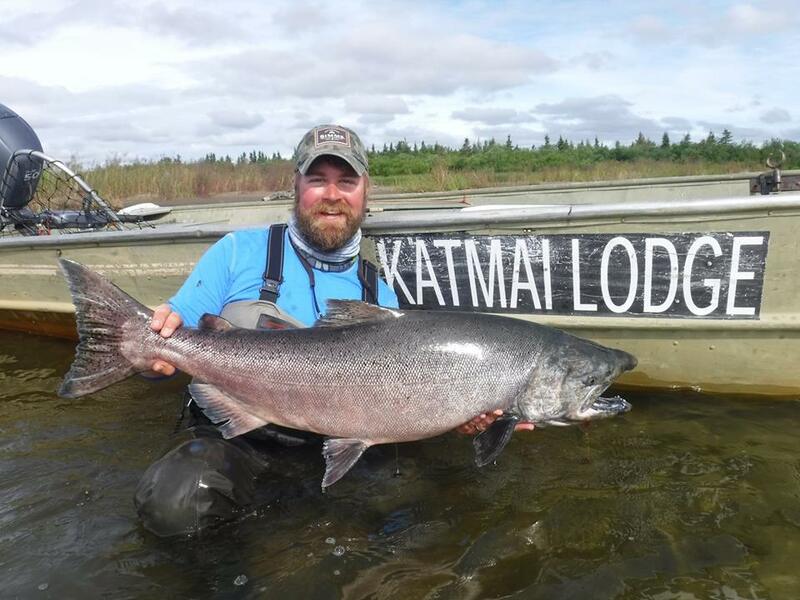 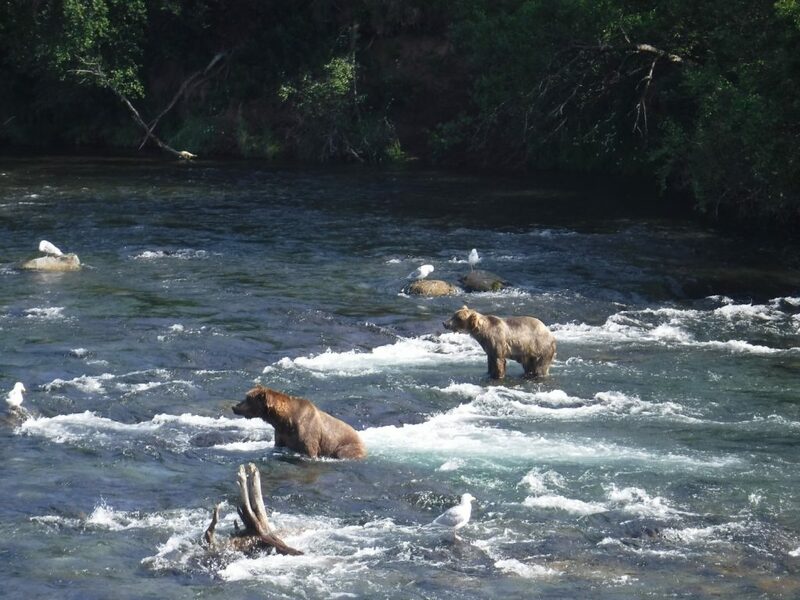 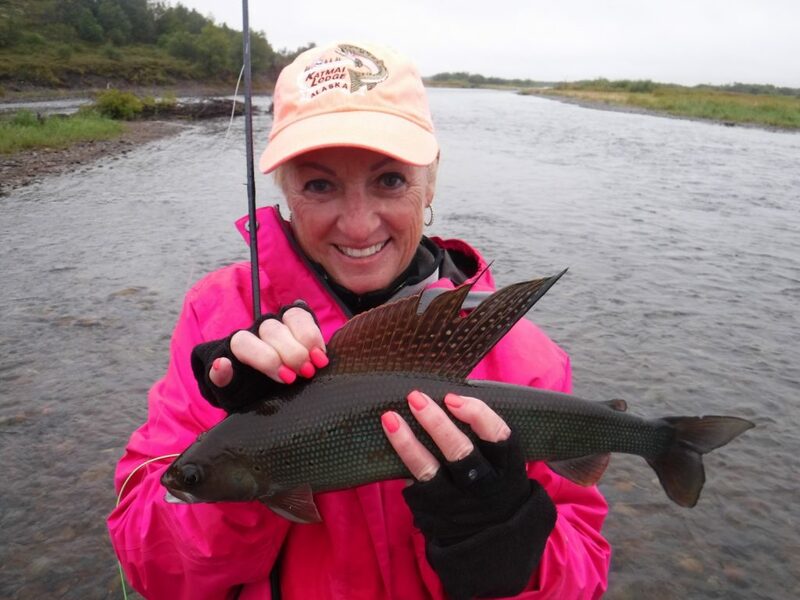 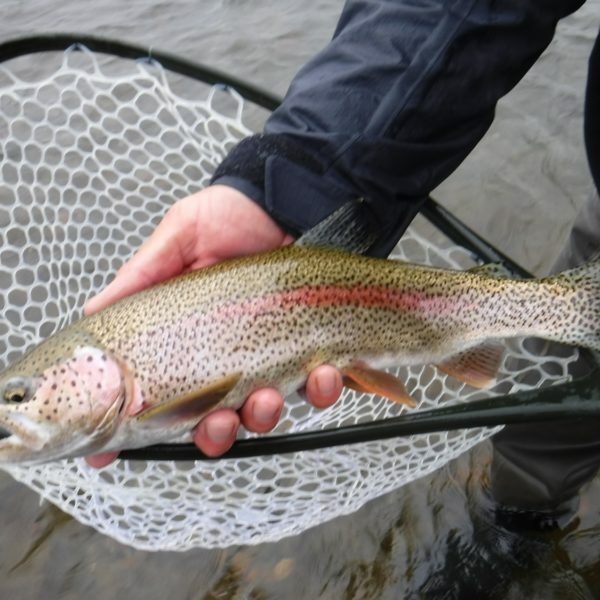 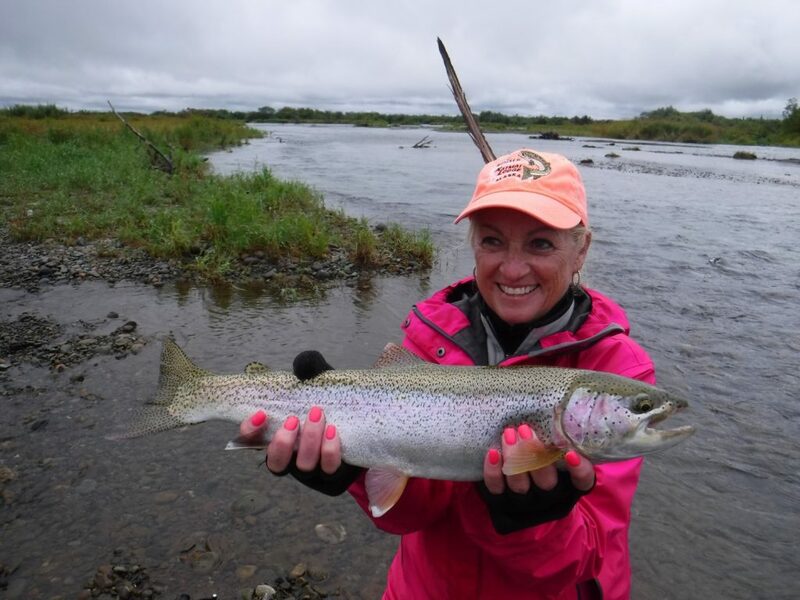 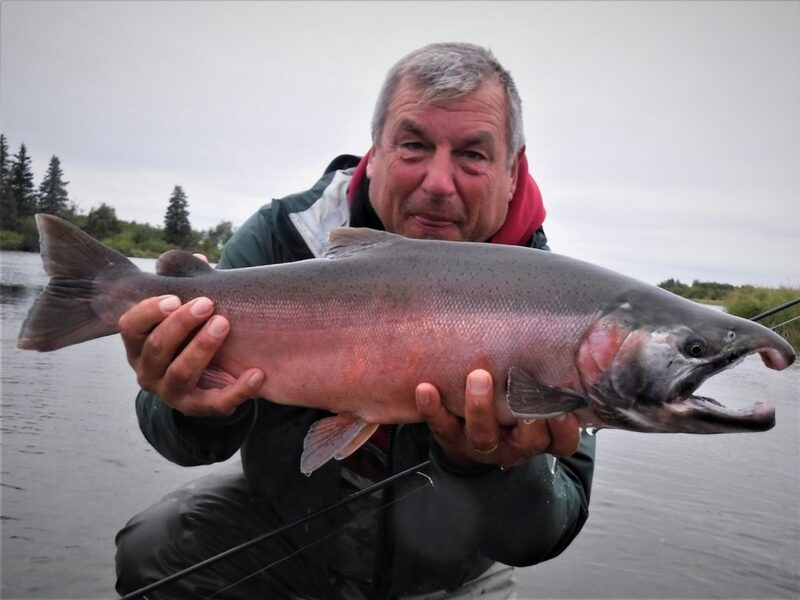 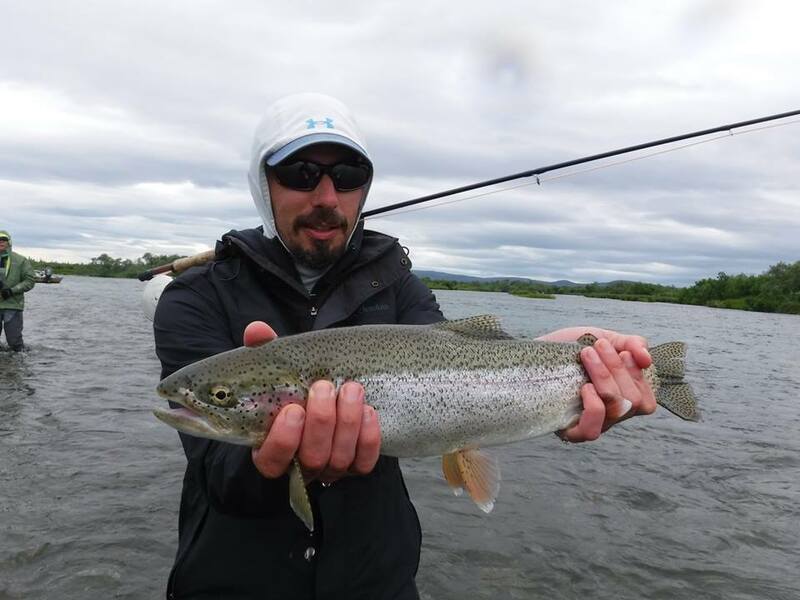 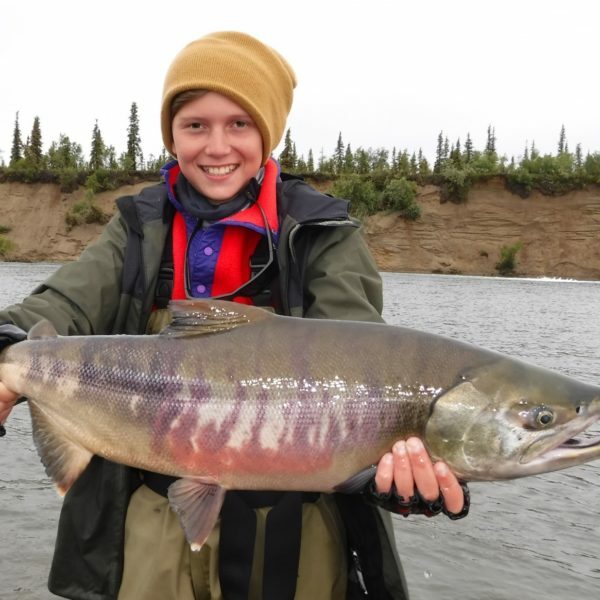 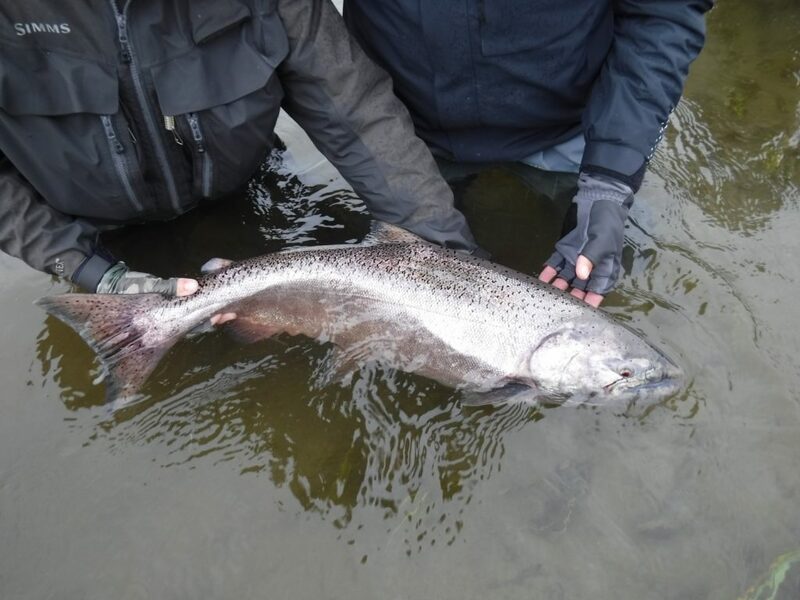 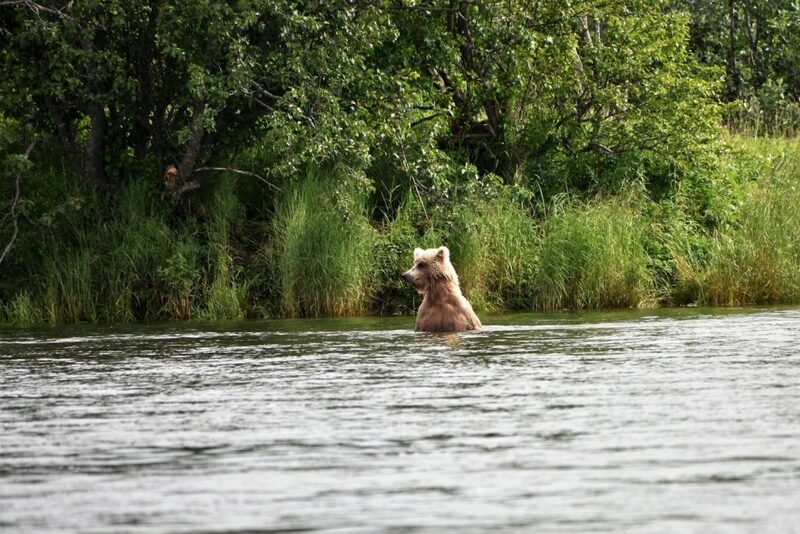 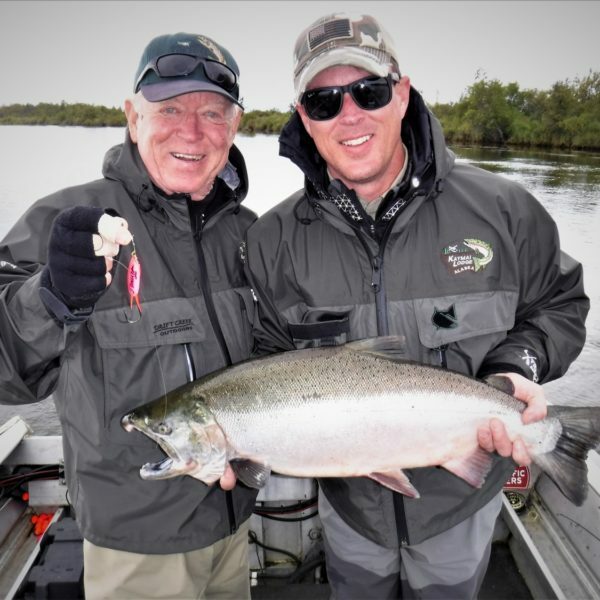 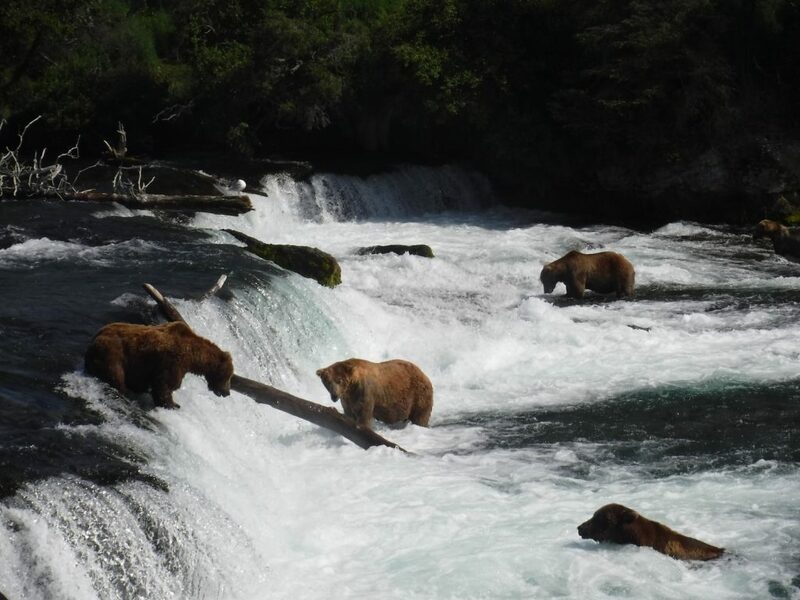 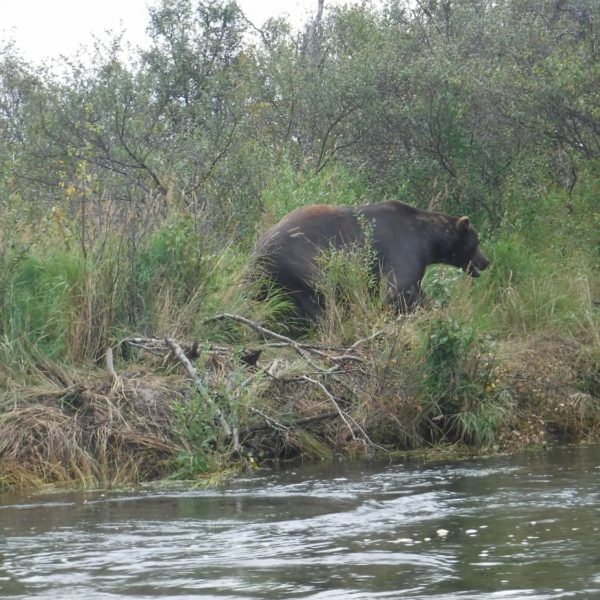 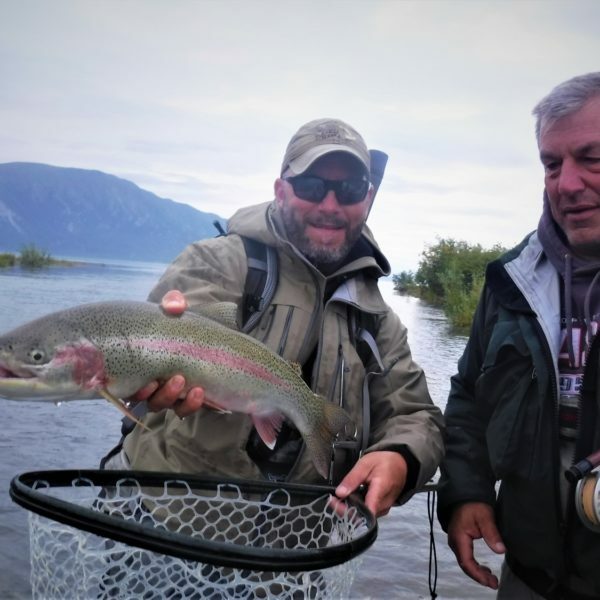 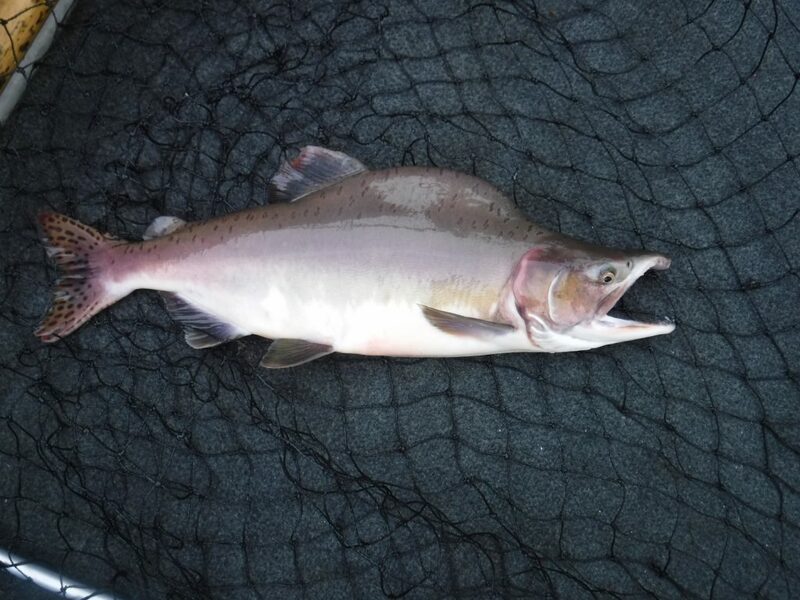 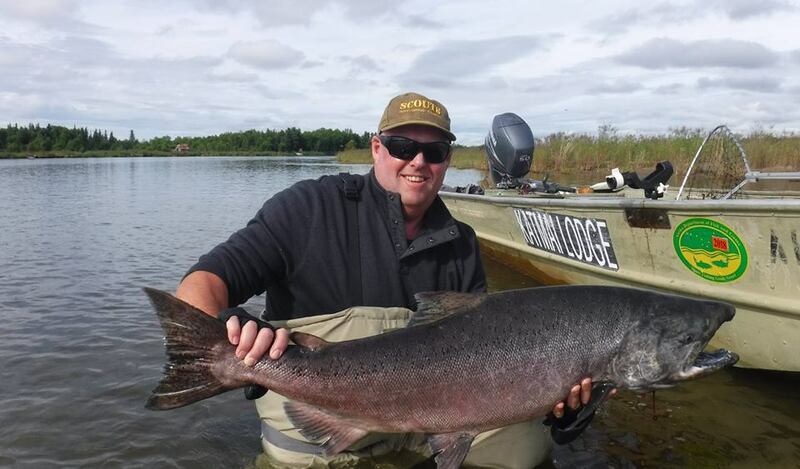 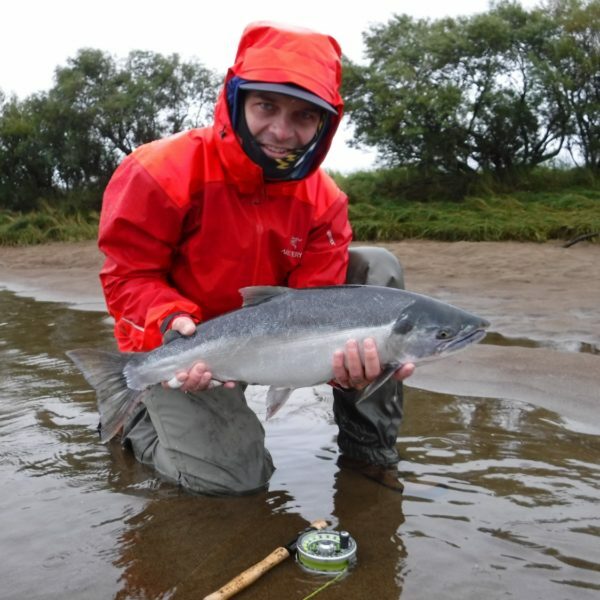 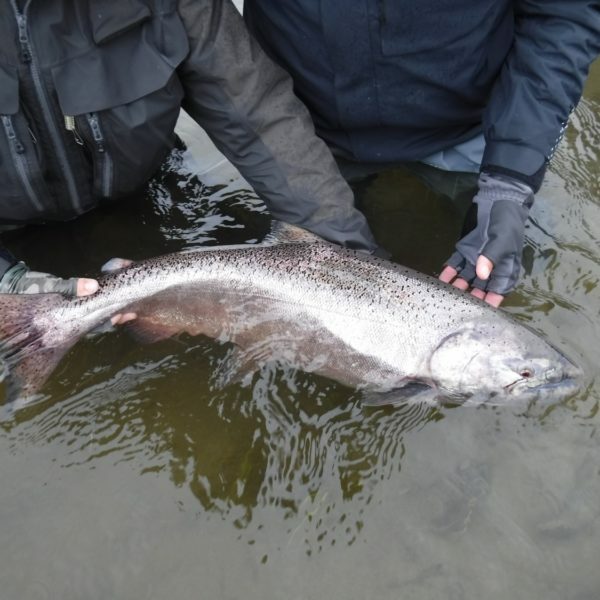 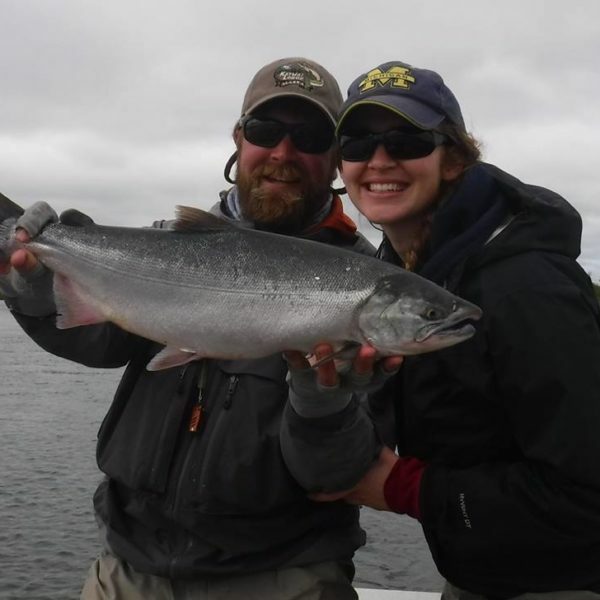 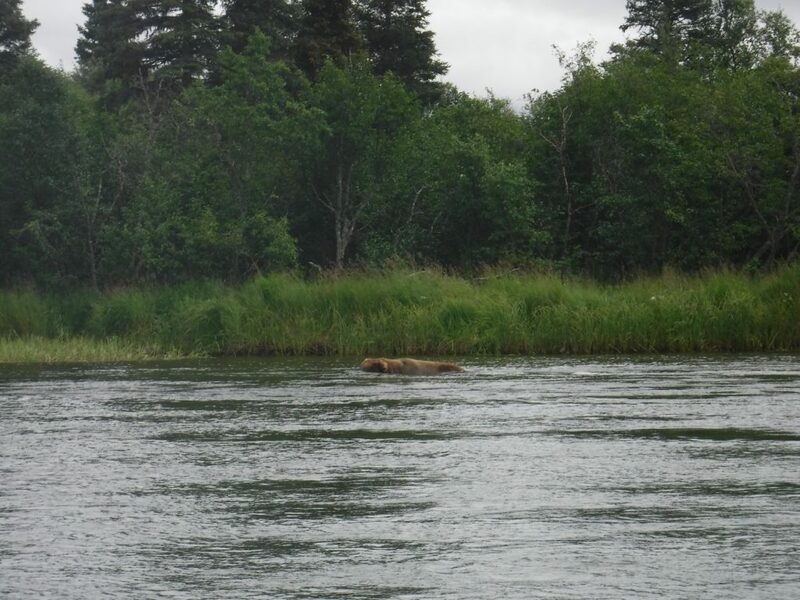 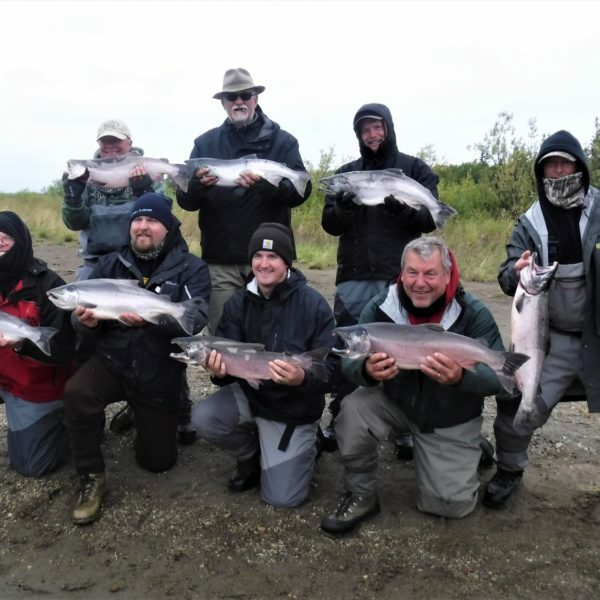 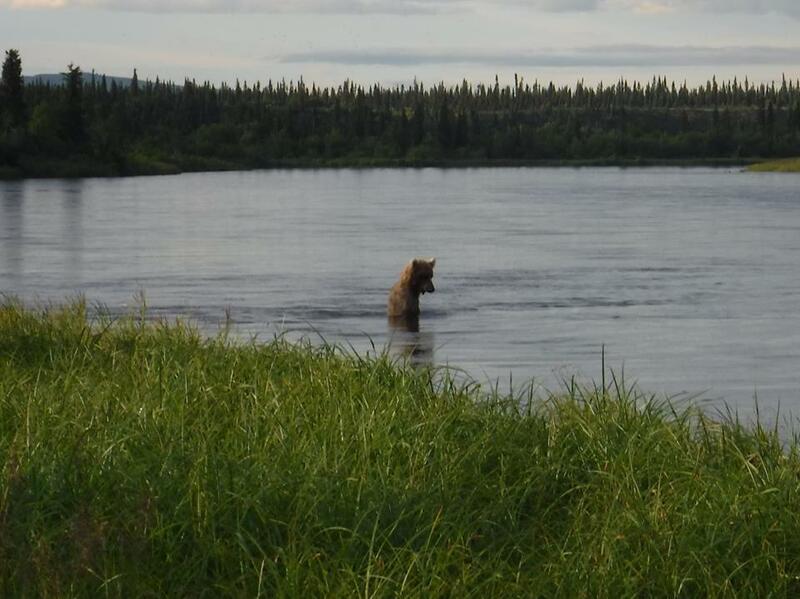 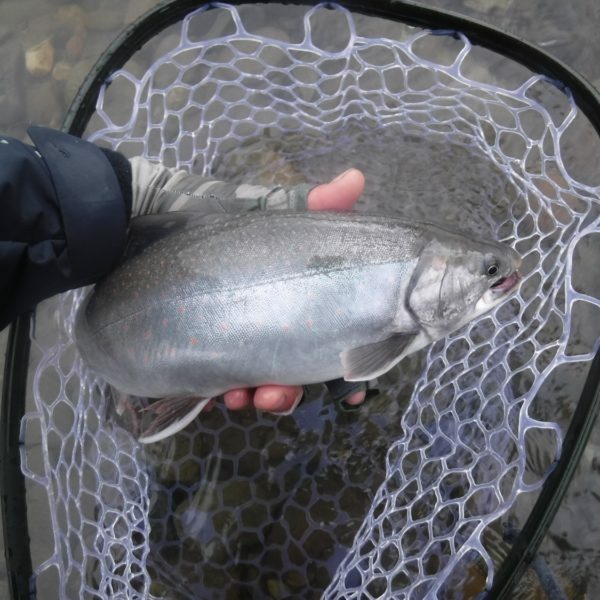 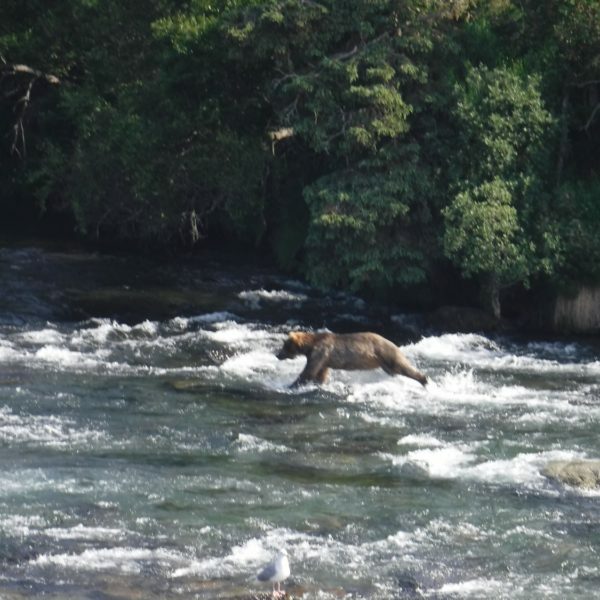 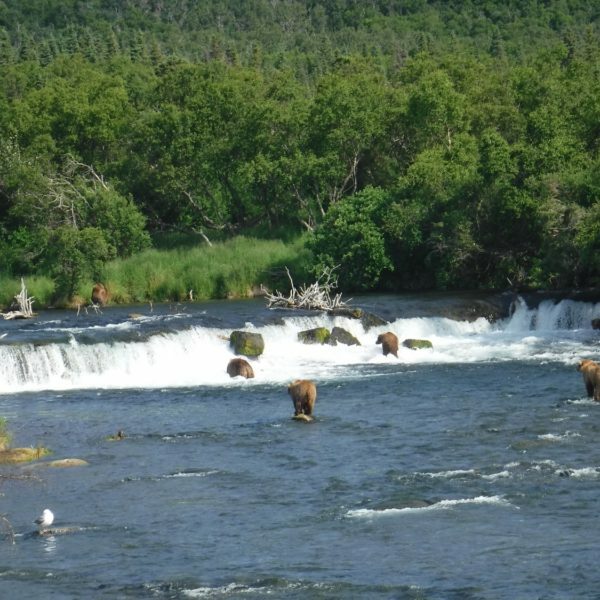 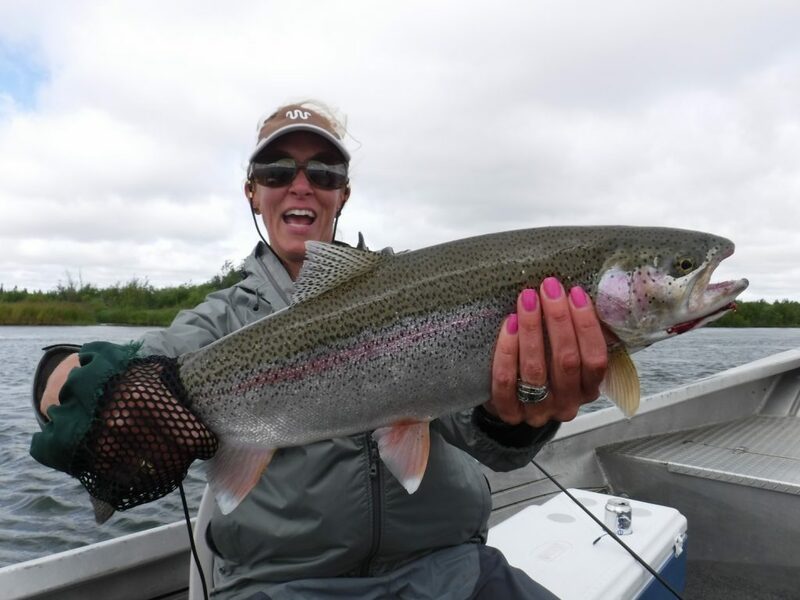 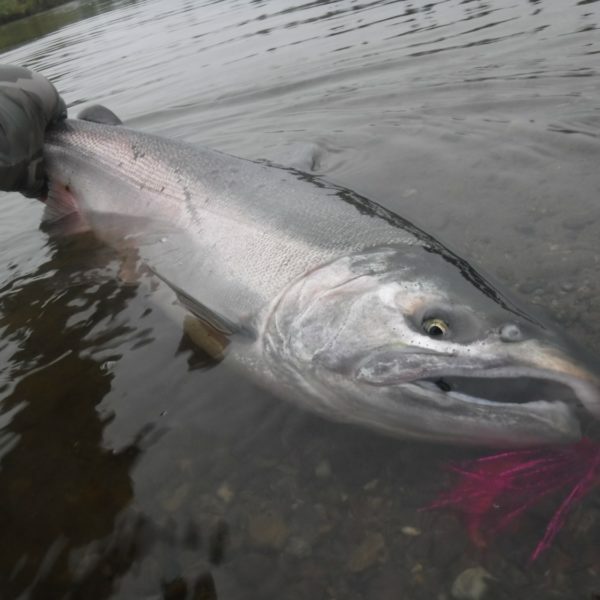 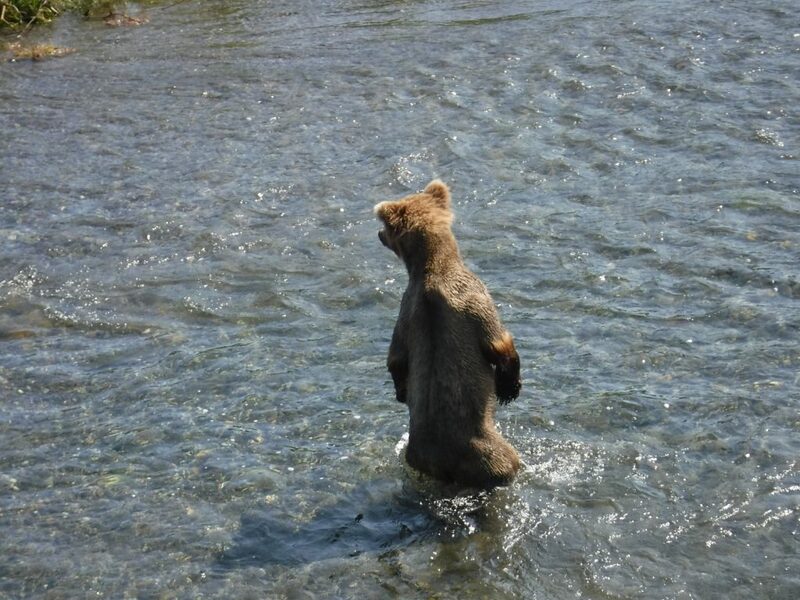 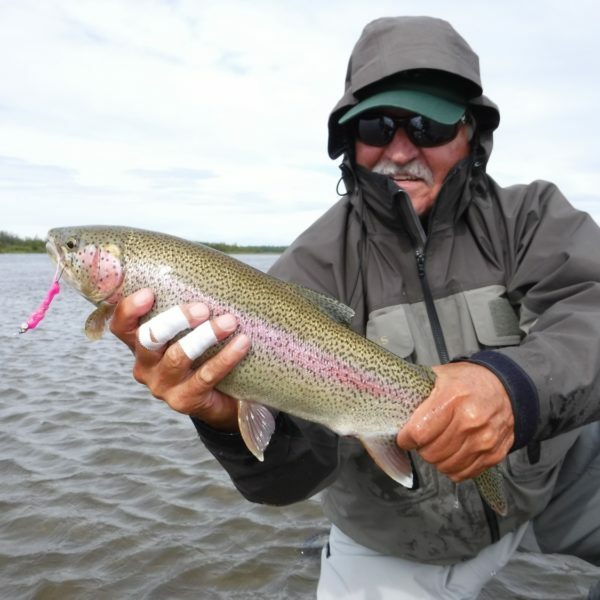 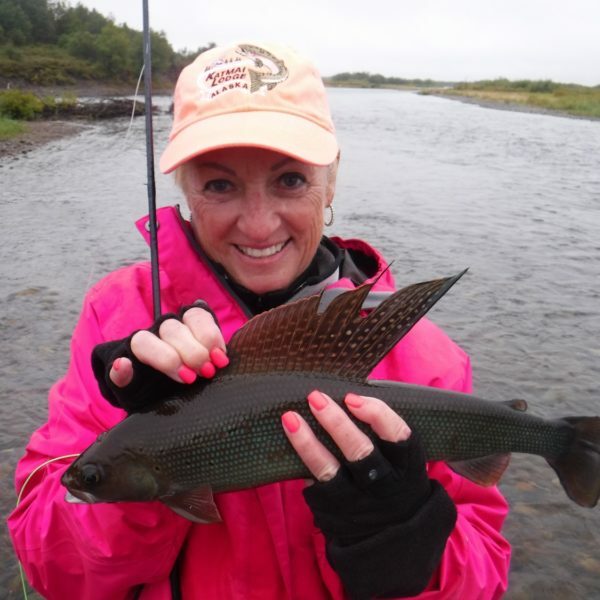 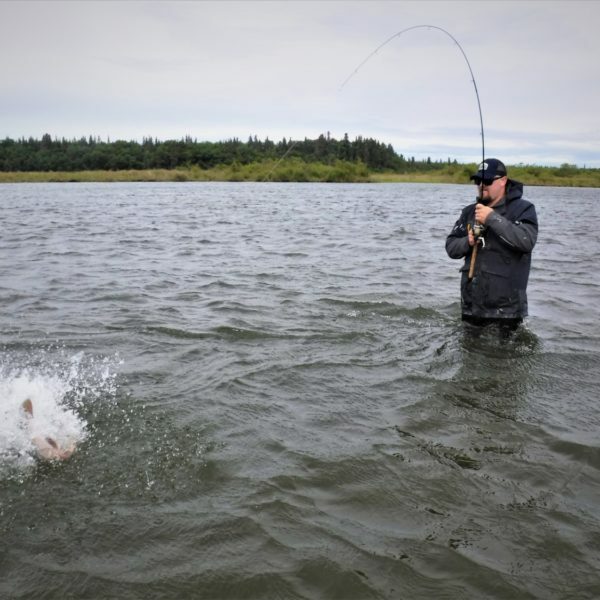 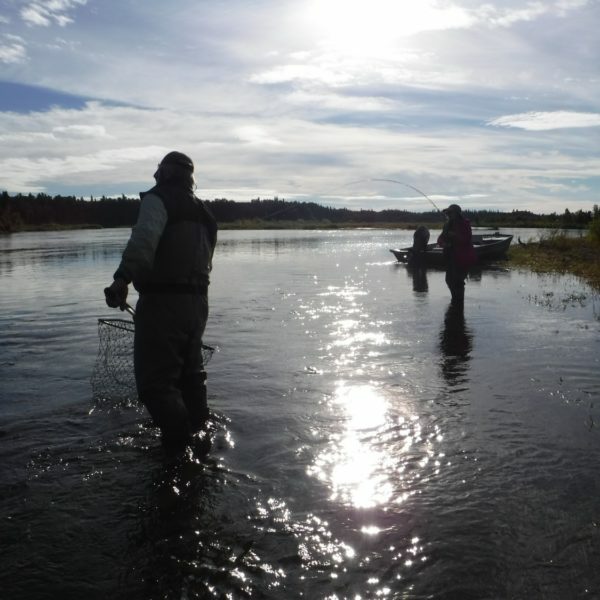 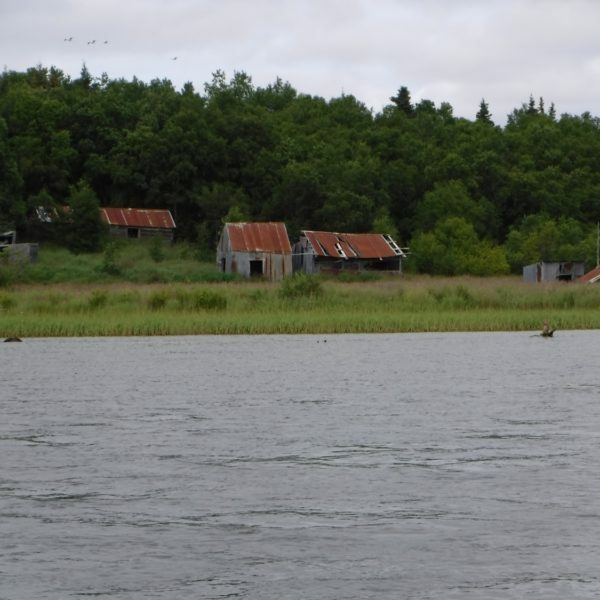 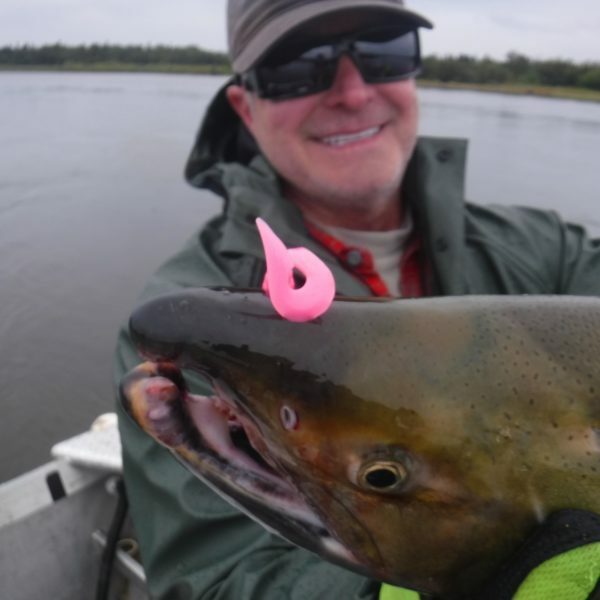 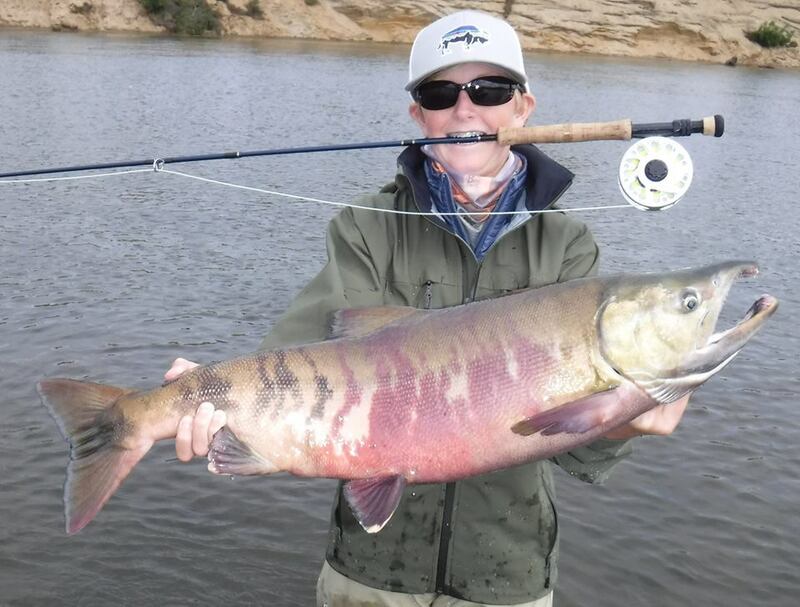 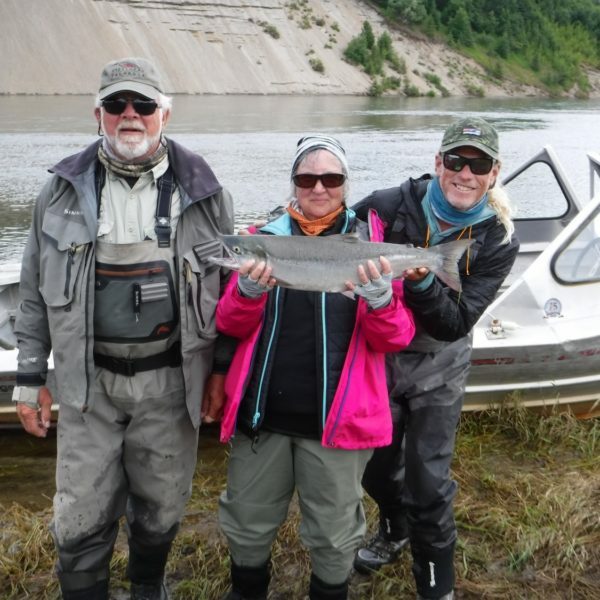 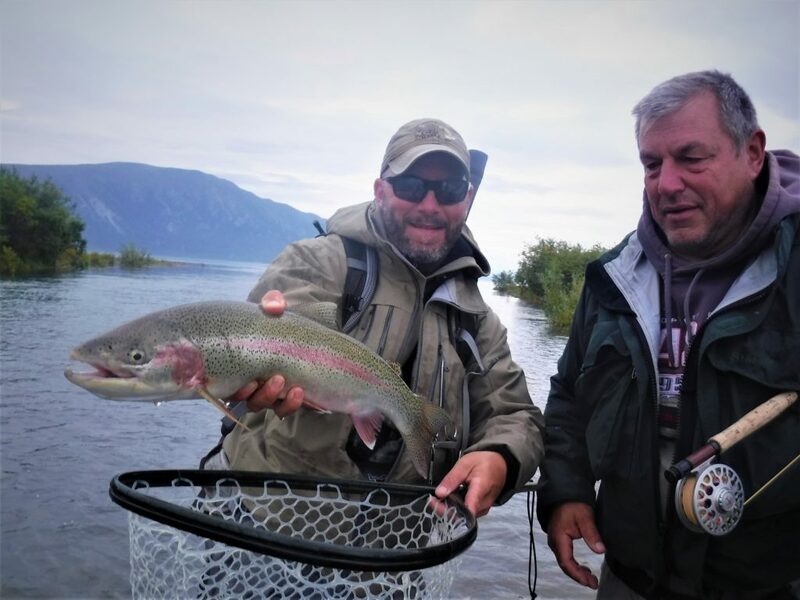 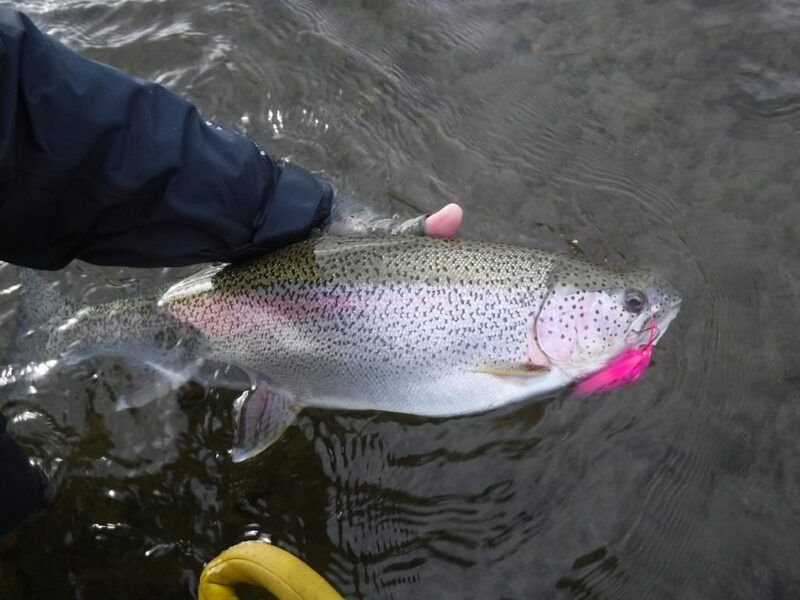 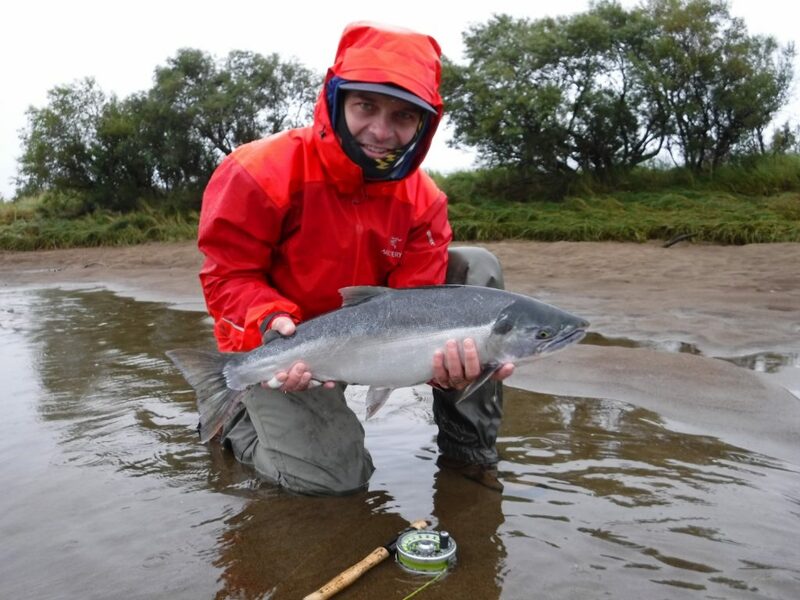 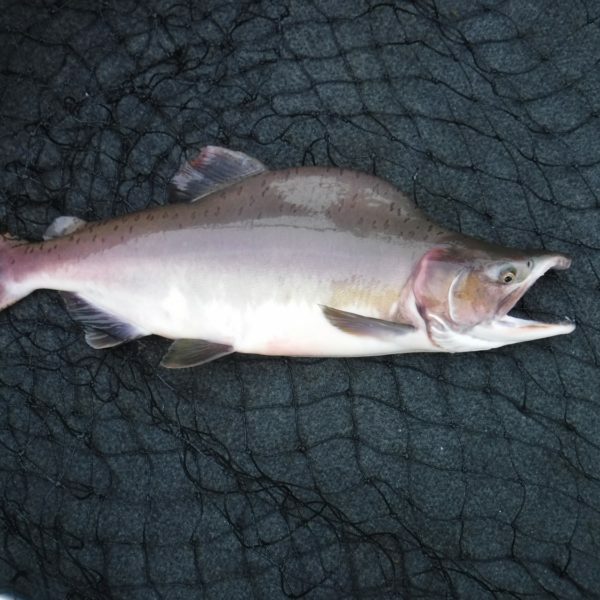 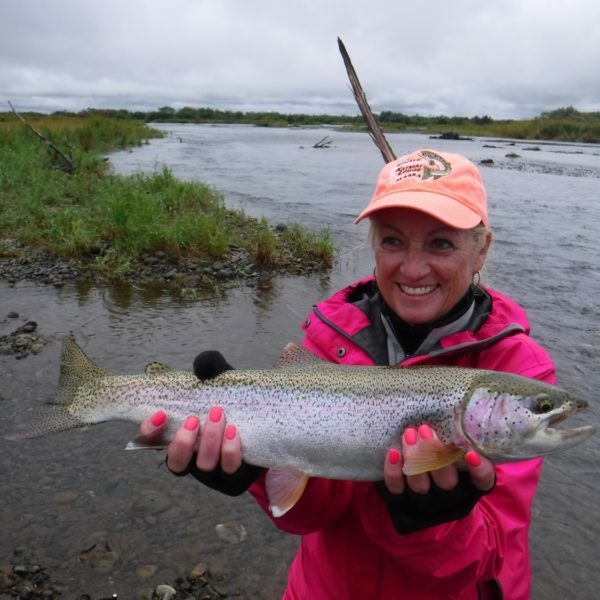 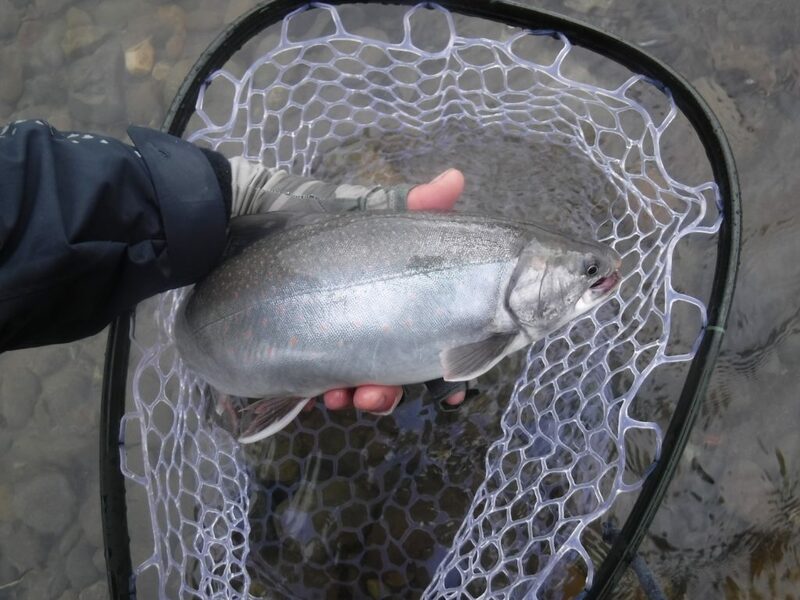 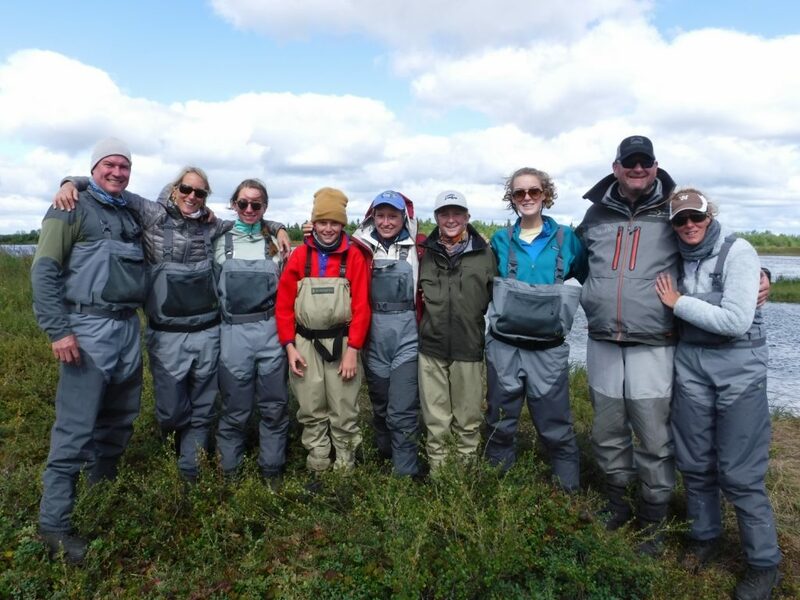 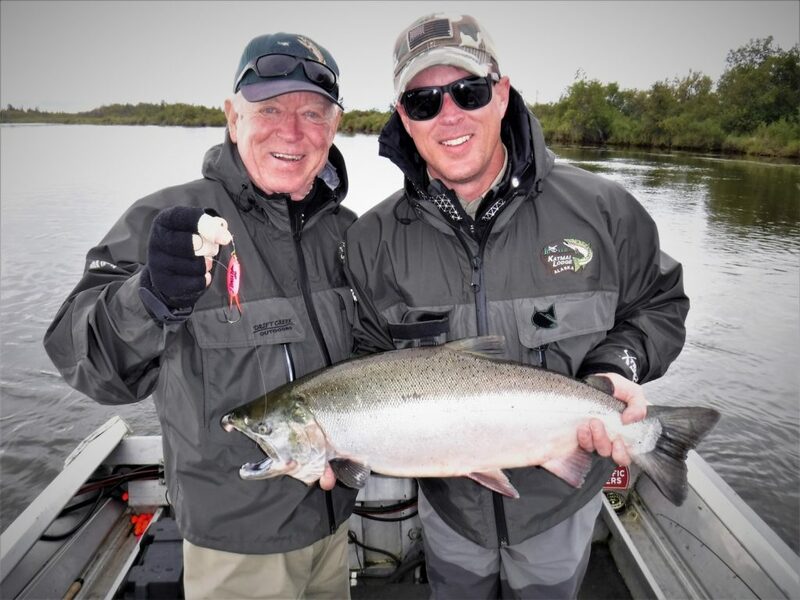 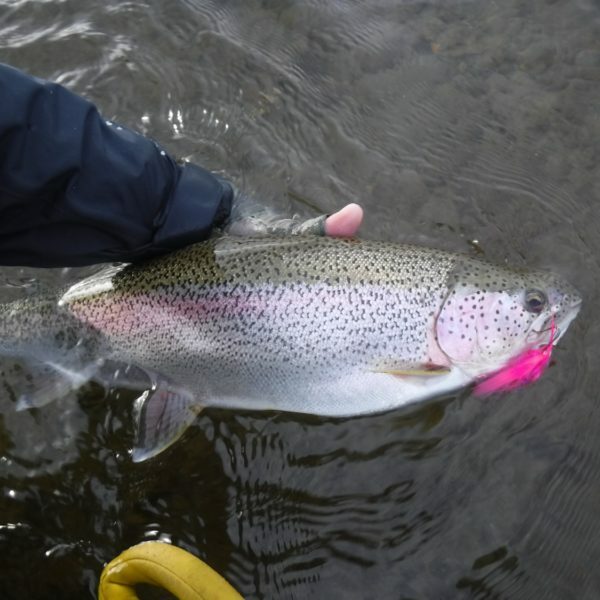 Photo credits go to the Katmai Lodge Fishing guides.